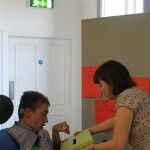 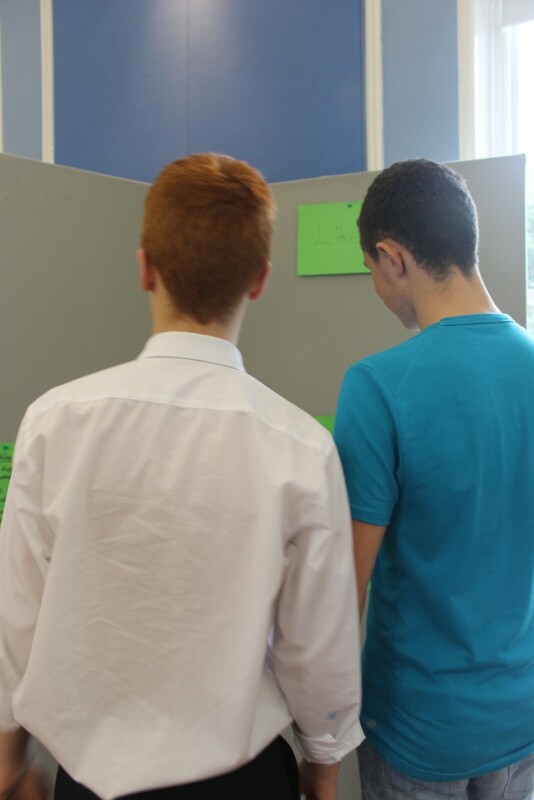 And here is a short video from all of the consultations which was shown for the first time in the Aras on 15th June. 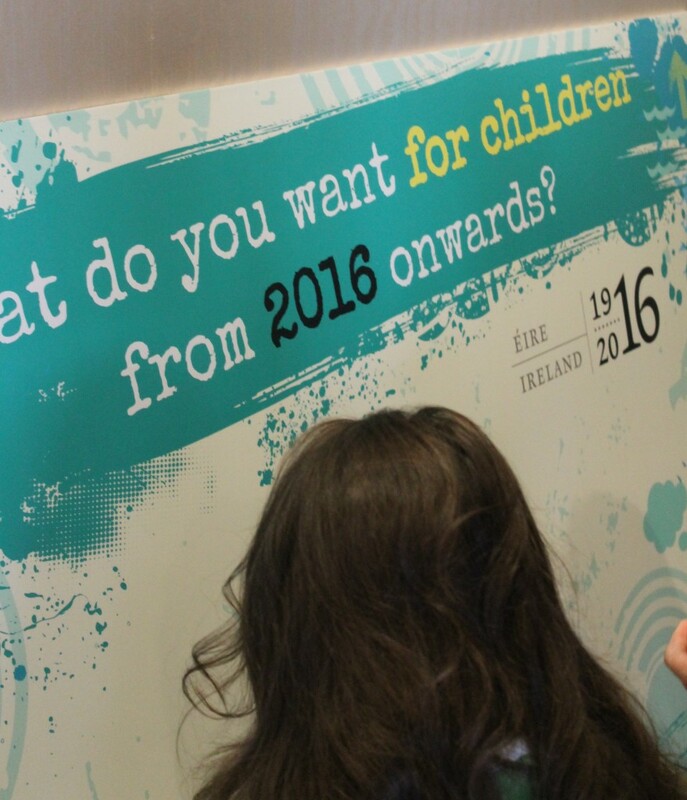 Ireland 2016: what happens next? 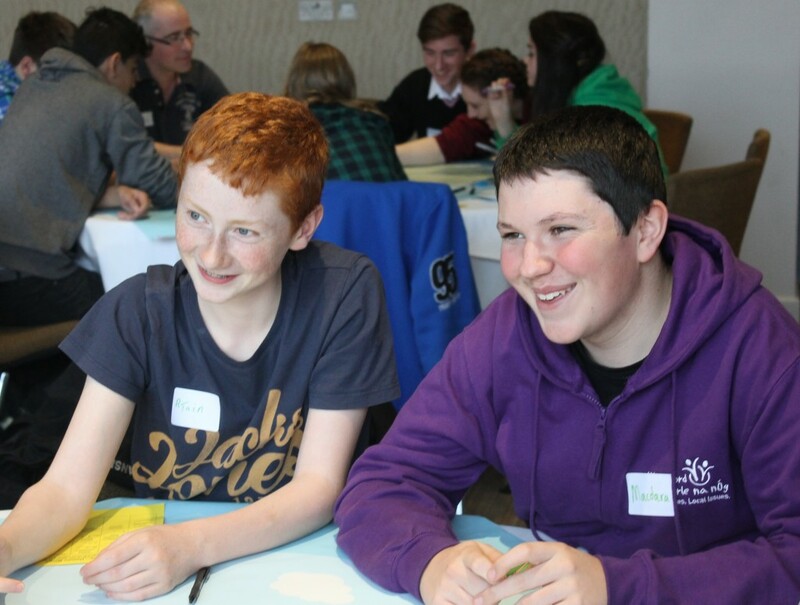 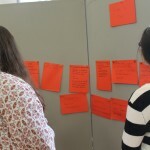 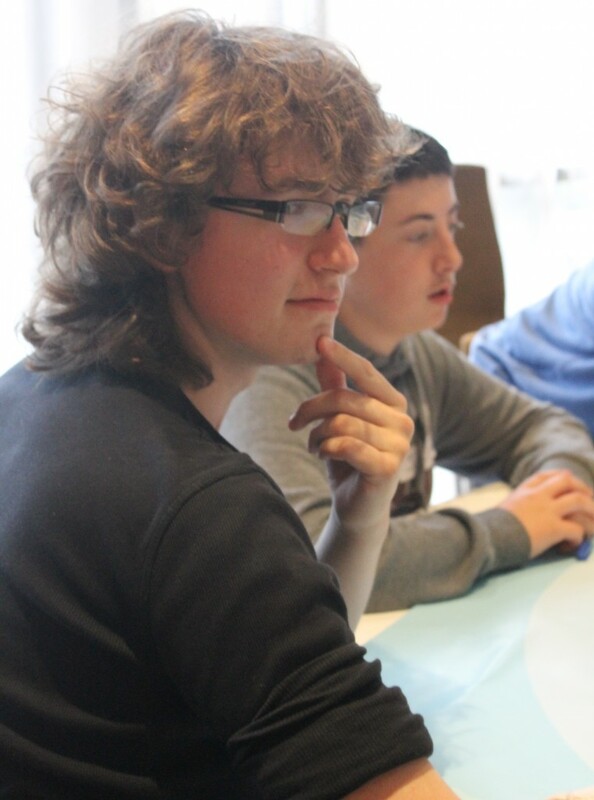 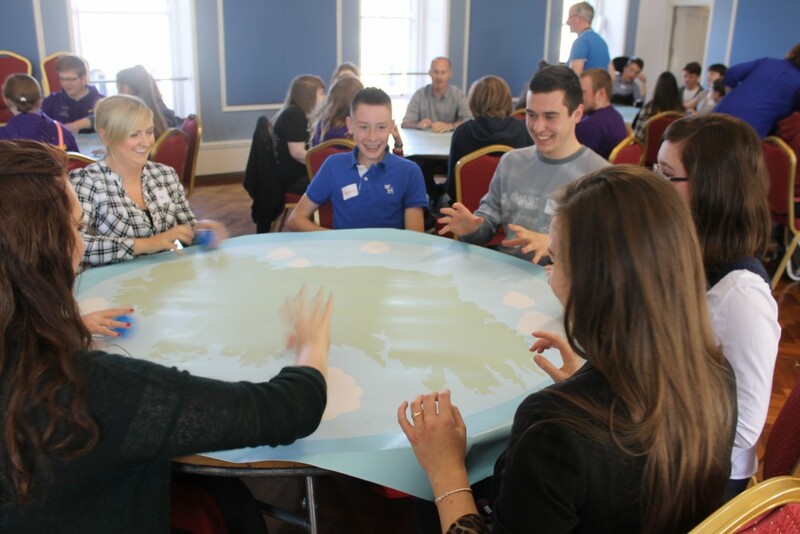 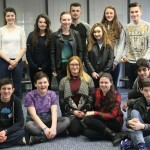 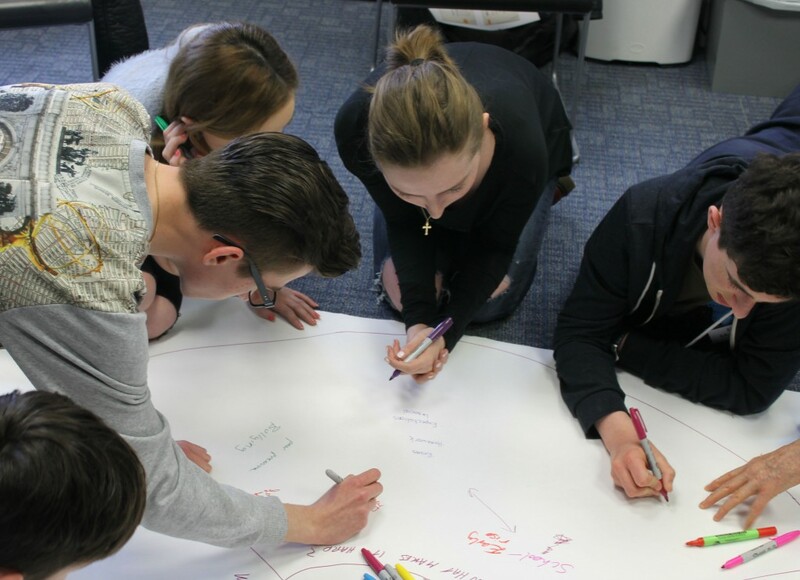 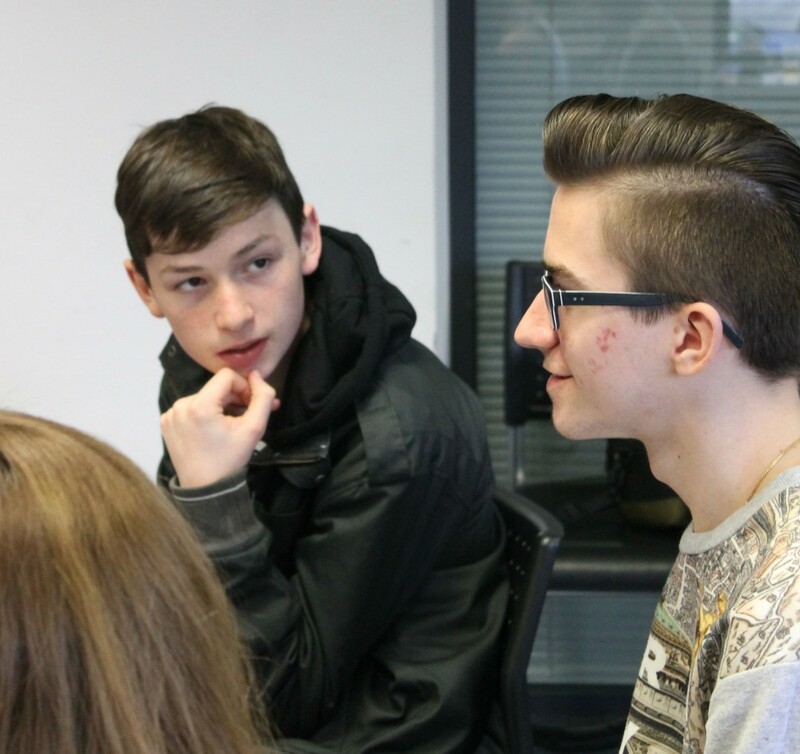 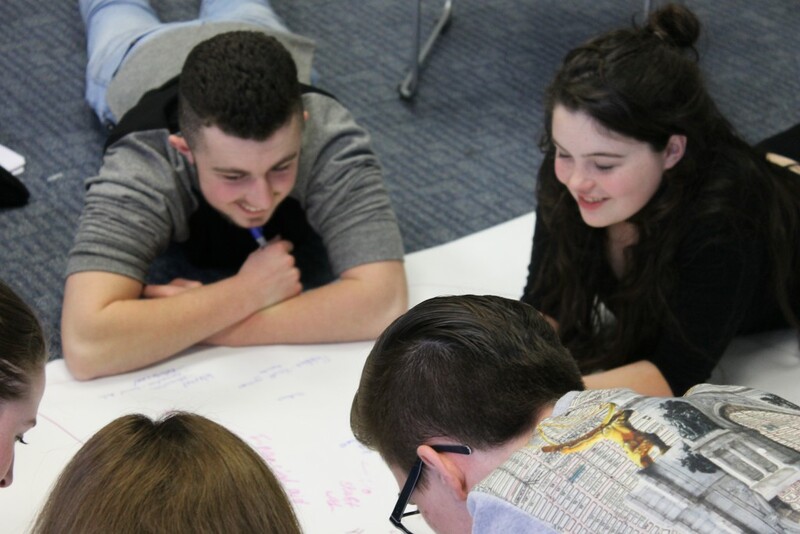 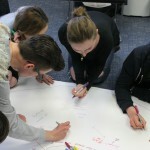 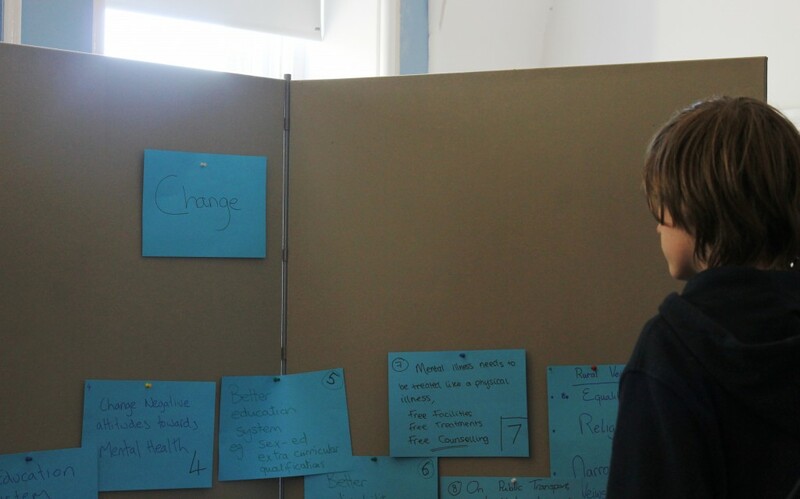 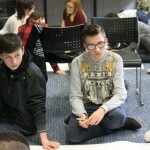 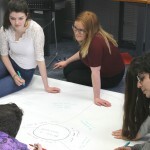 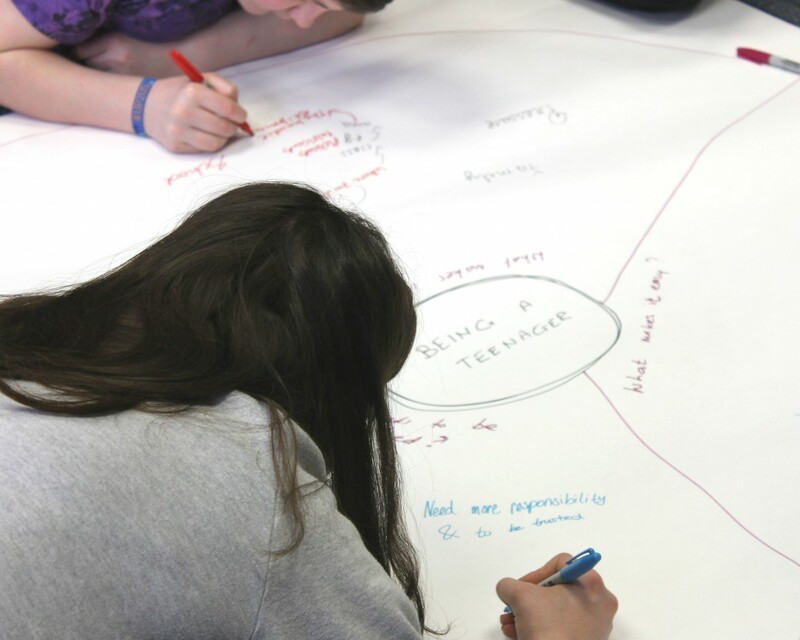 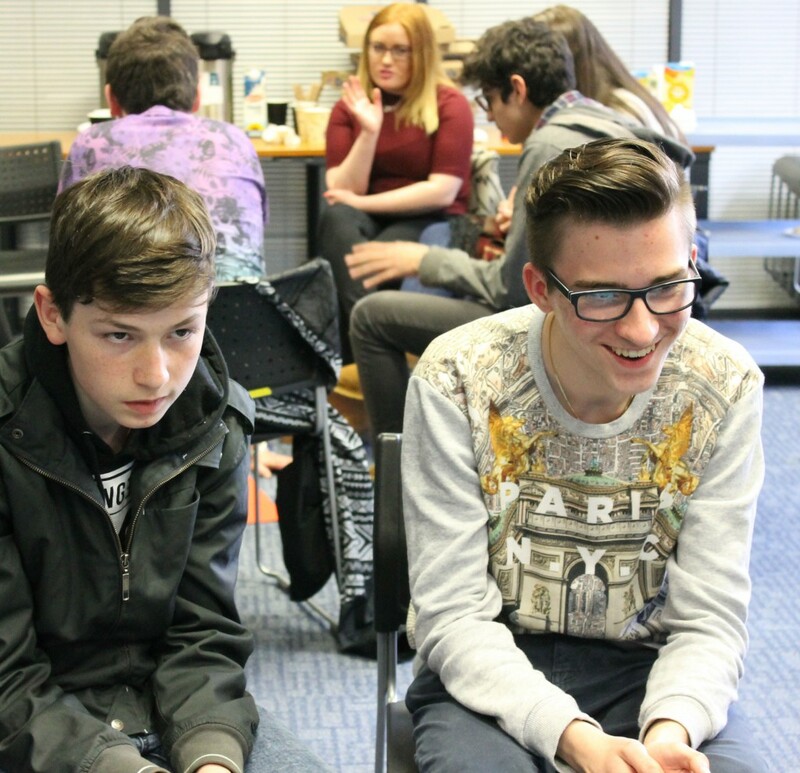 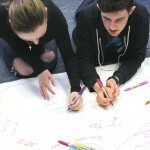 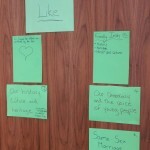 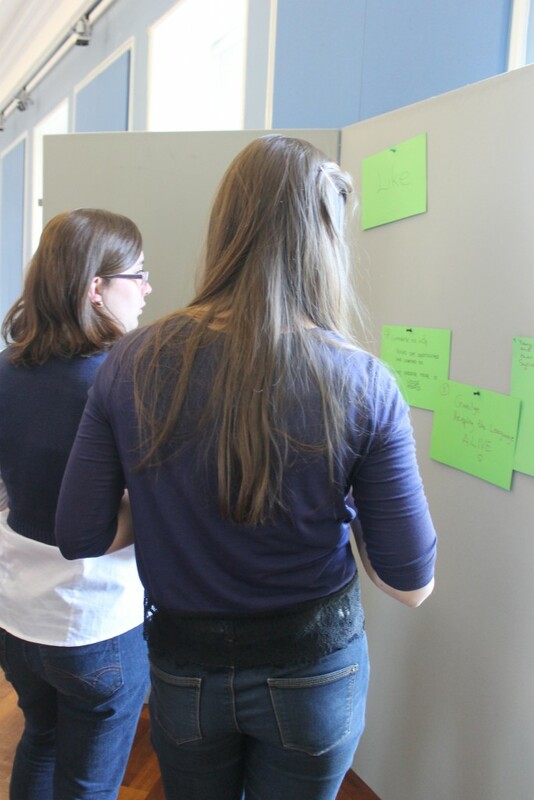 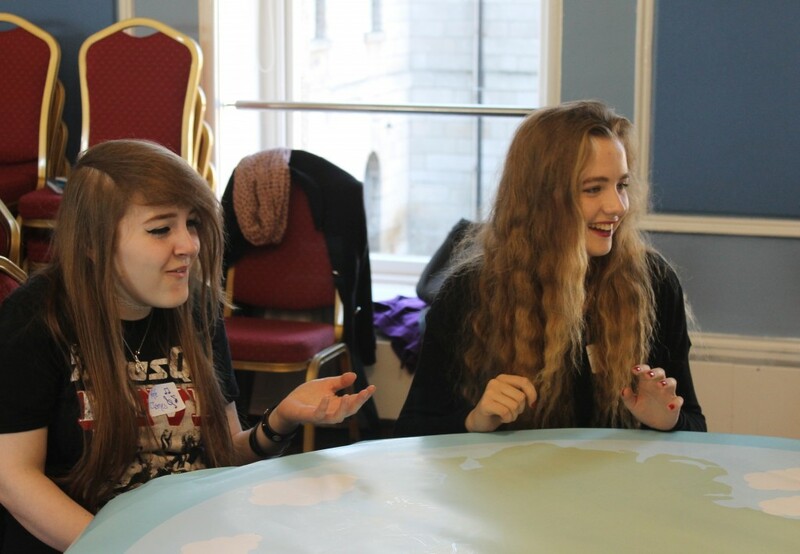 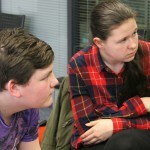 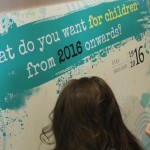 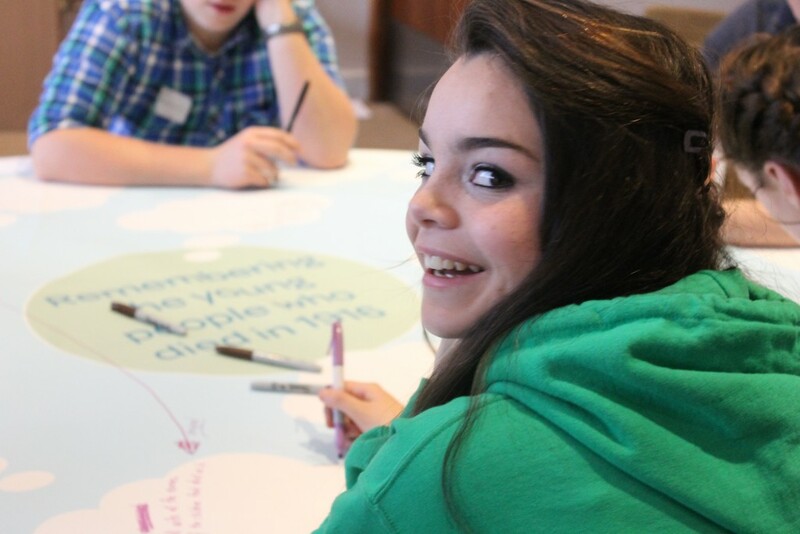 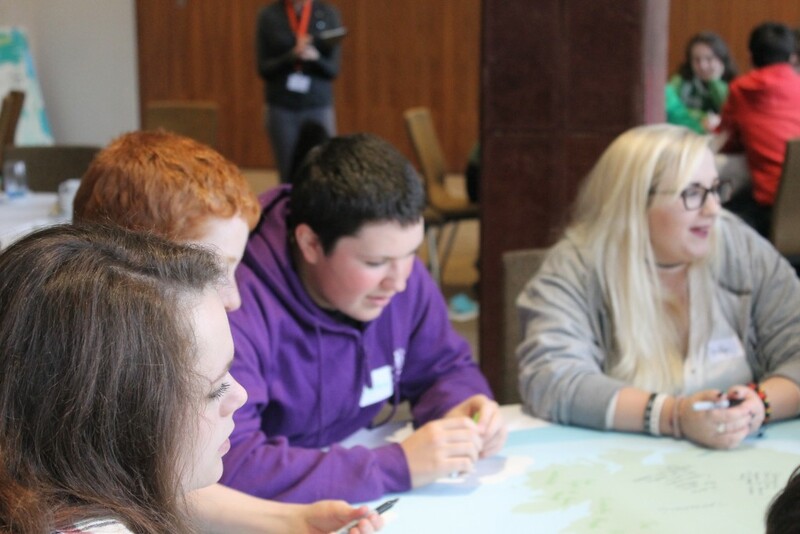 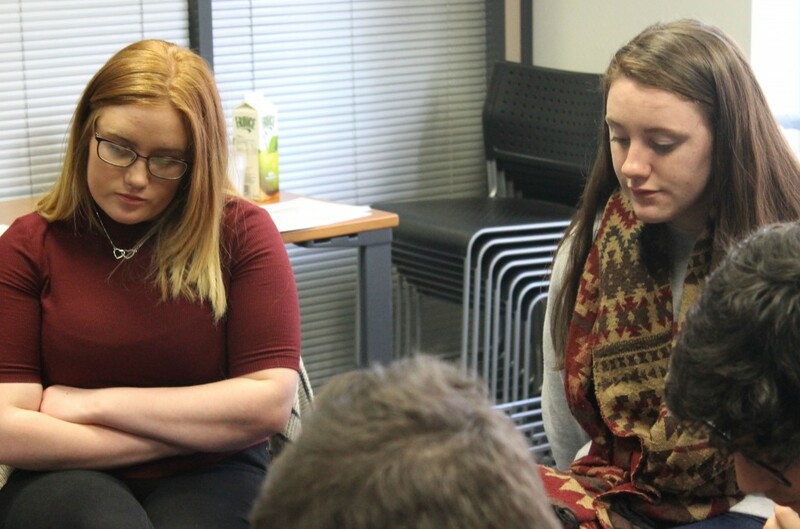 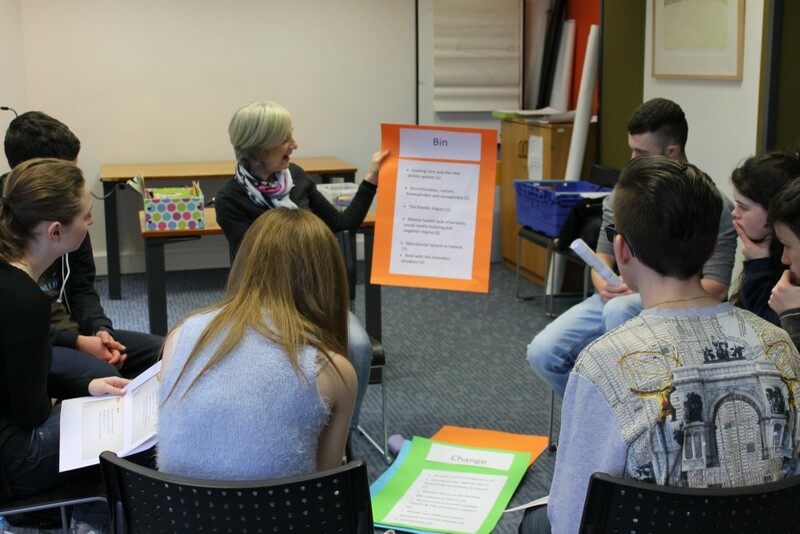 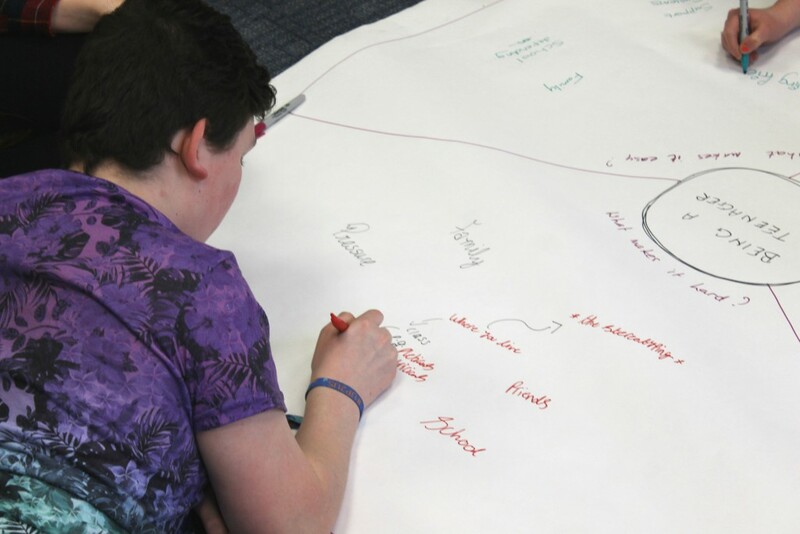 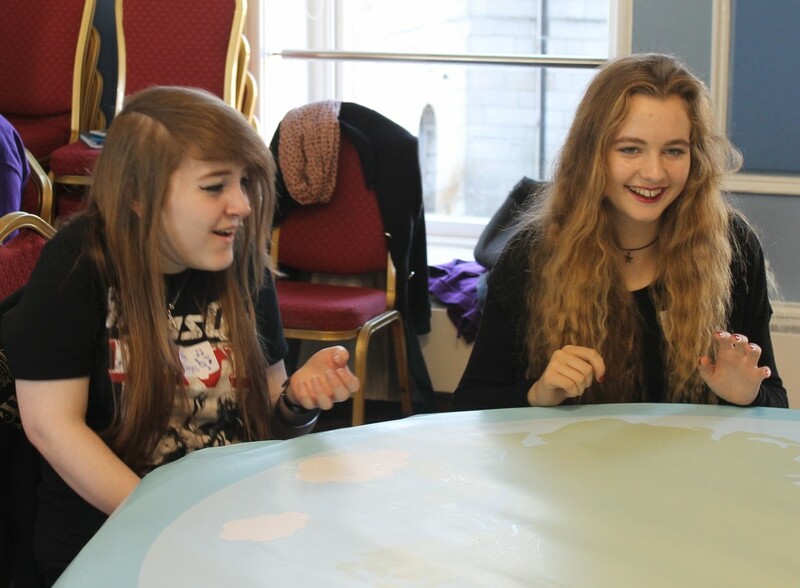 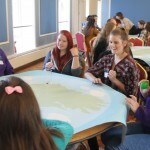 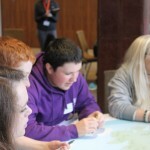 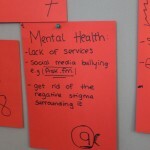 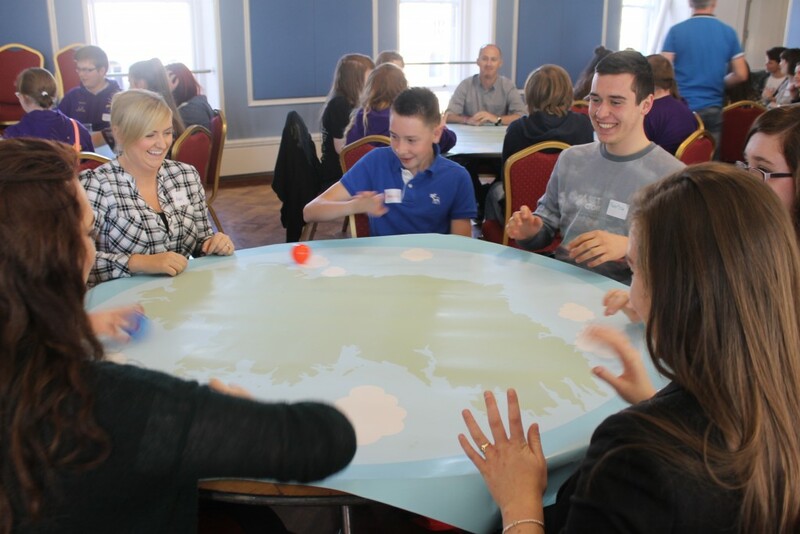 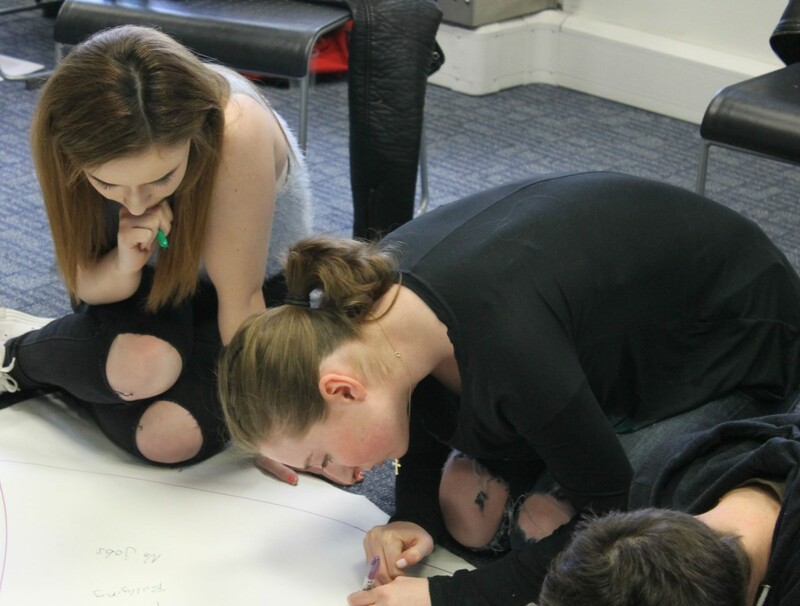 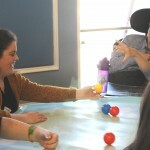 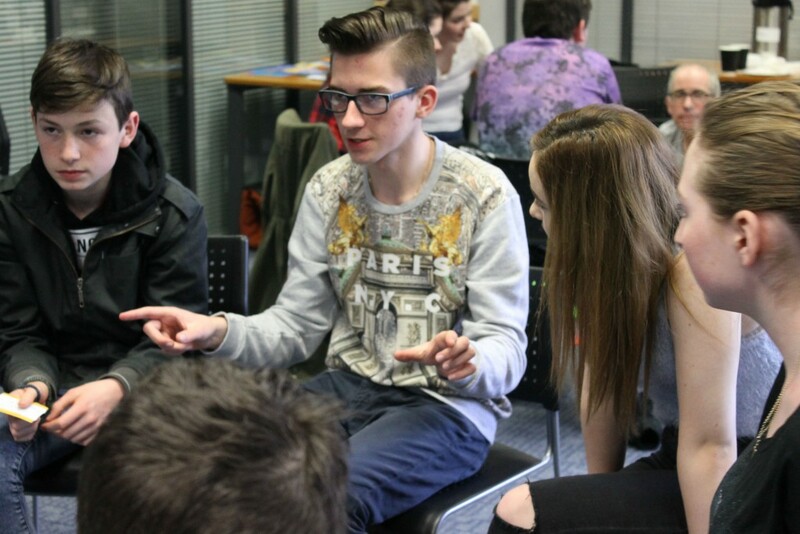 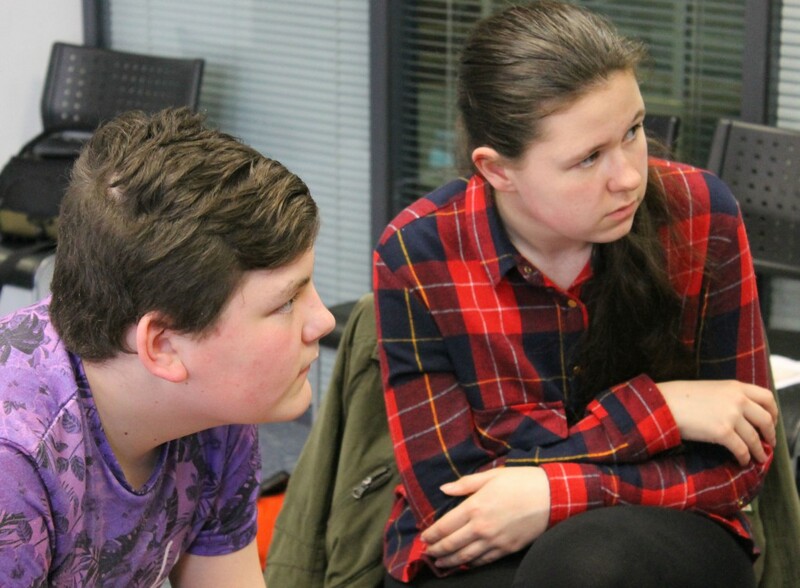 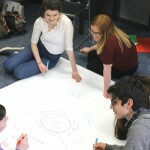 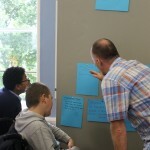 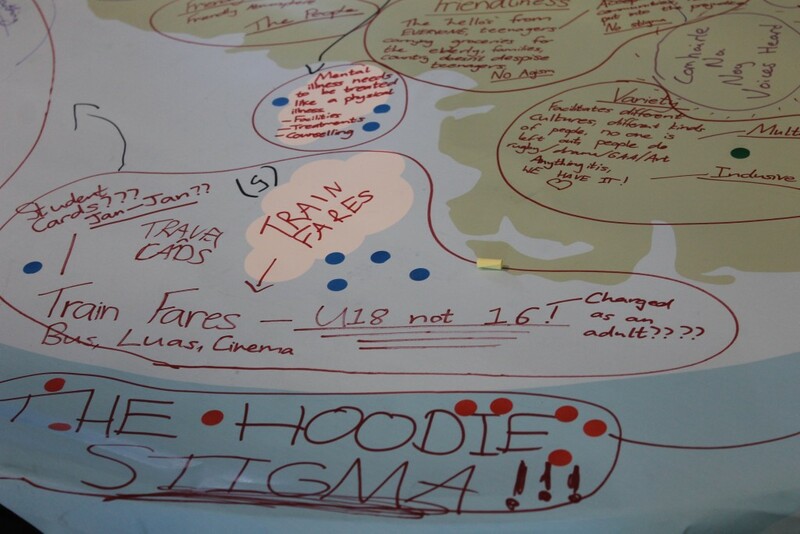 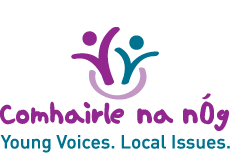 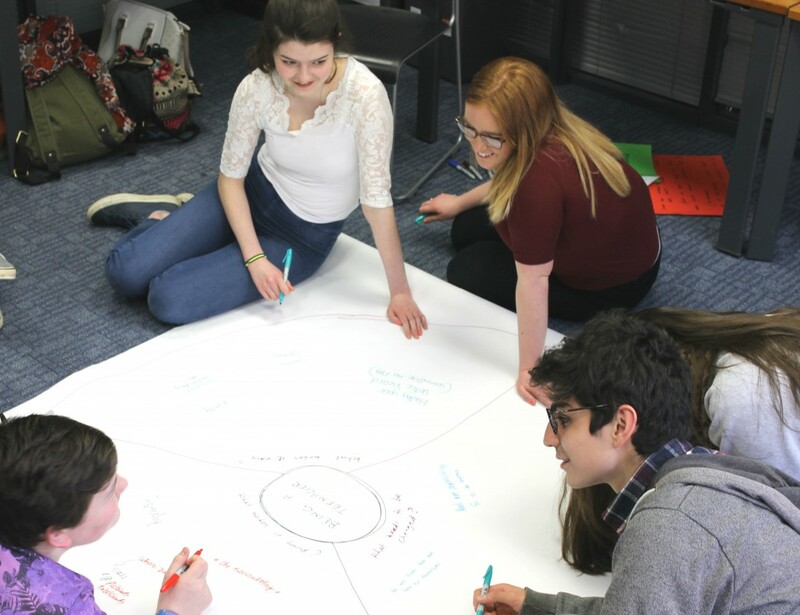 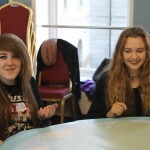 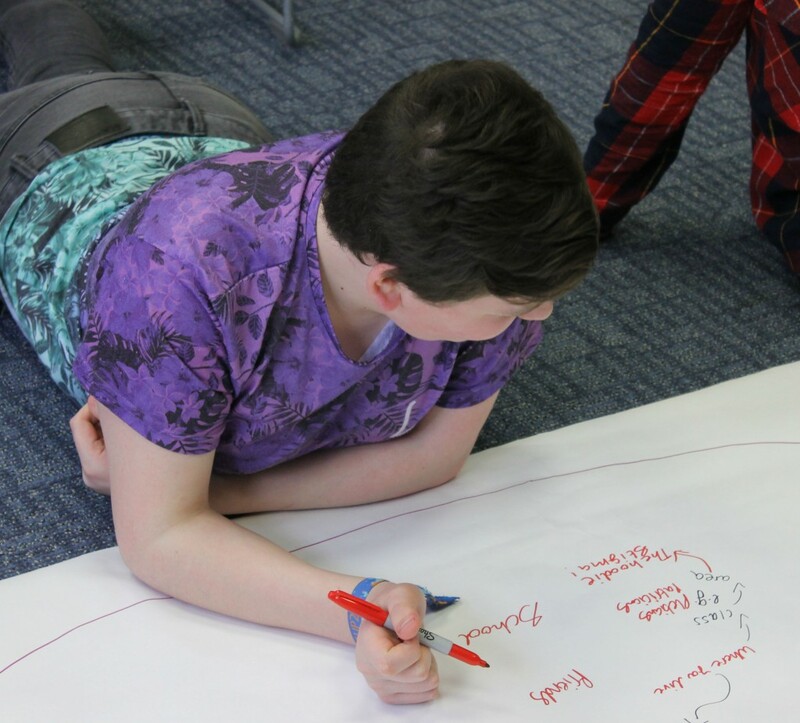 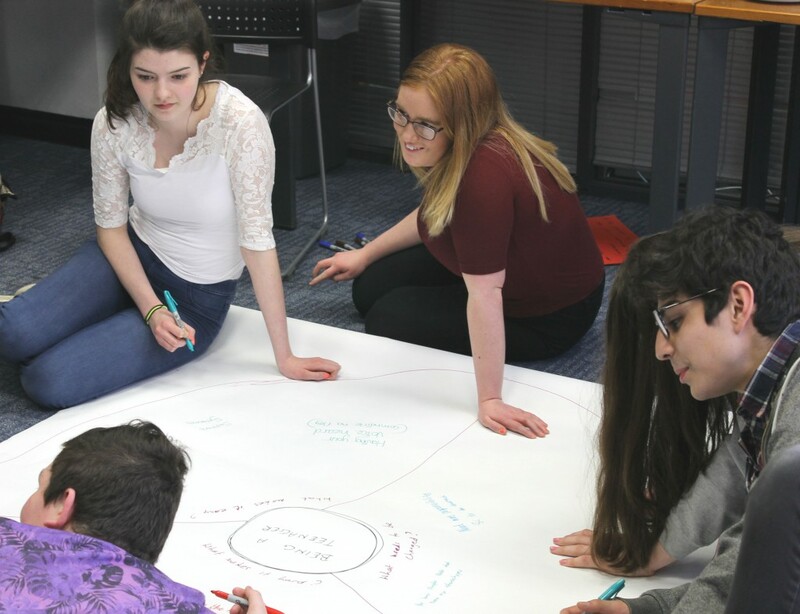 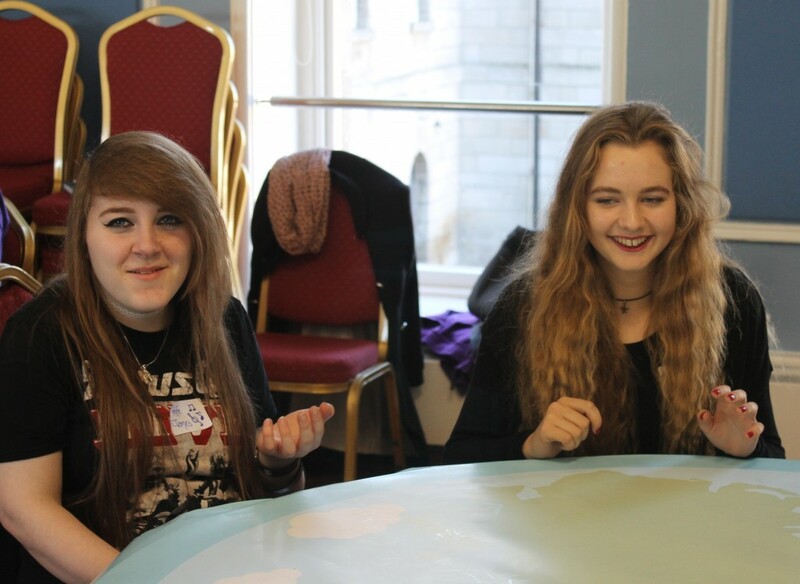 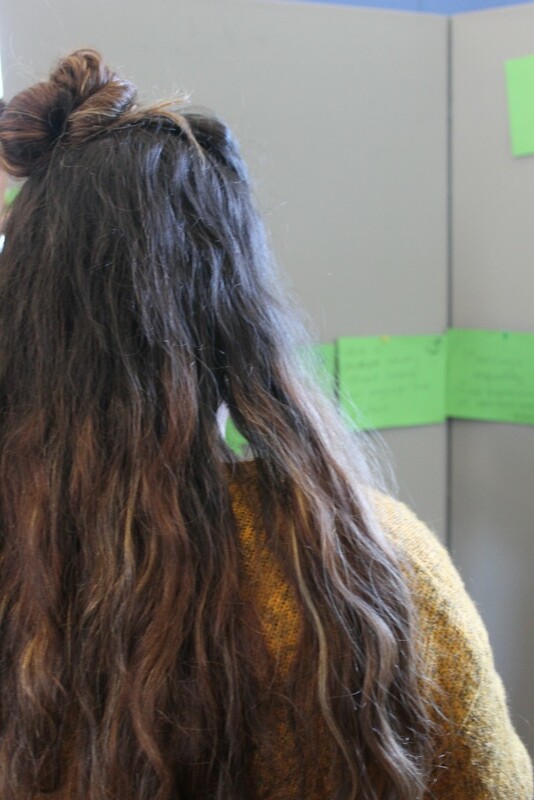 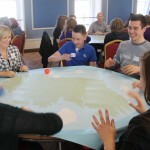 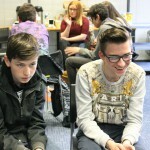 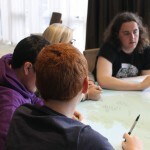 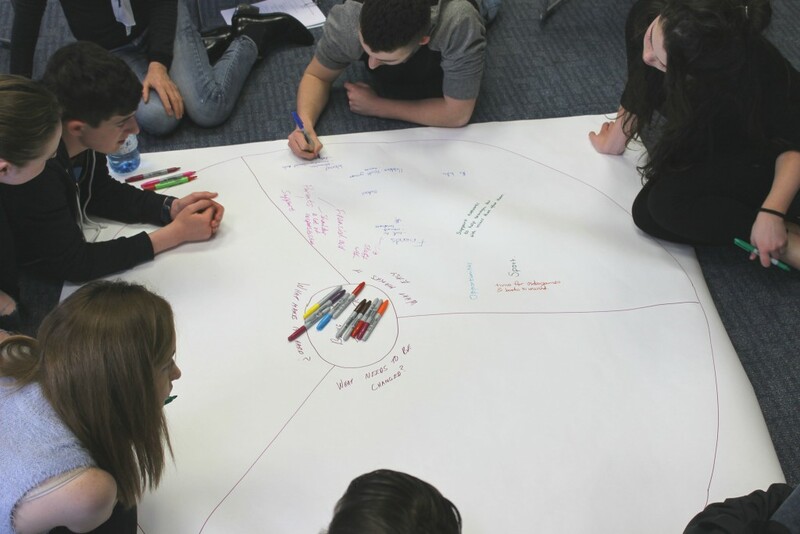 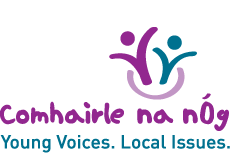 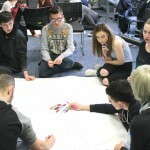 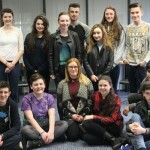 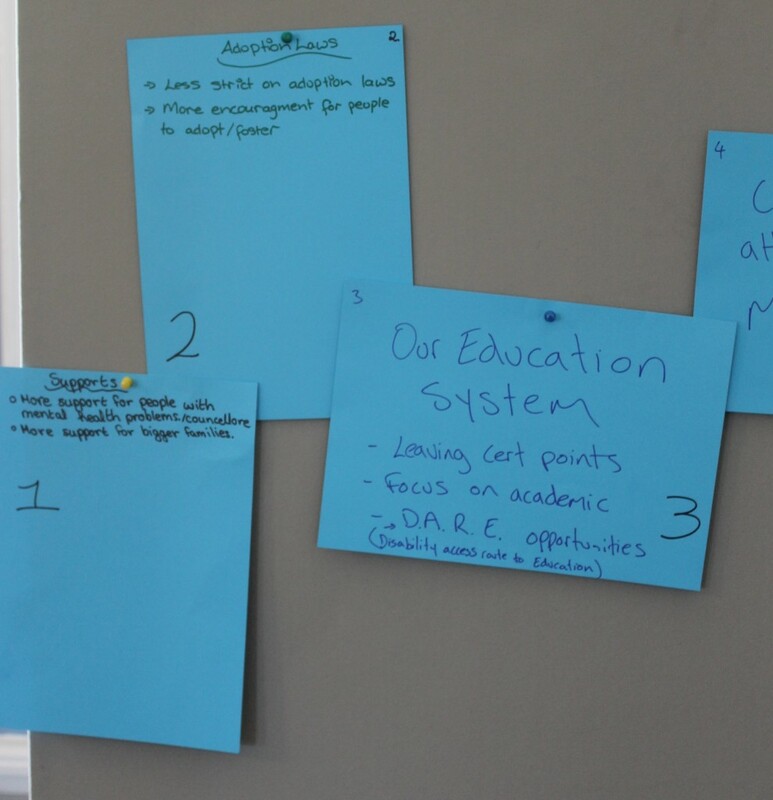 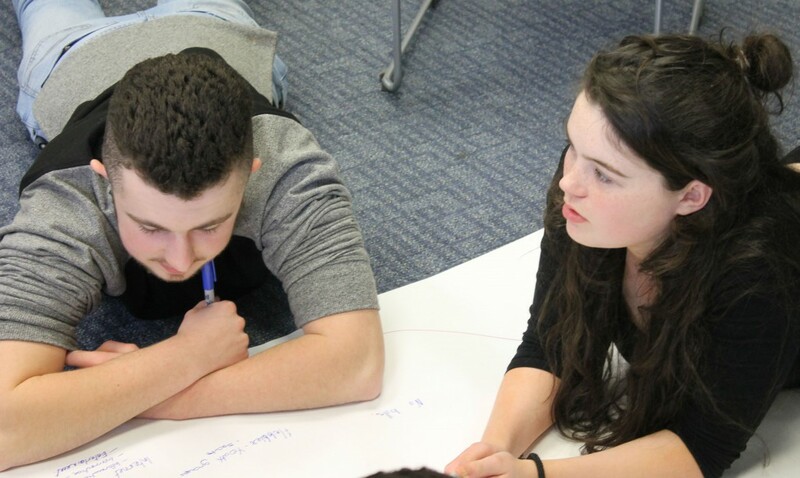 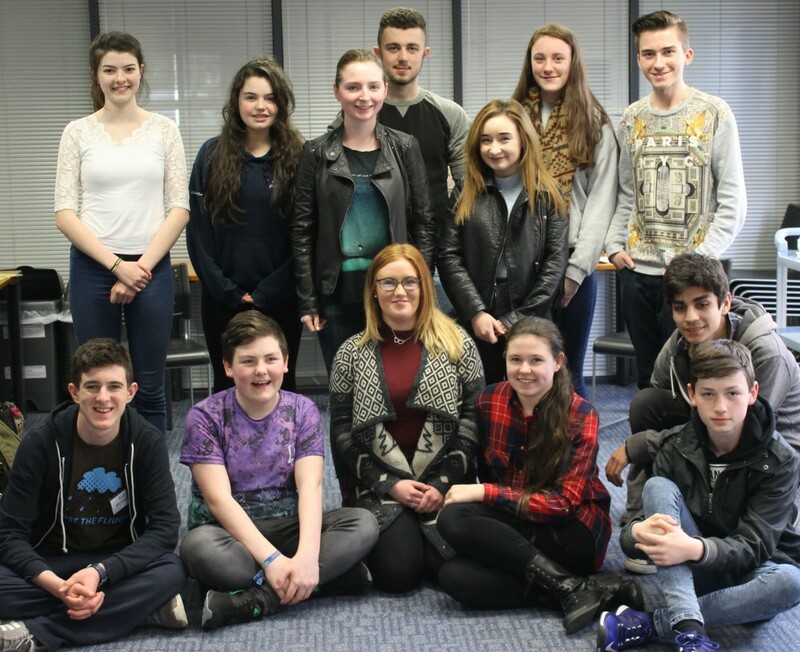 Following on from the Ireland 2016: Imagining Our Future consultations in 2015, the Department of Children and Youth Affairs (DCYA) hosted a further meeting with Comhairle members in March 2016. 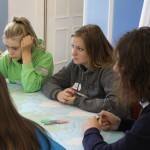 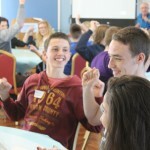 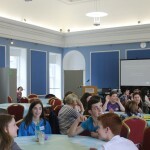 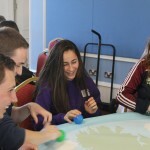 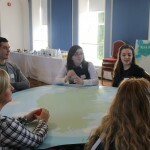 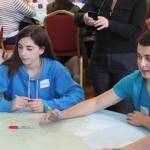 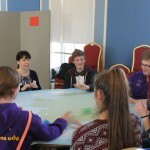 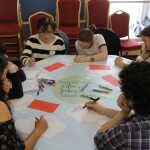 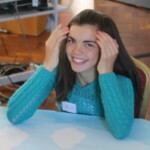 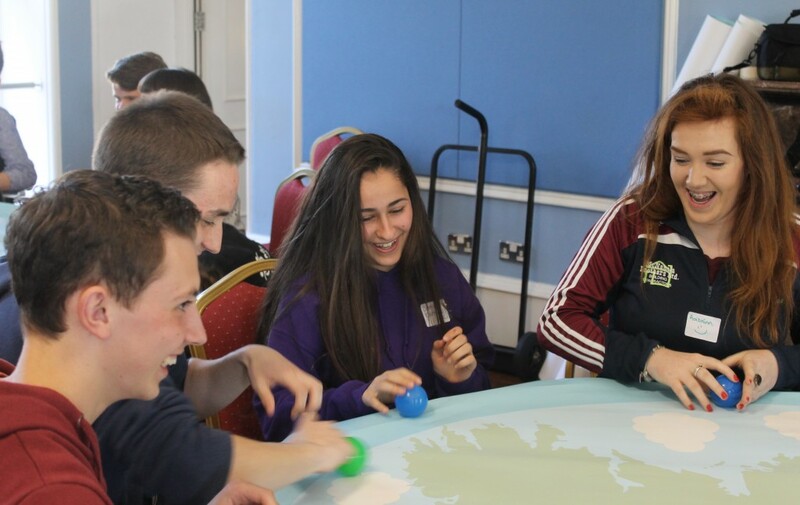 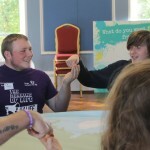 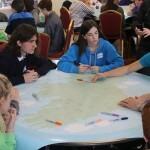 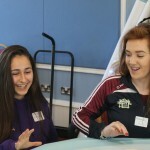 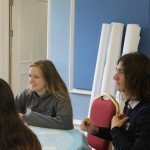 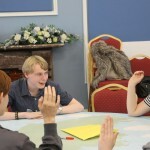 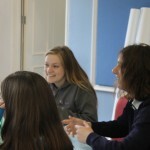 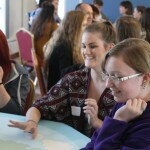 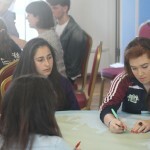 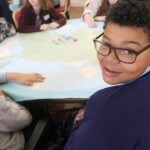 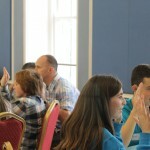 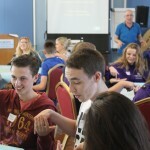 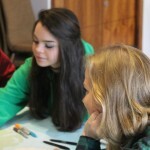 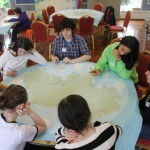 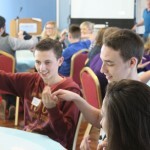 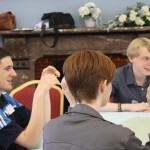 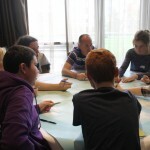 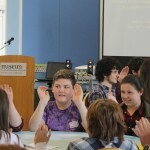 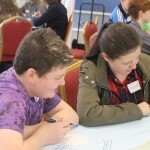 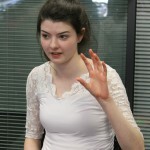 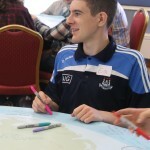 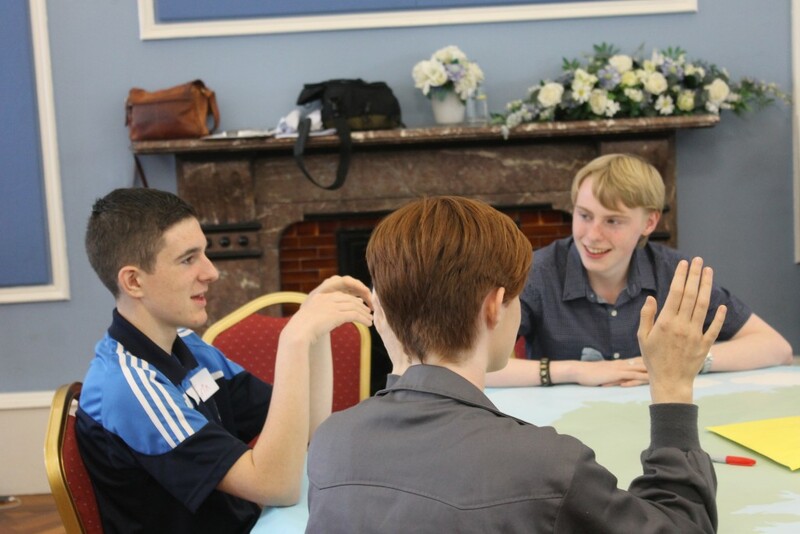 The purpose of this meeting was to follow up on one of the recommendations from the workshop sessions last year, and to prepare a youth-friendly version of the Ireland 2016 report in time for the Children’s State Ceremonial event in Áras an Uachtaráin, which will take place on June 15th6. 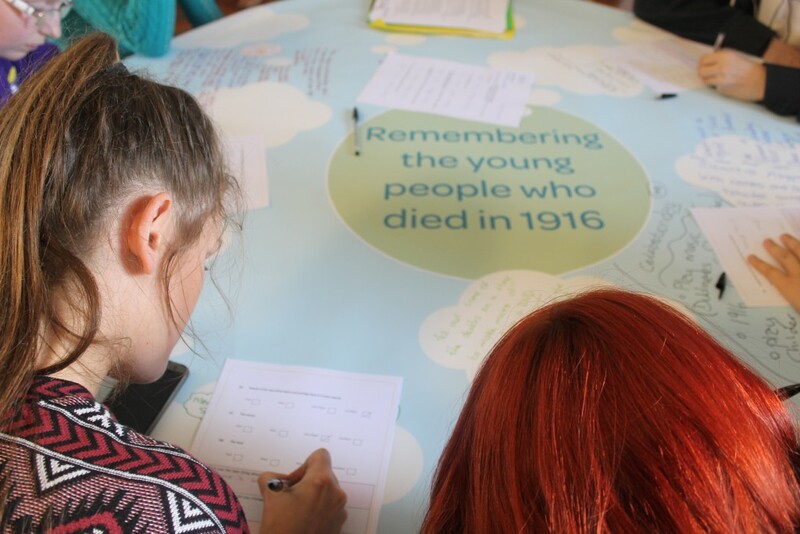 • Work with Dublin City Council in planning for the construction of a playground in Dublin to commemorate the children who died in 1916. 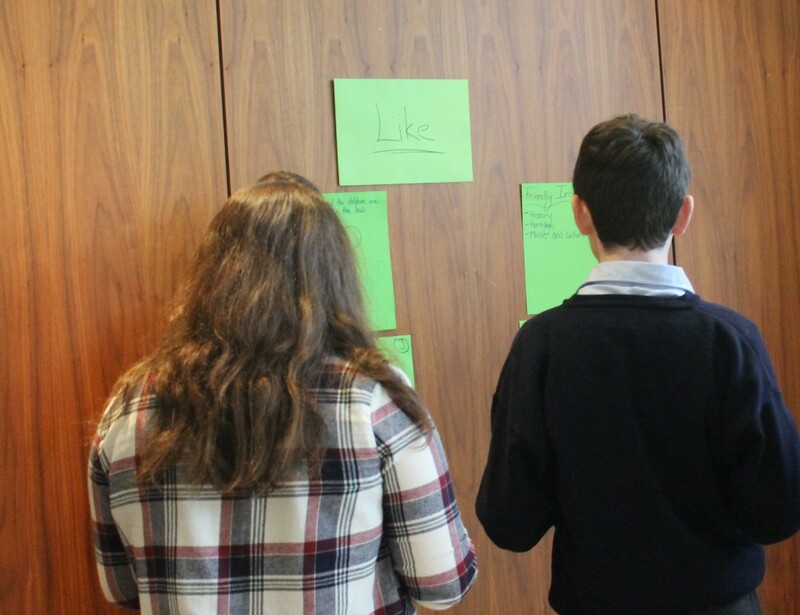 A small group of Comhairle members are working directly with us on these two projects and will be consulted with on all aspects. 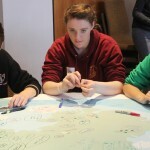 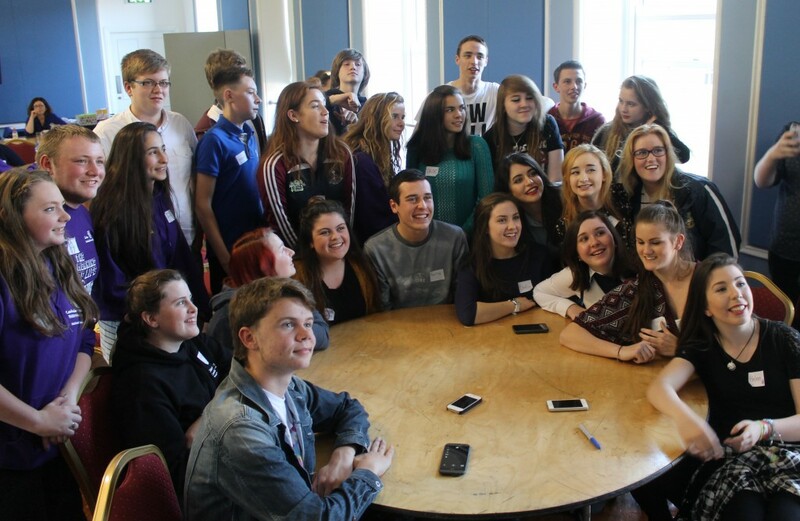 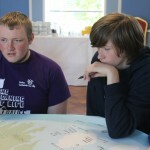 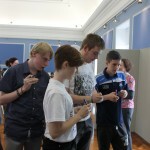 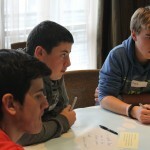 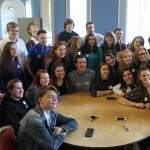 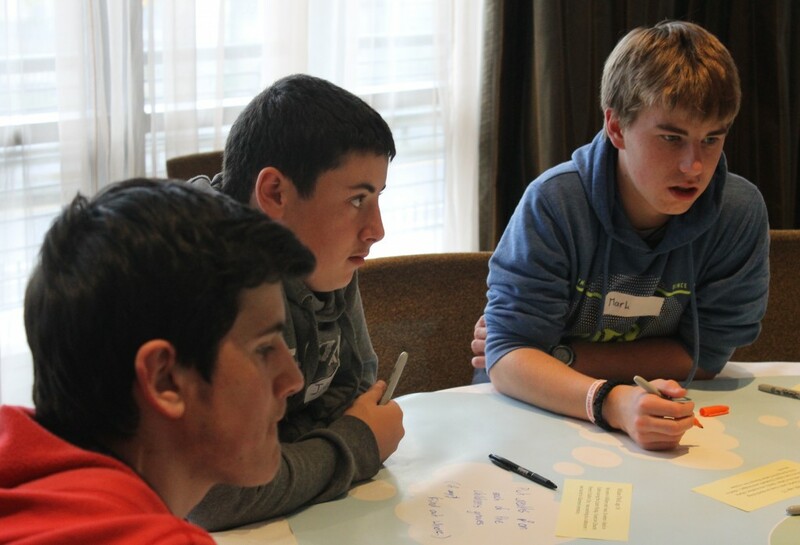 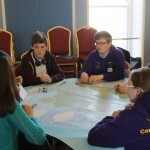 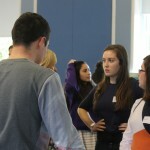 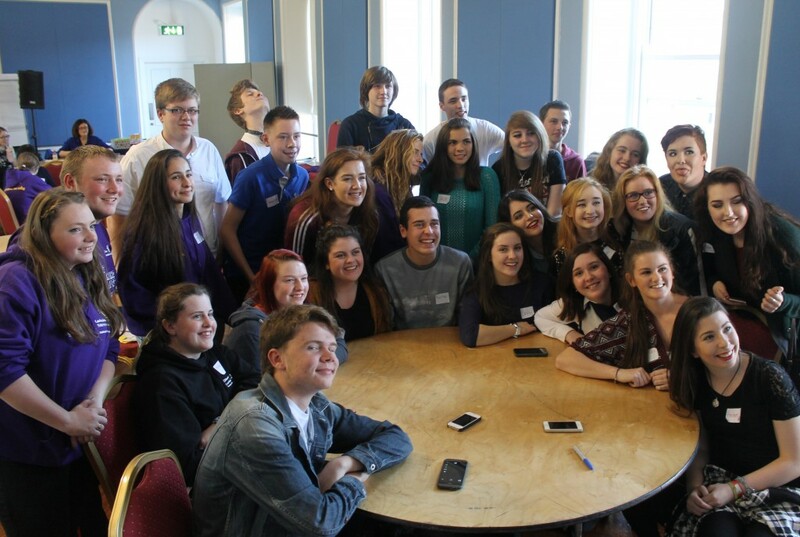 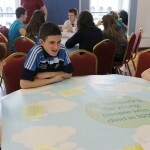 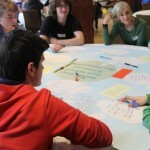 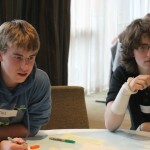 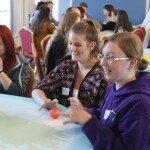 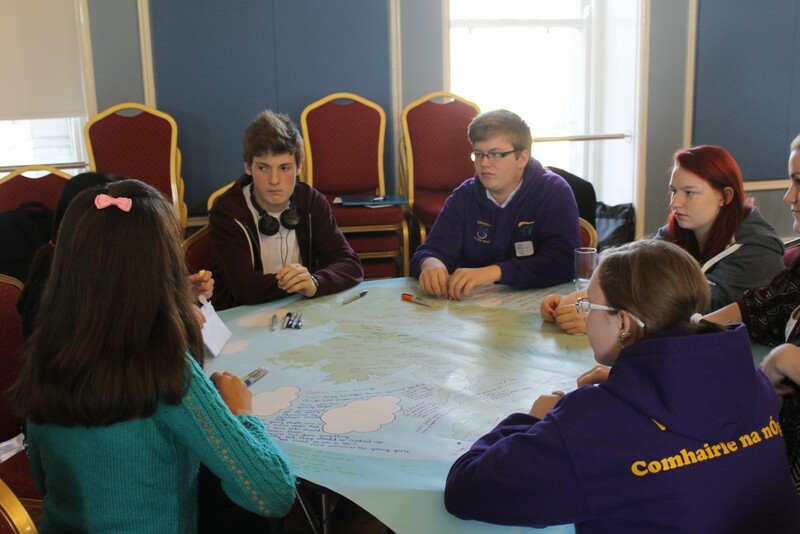 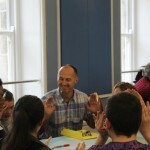 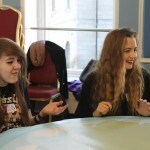 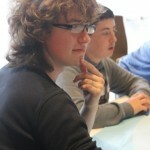 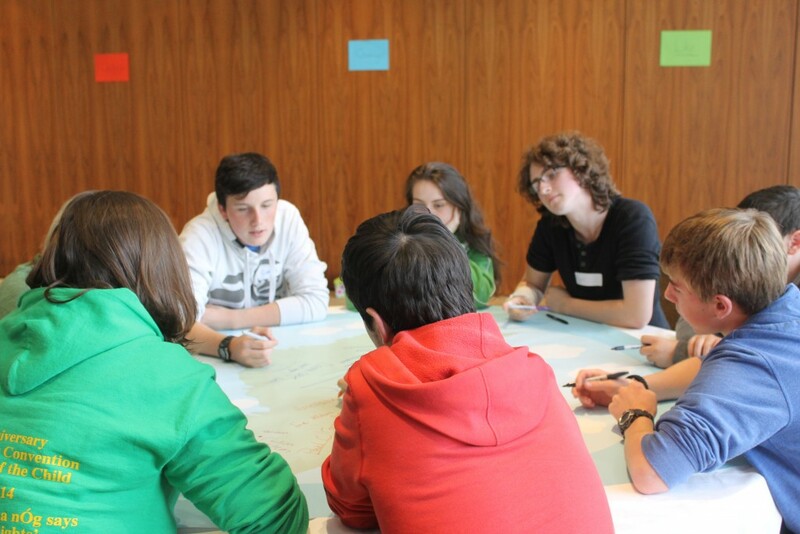 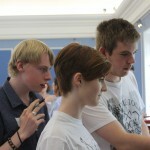 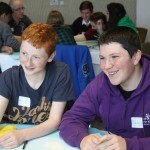 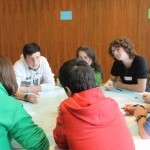 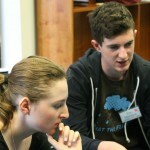 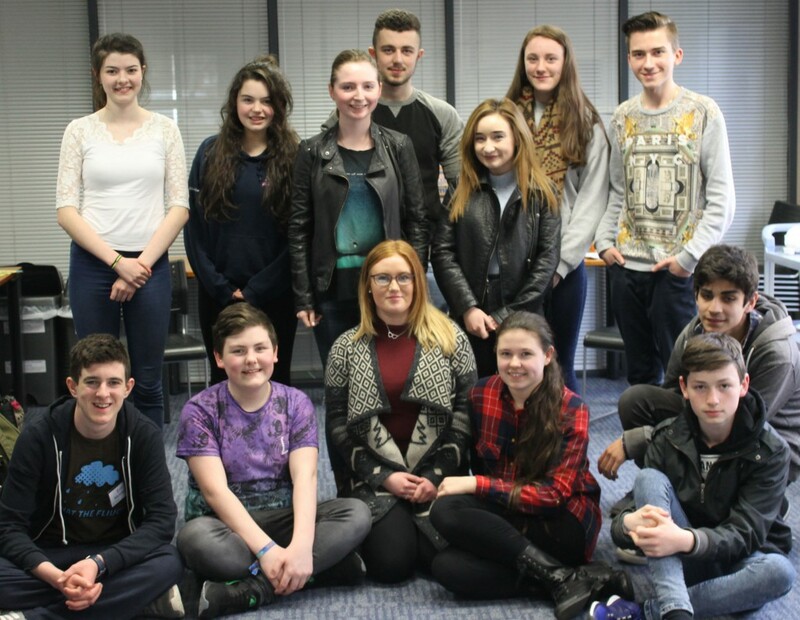 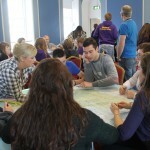 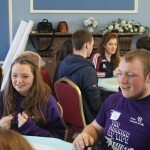 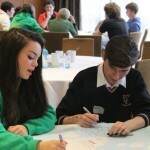 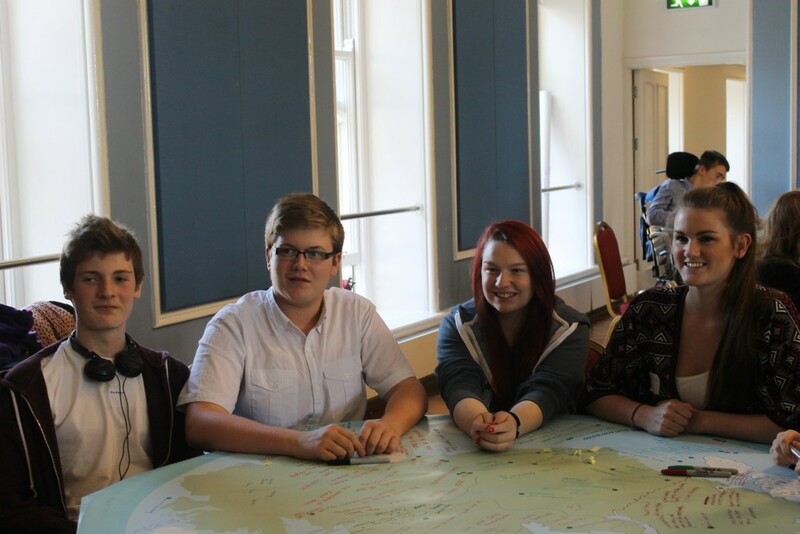 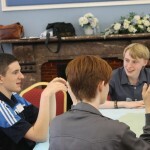 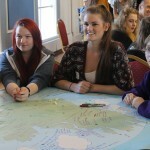 And here are they are: Comhairle members from Clare, Dublin City, Mayo and Offaly. 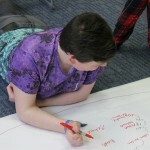 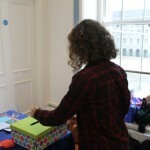 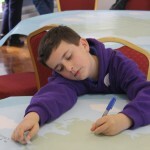 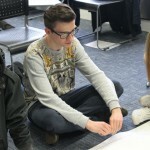 Hard at work and full of brilliant ideas. 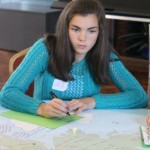 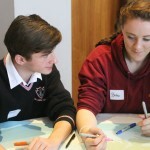 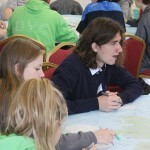 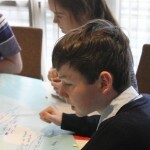 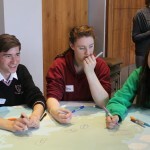 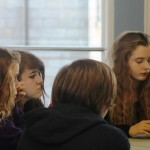 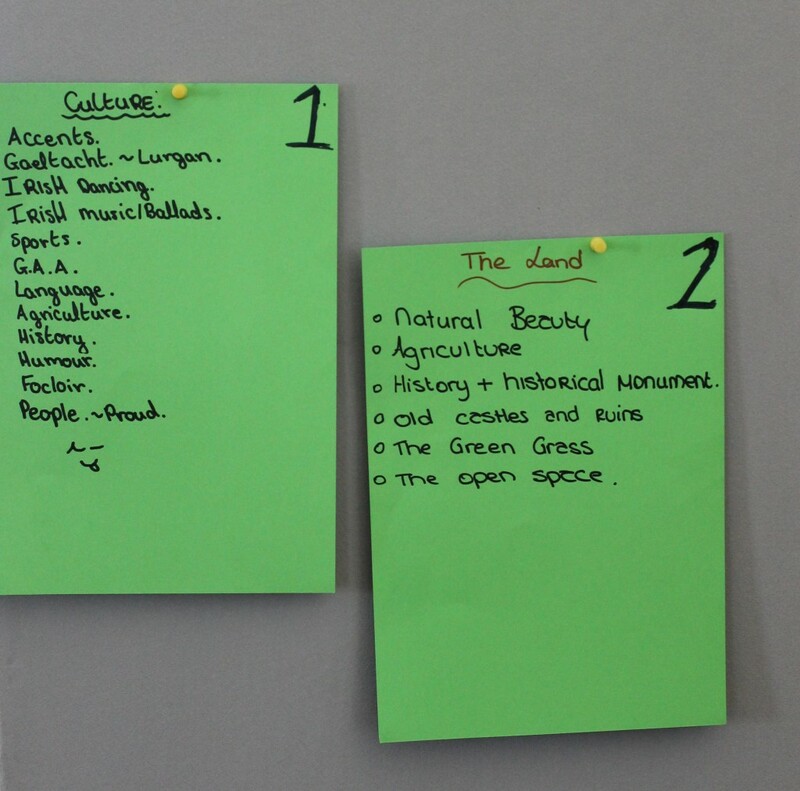 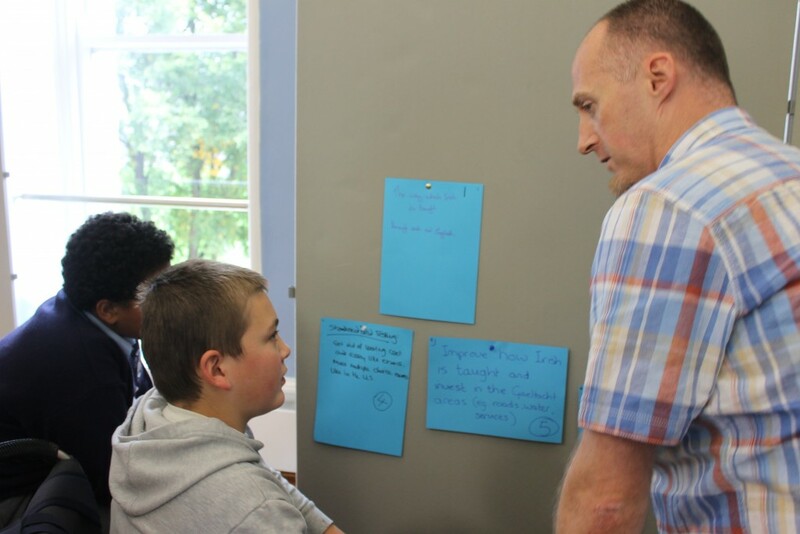 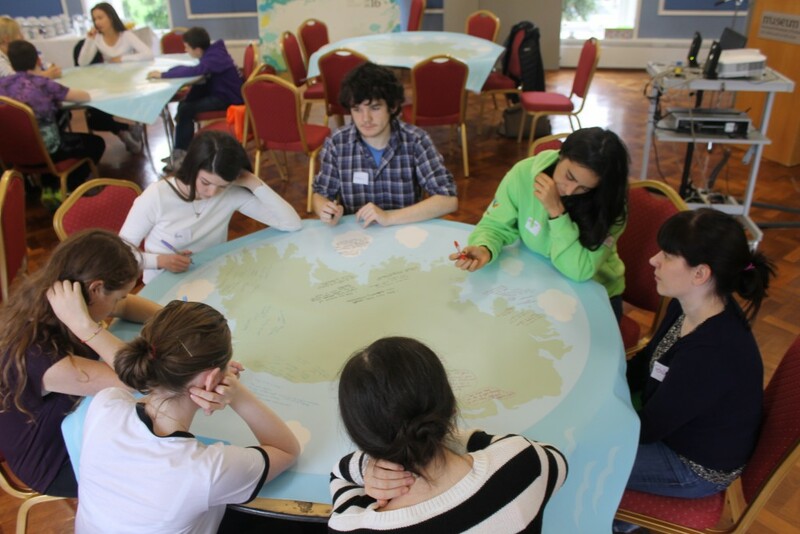 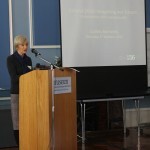 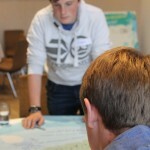 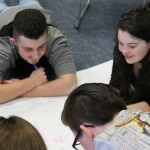 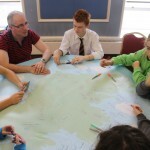 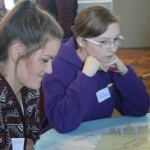 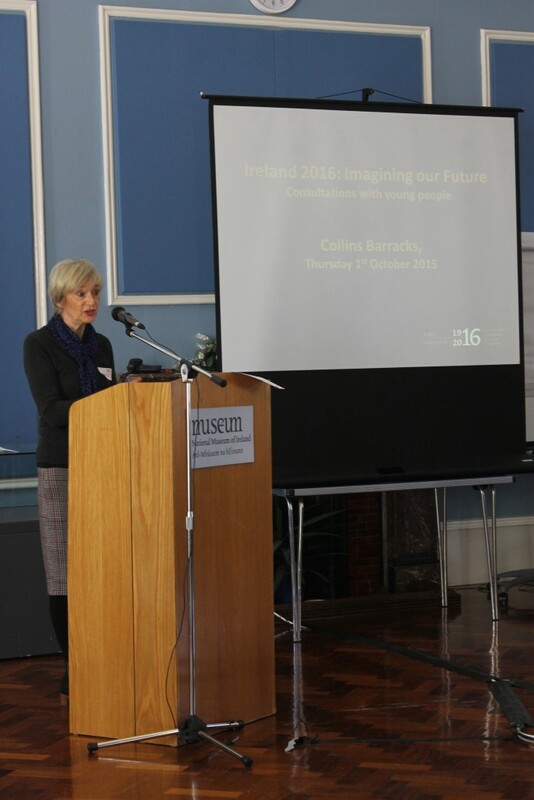 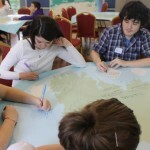 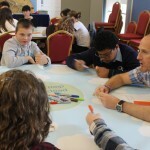 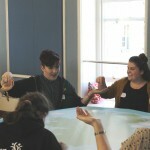 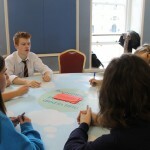 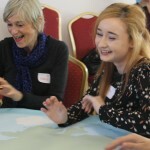 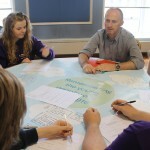 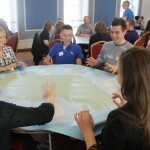 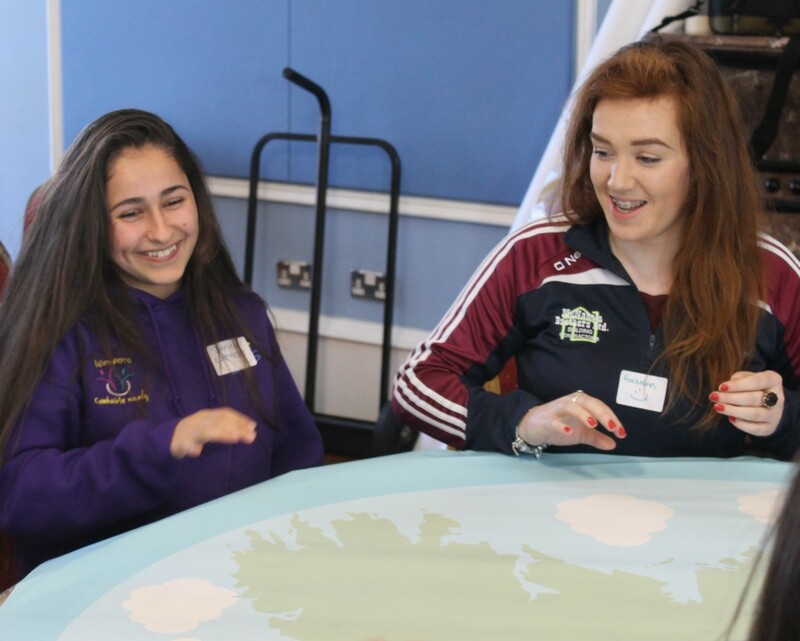 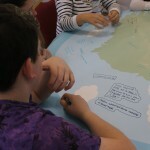 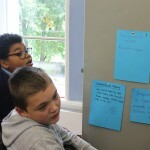 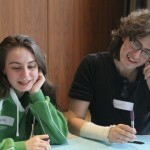 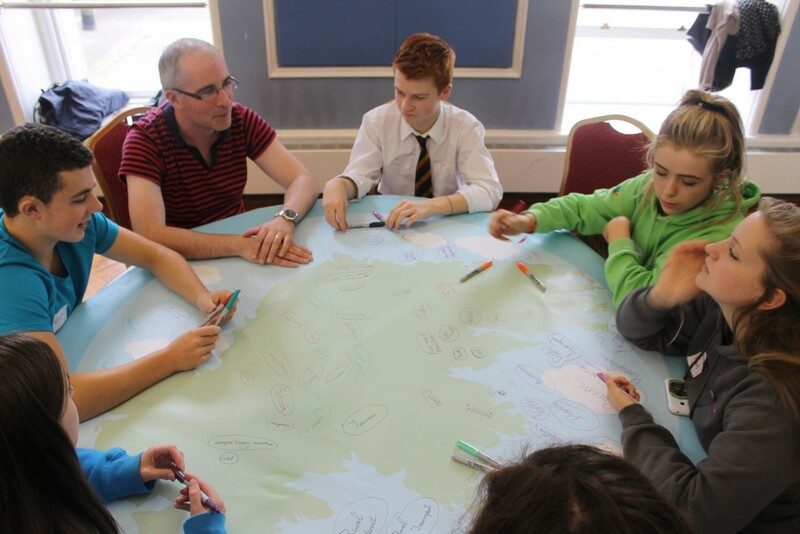 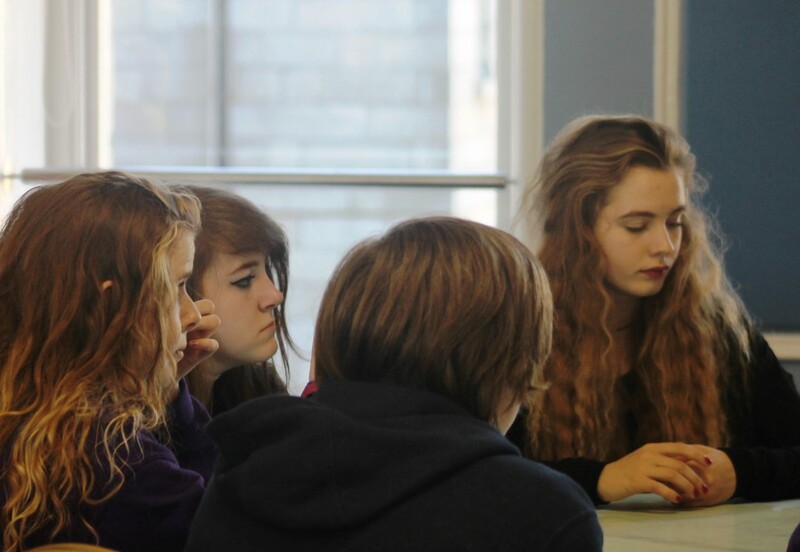 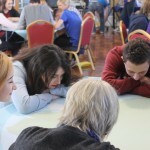 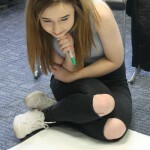 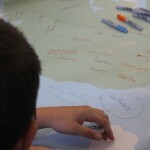 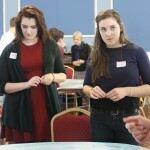 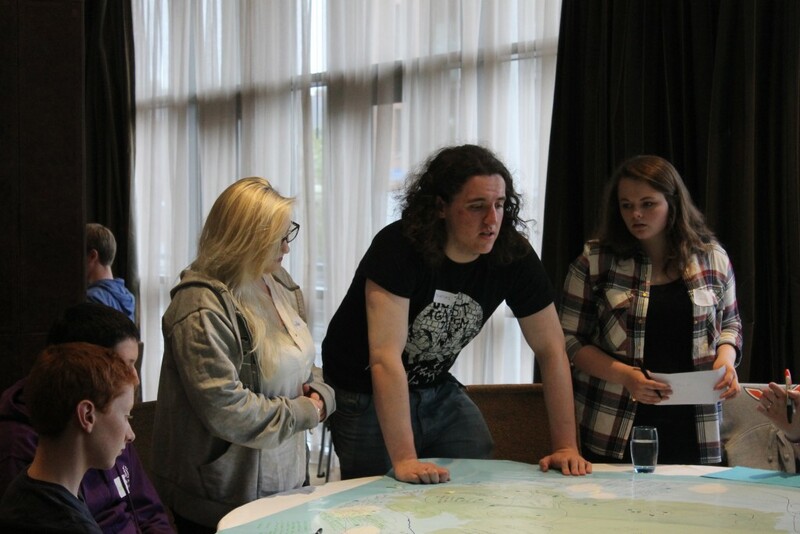 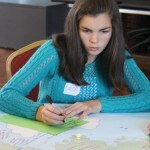 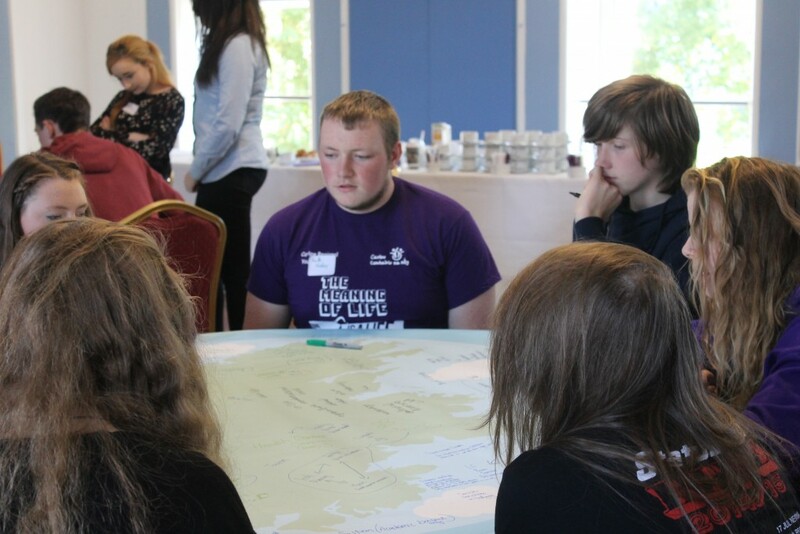 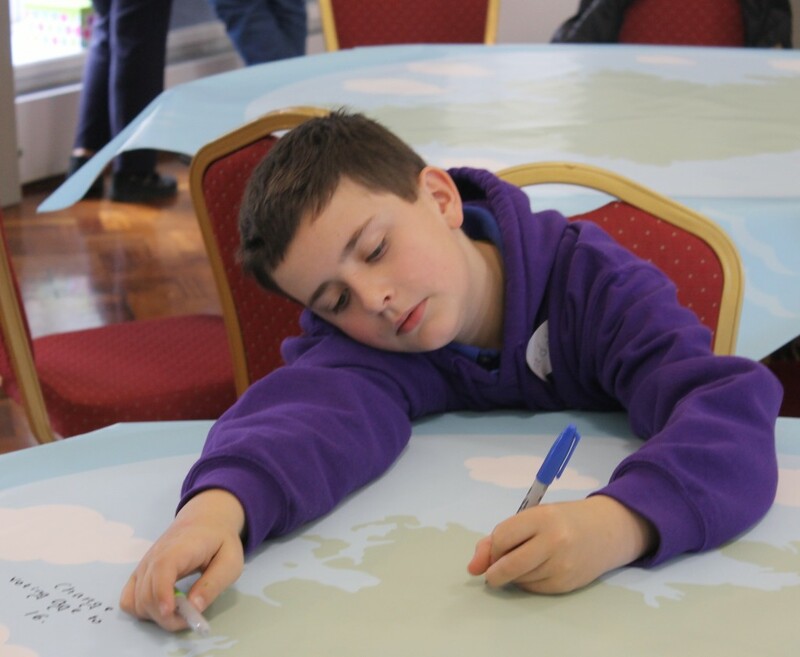 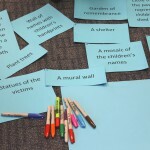 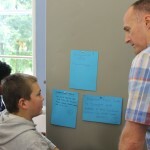 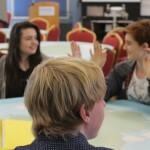 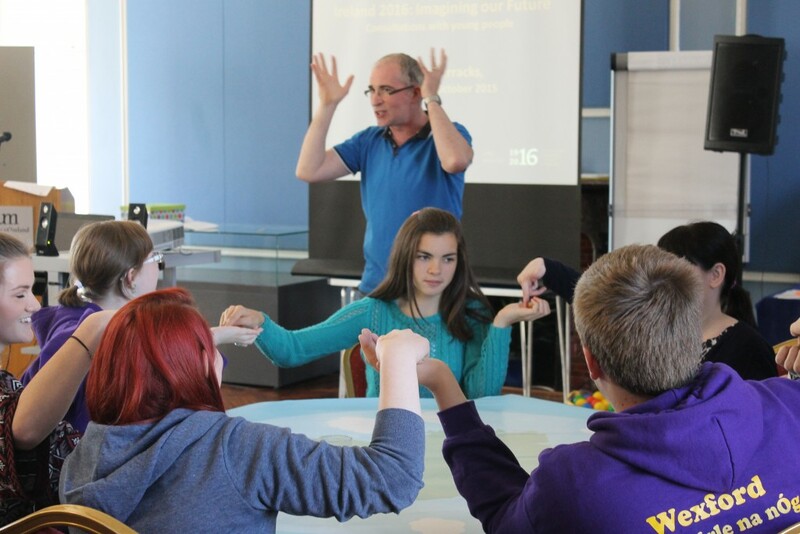 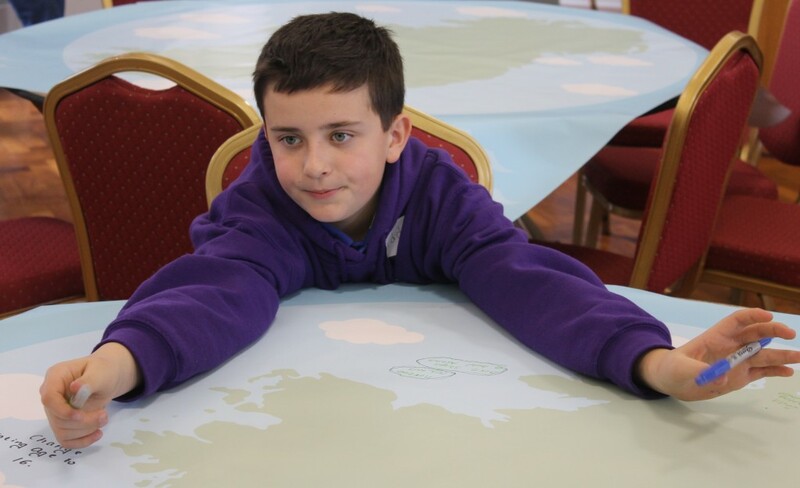 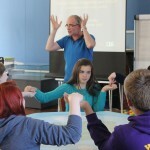 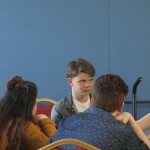 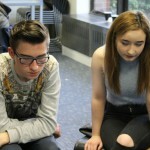 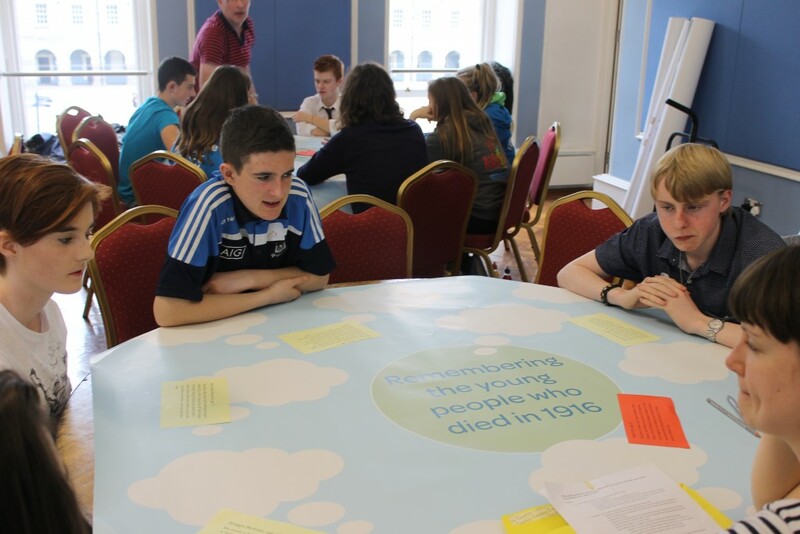 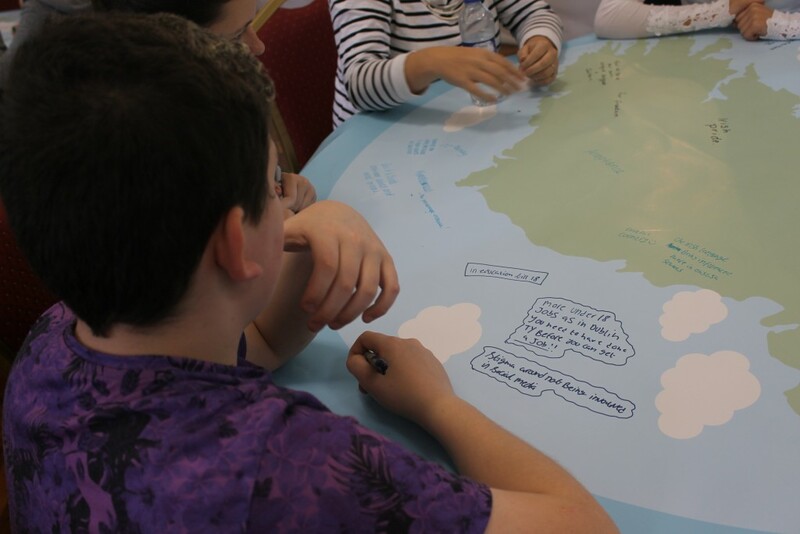 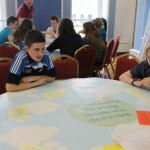 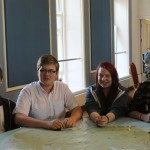 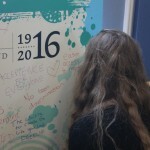 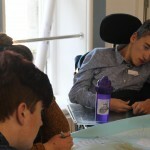 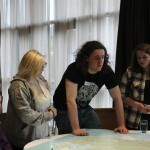 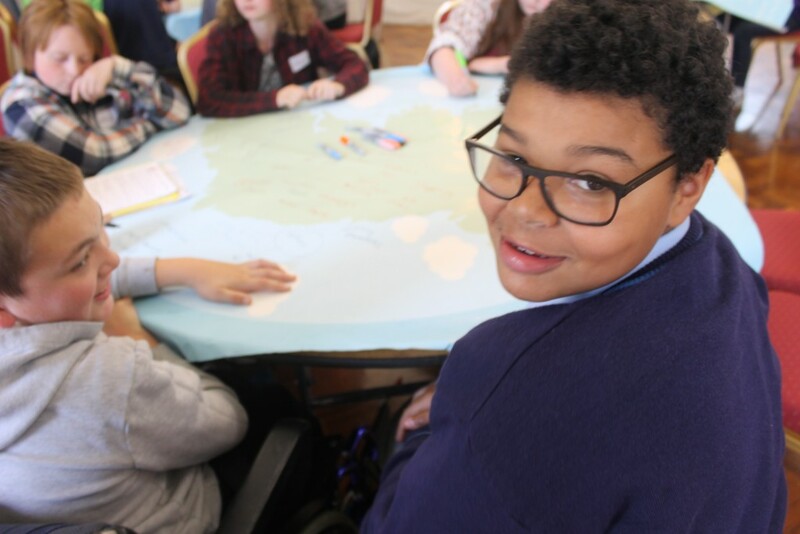 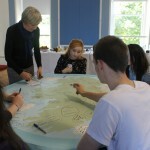 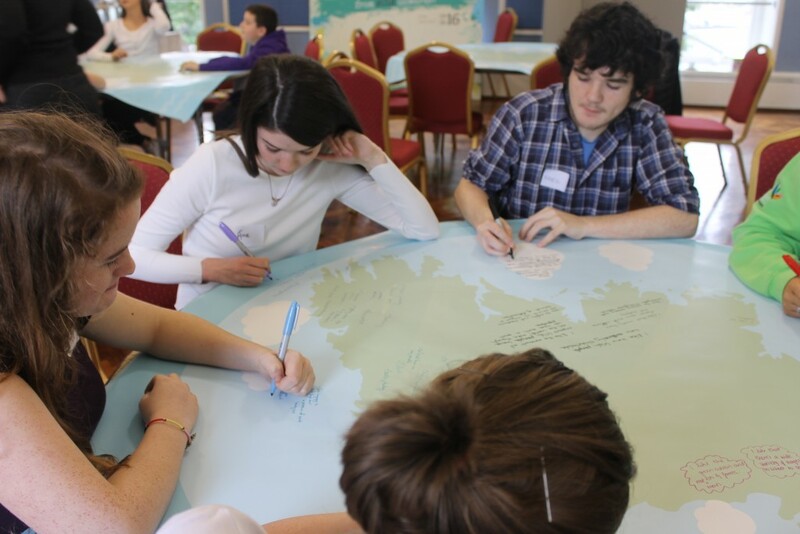 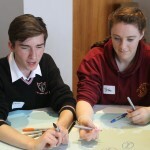 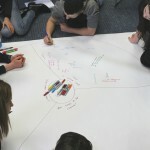 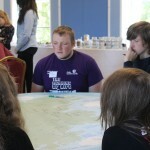 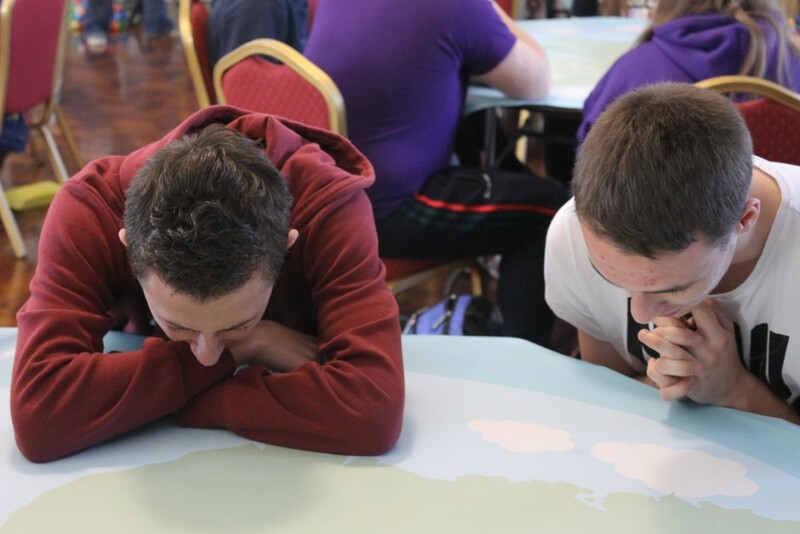 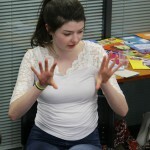 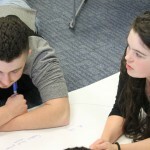 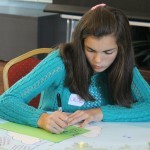 In September and October 2015, three post-primary consultation were held in Dublin and Limerick as part of the Ireland 2016 Centenary Programme. 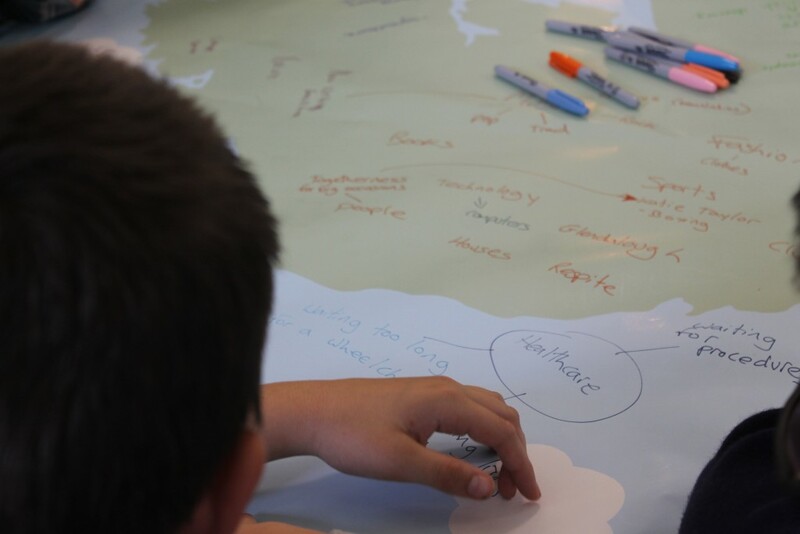 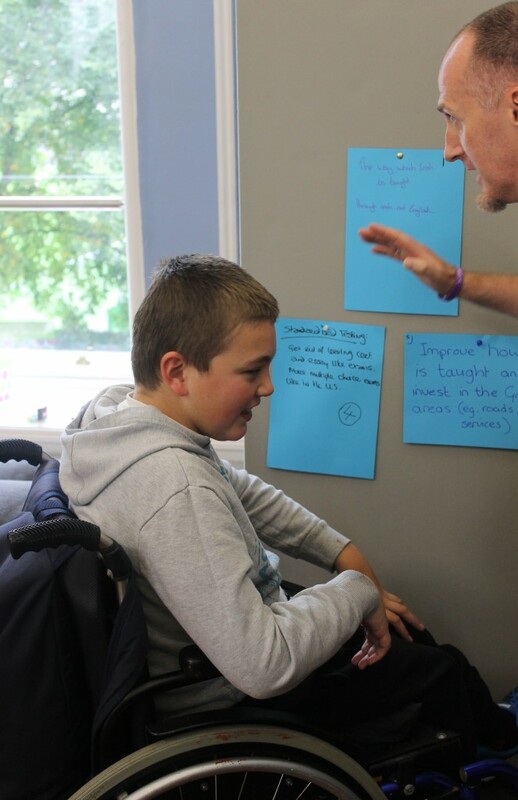 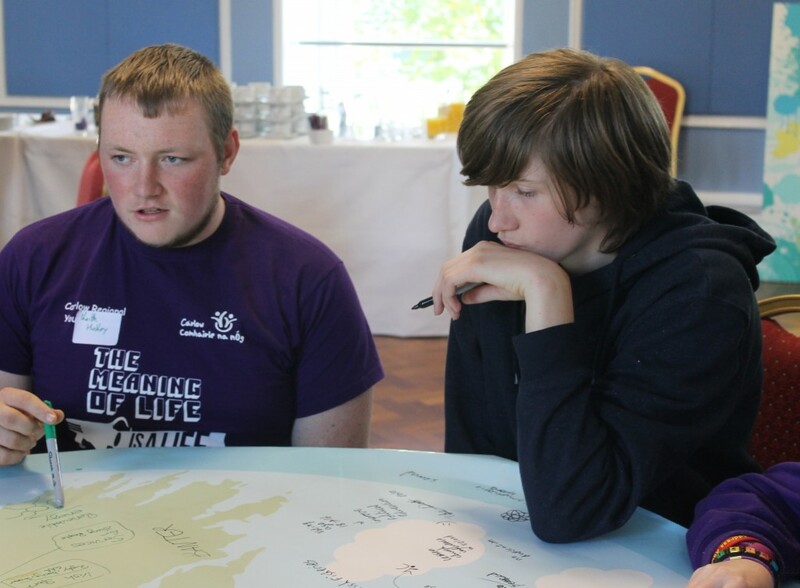 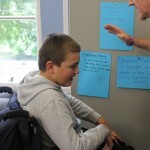 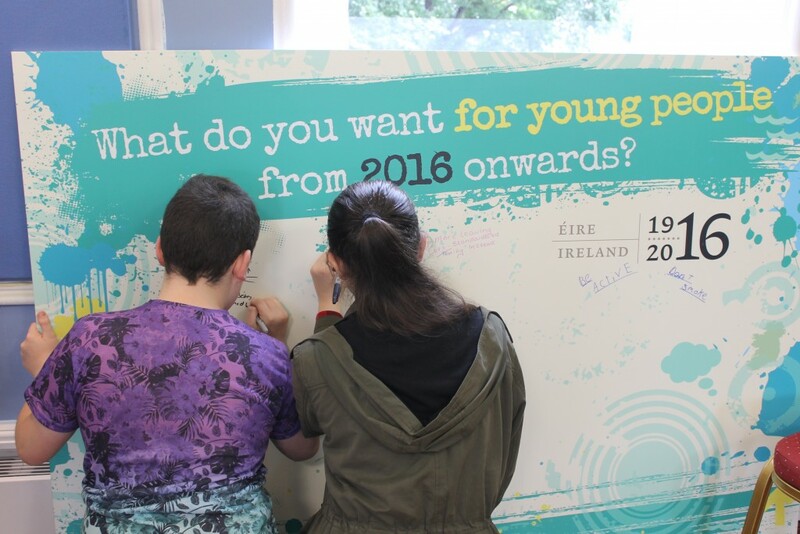 The theme for the consultations is ‘Imagining our Future’ and were carried out in partnership with DCYA and the Ireland 2016 project team. 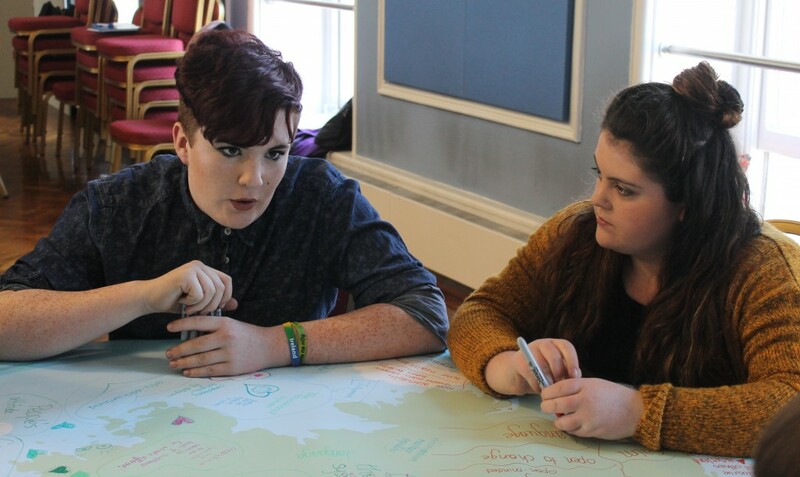 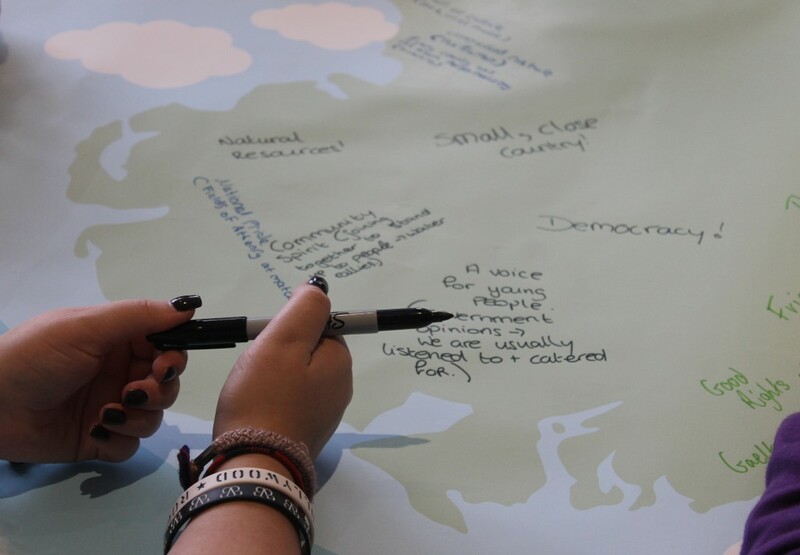 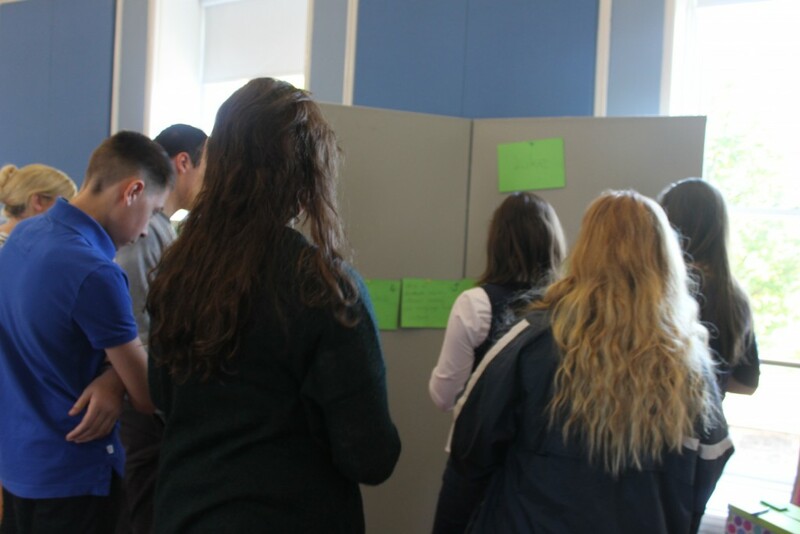 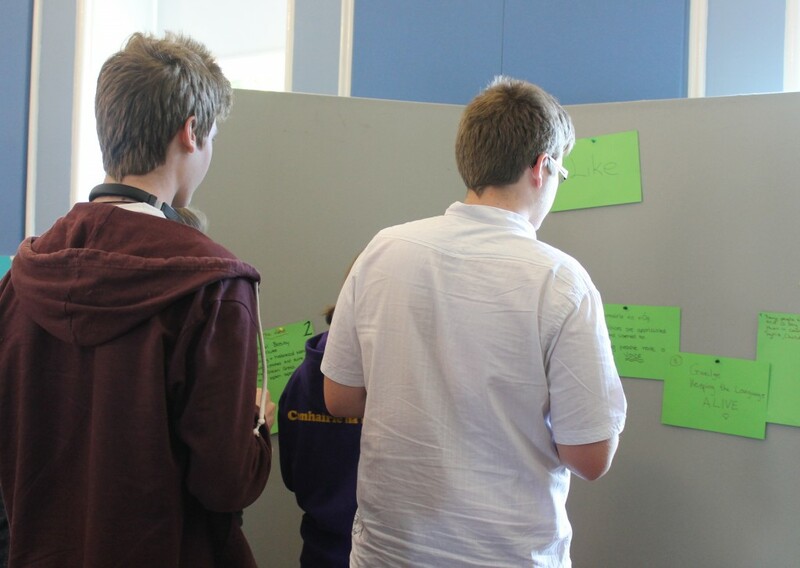 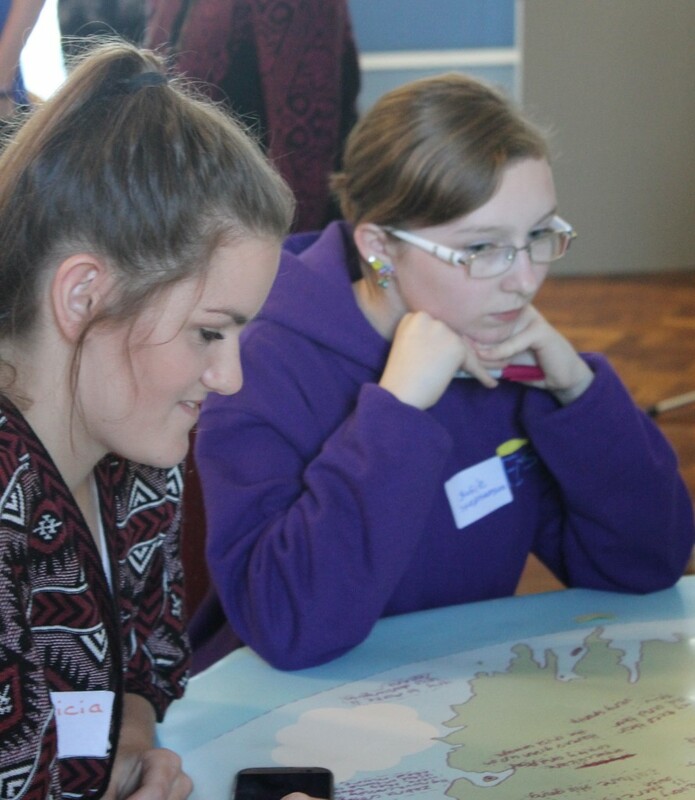 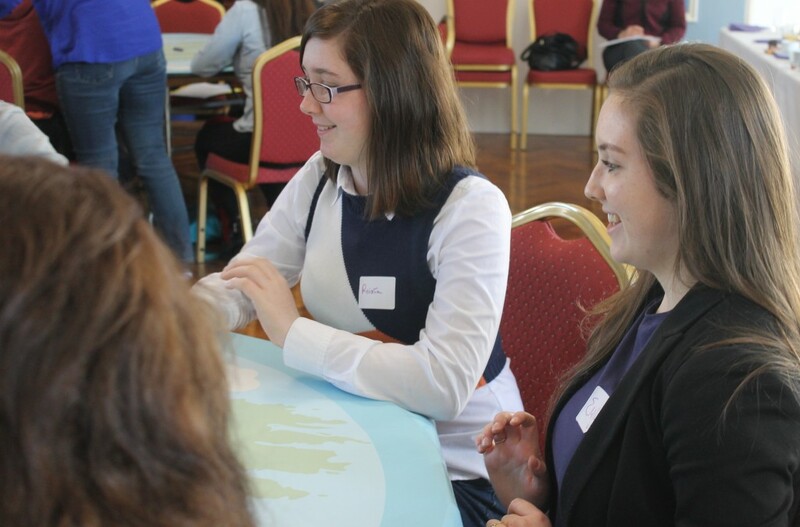 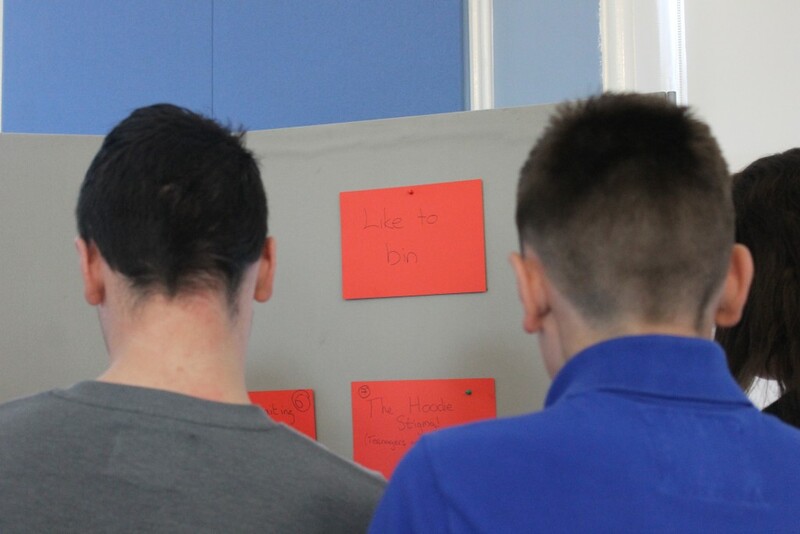 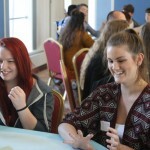 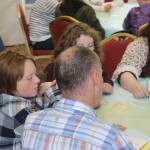 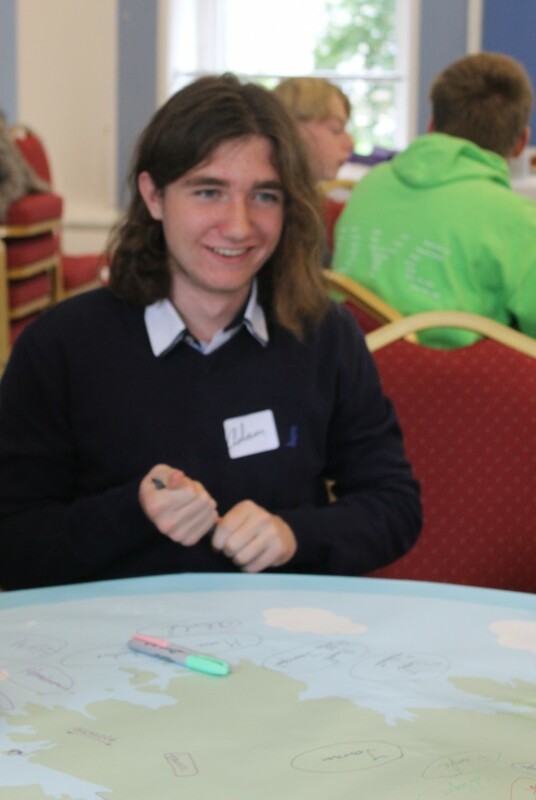 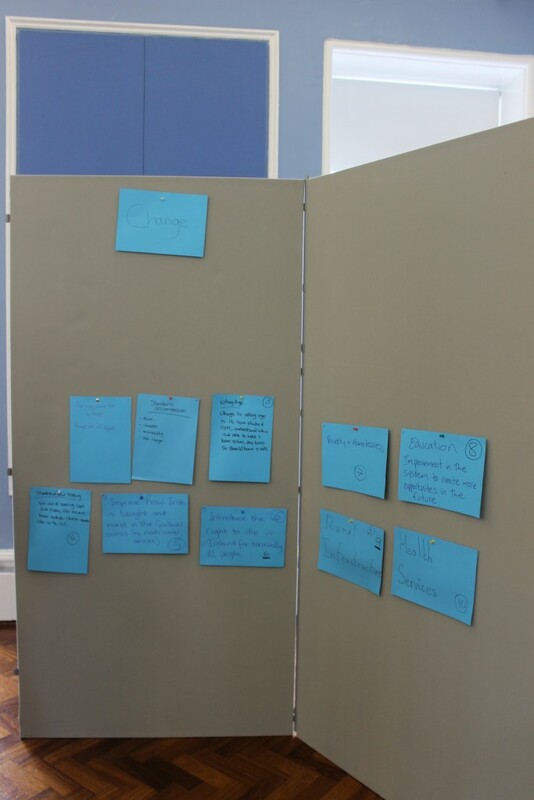 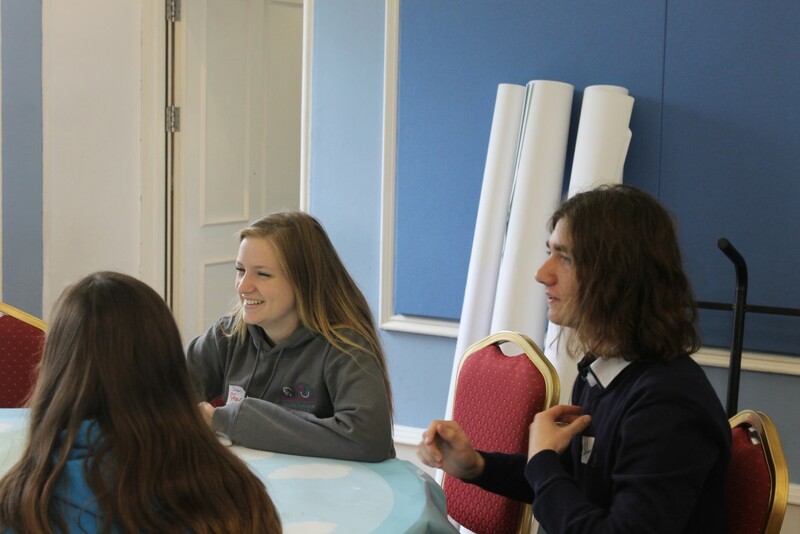 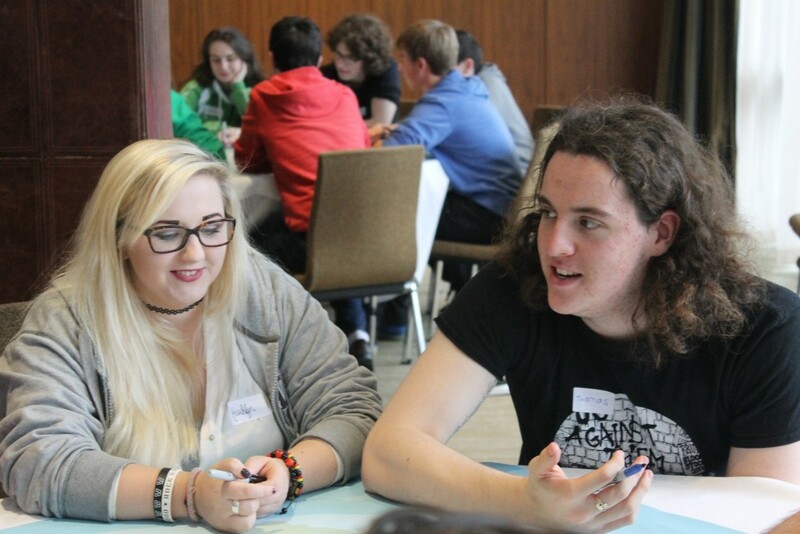 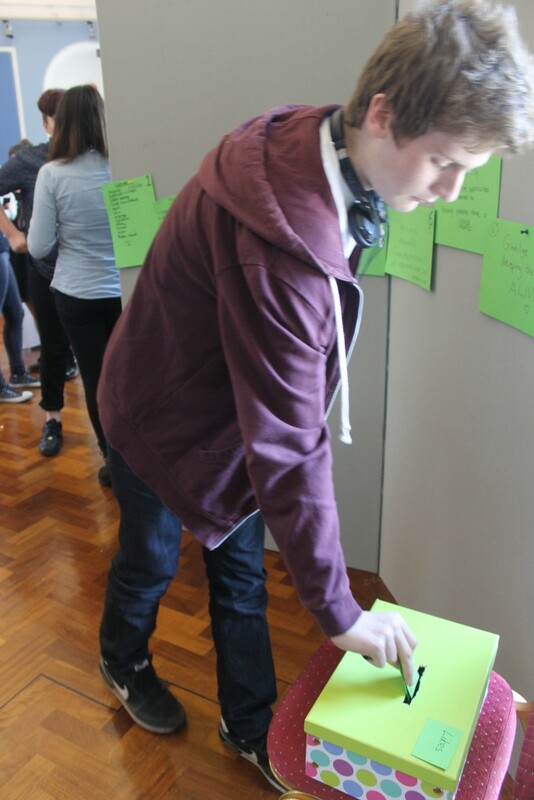 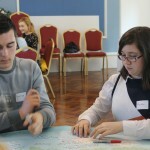 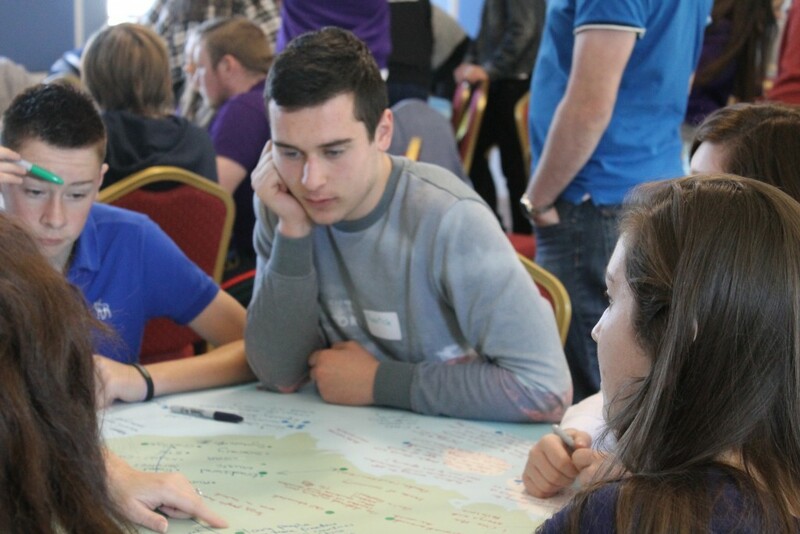 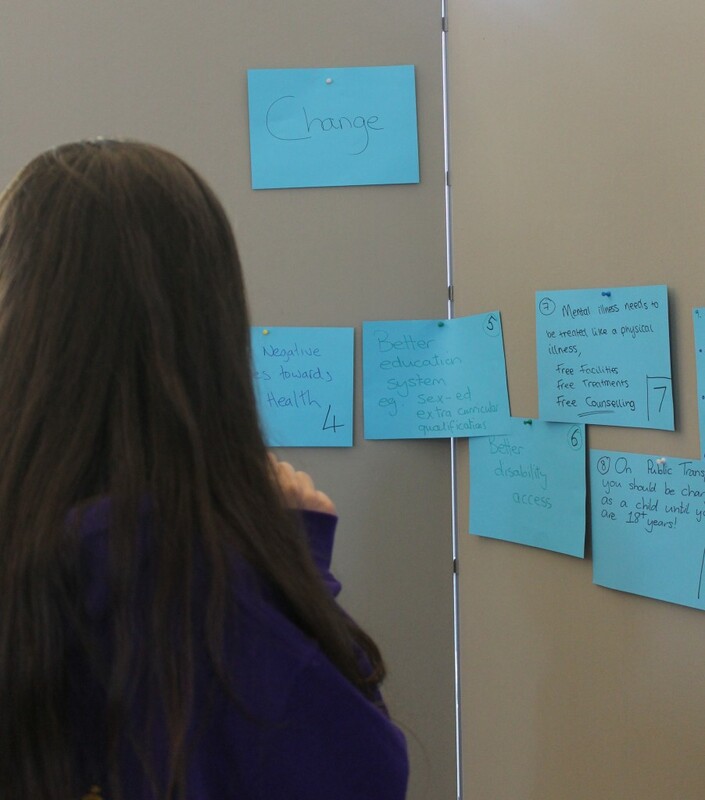 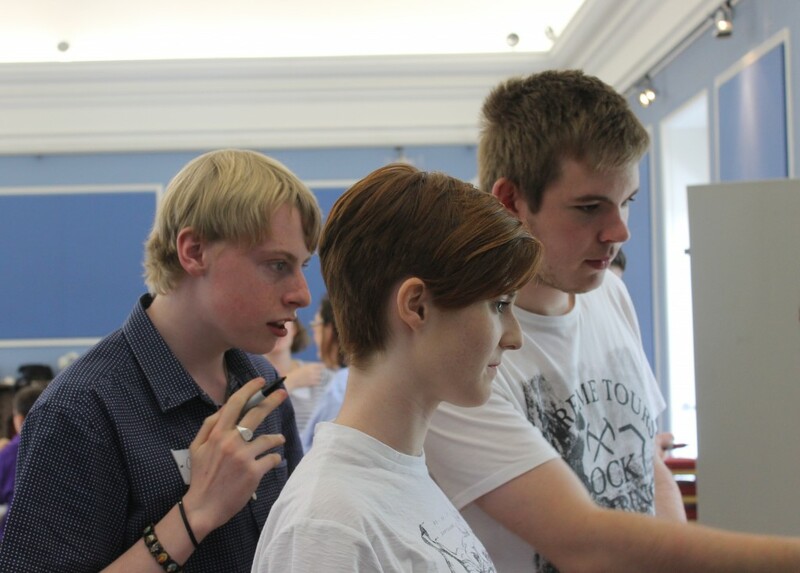 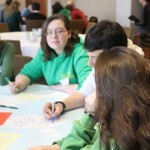 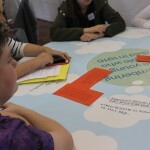 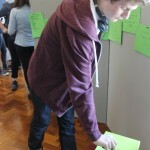 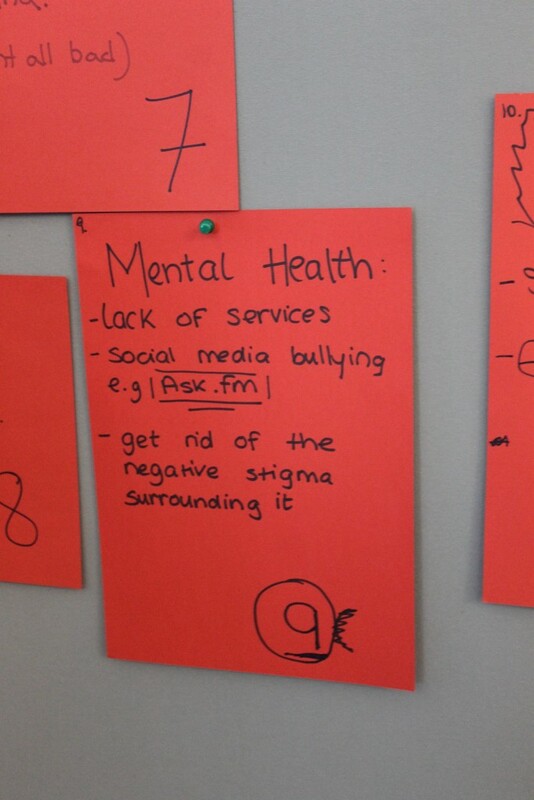 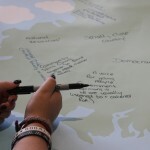 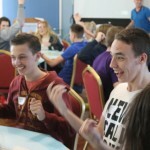 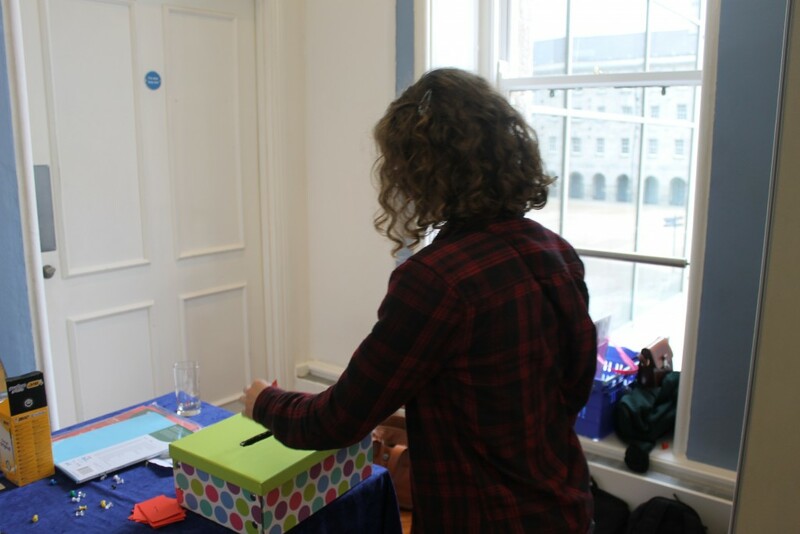 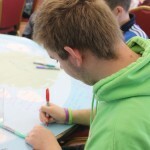 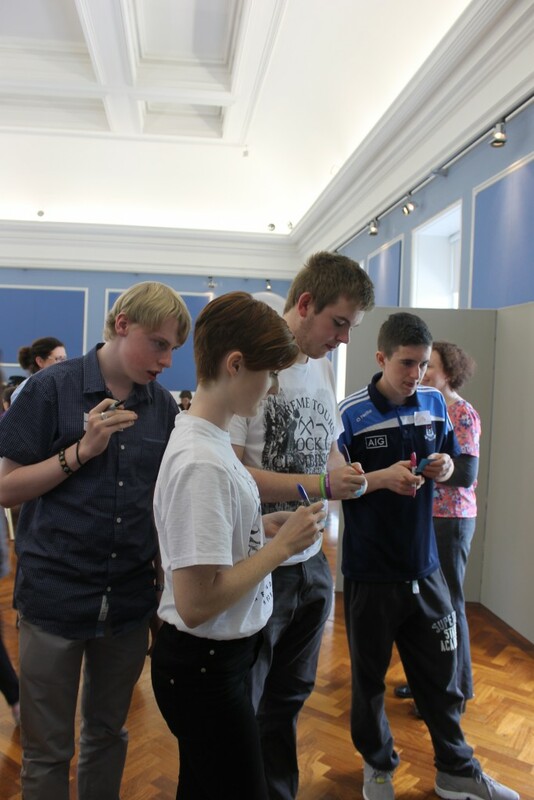 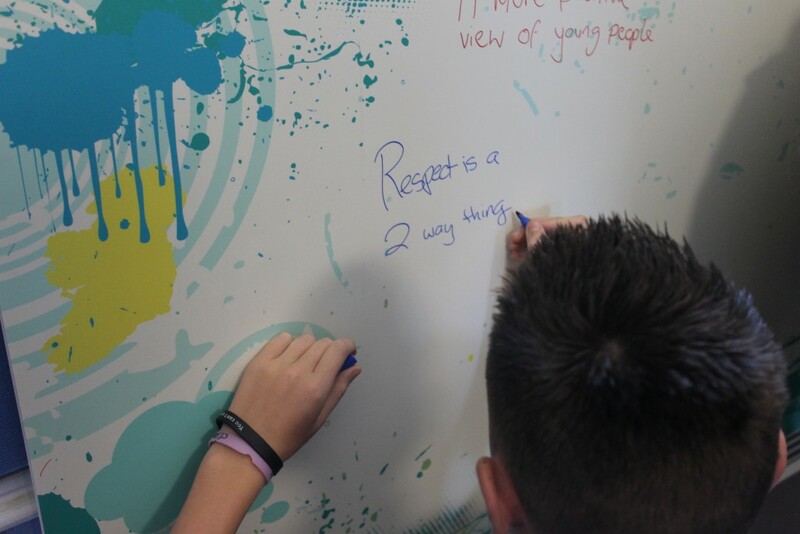 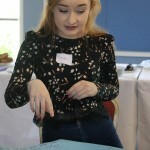 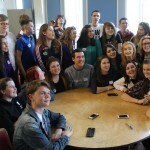 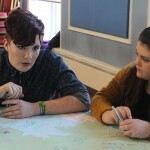 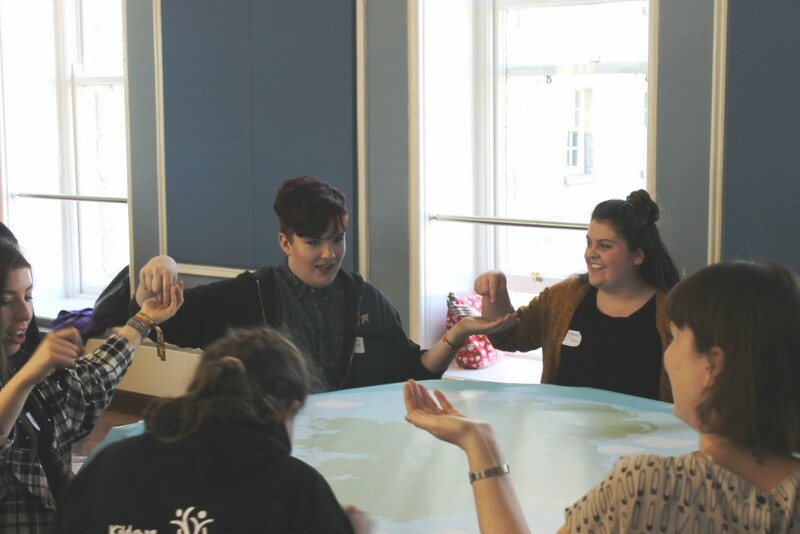 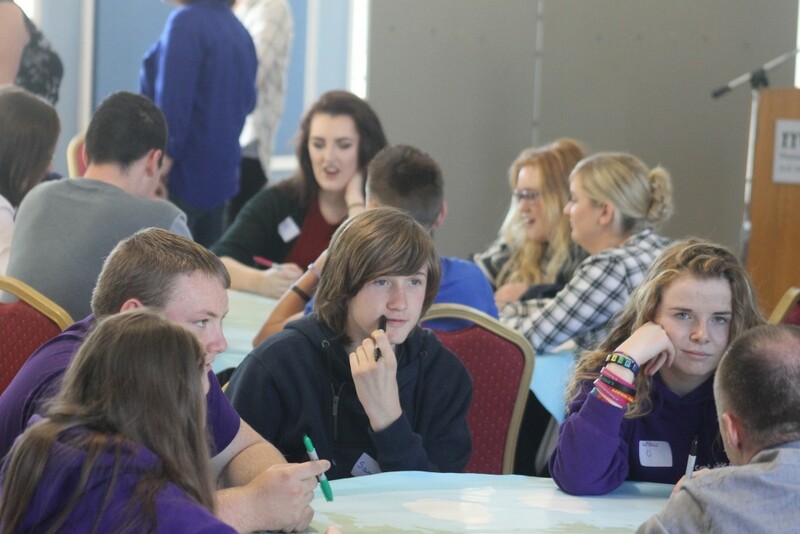 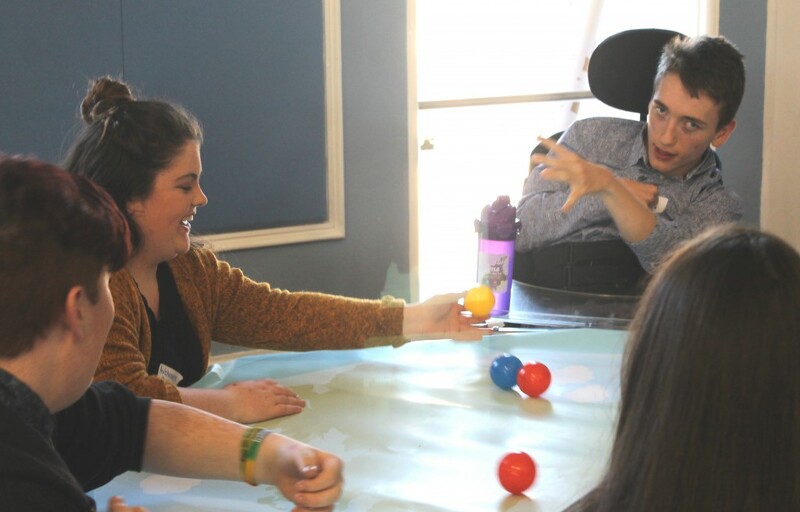 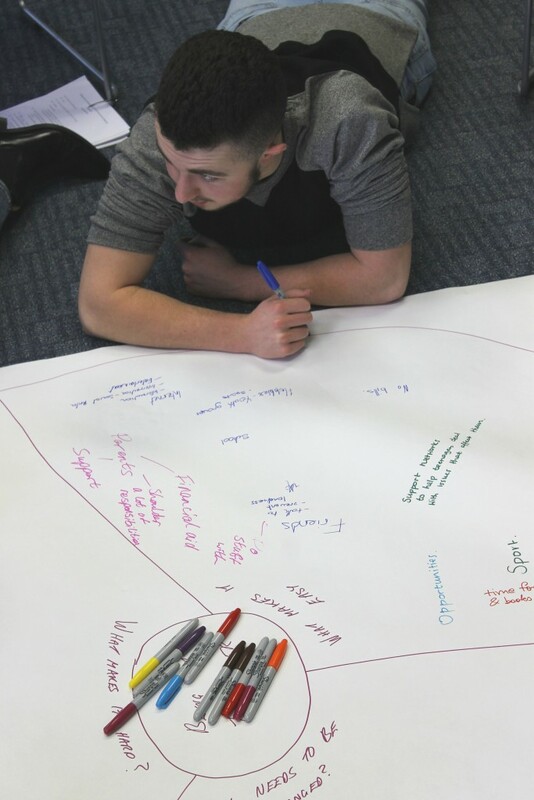 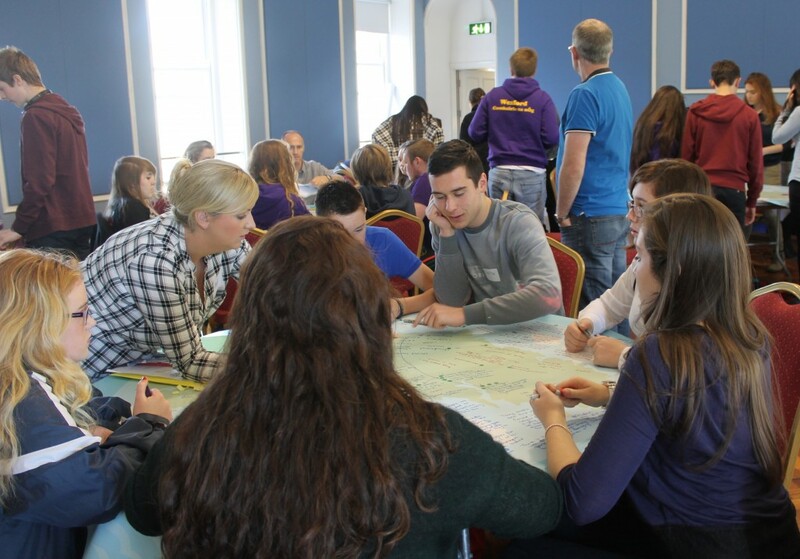 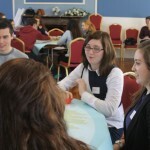 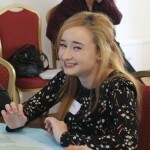 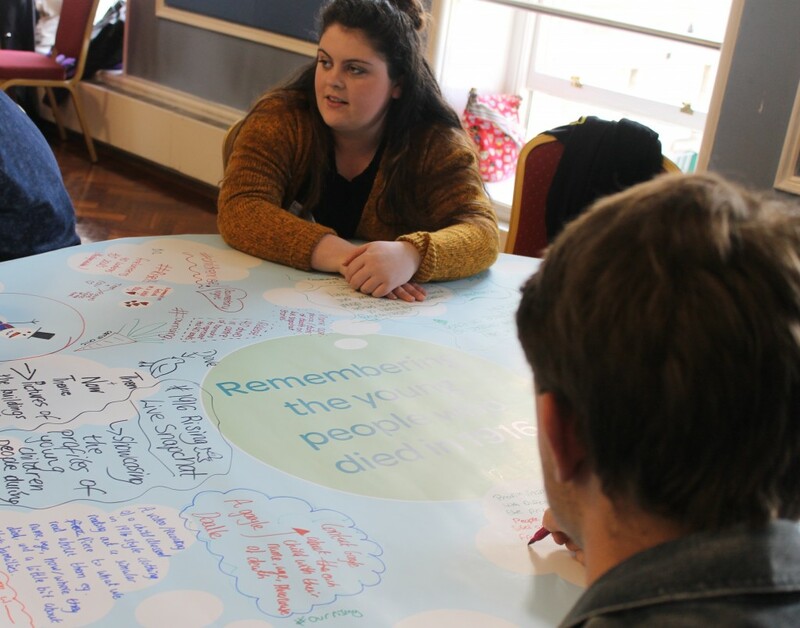 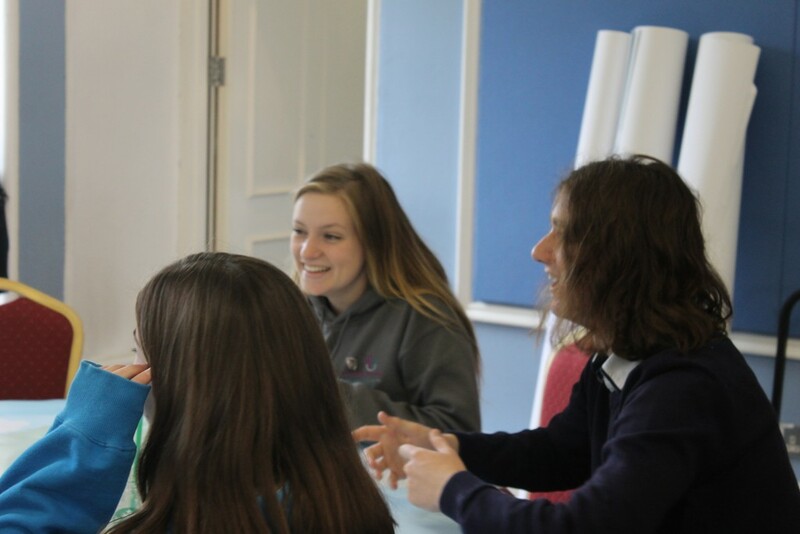 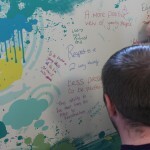 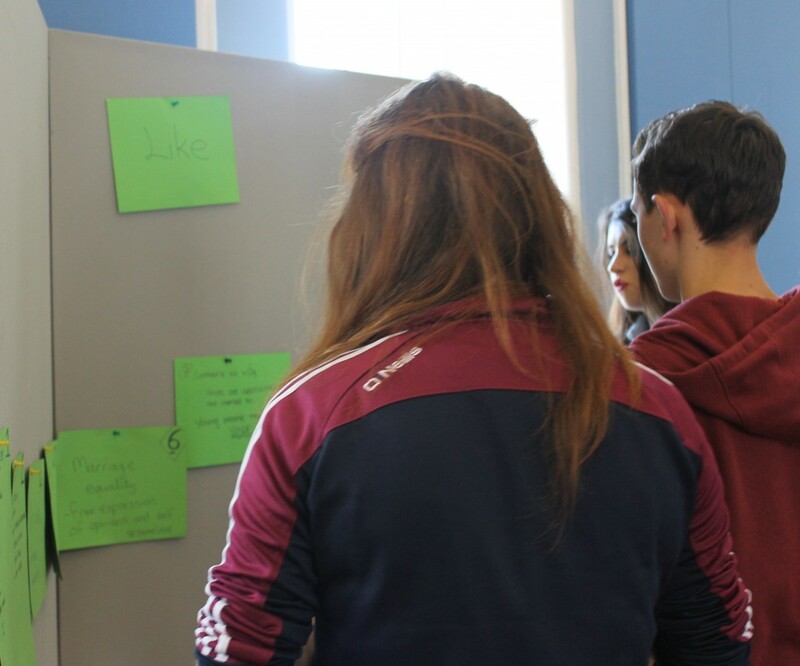 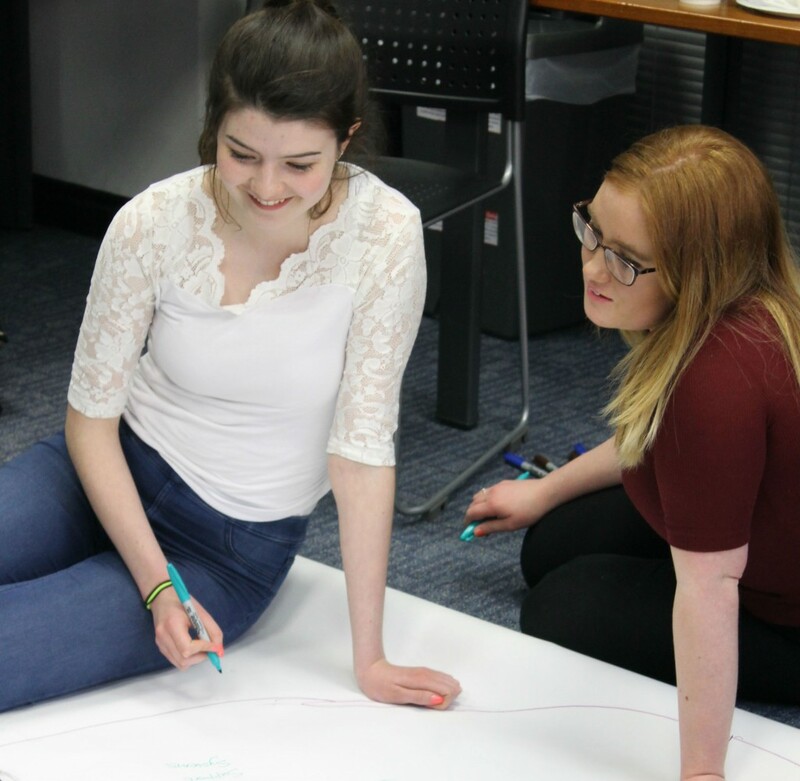 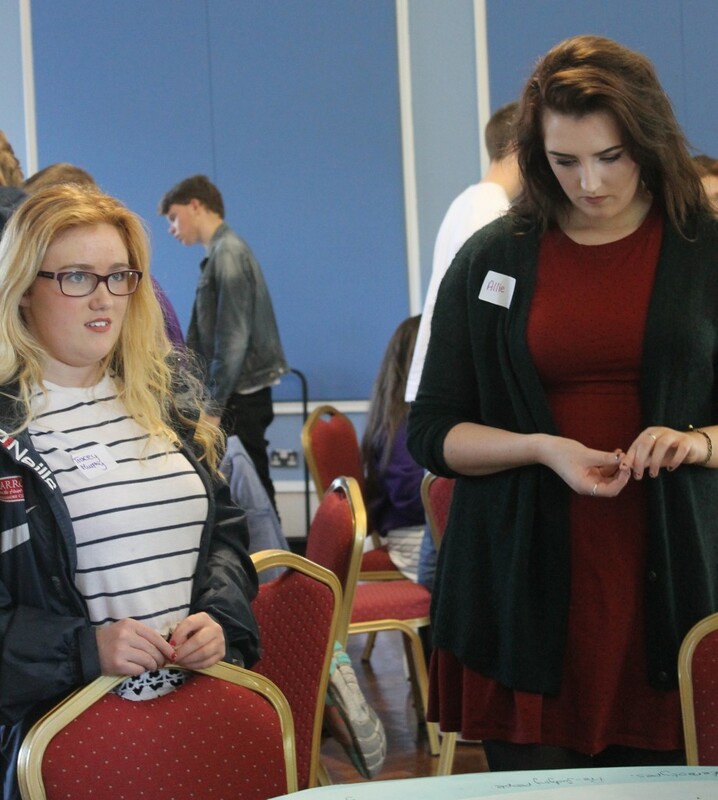 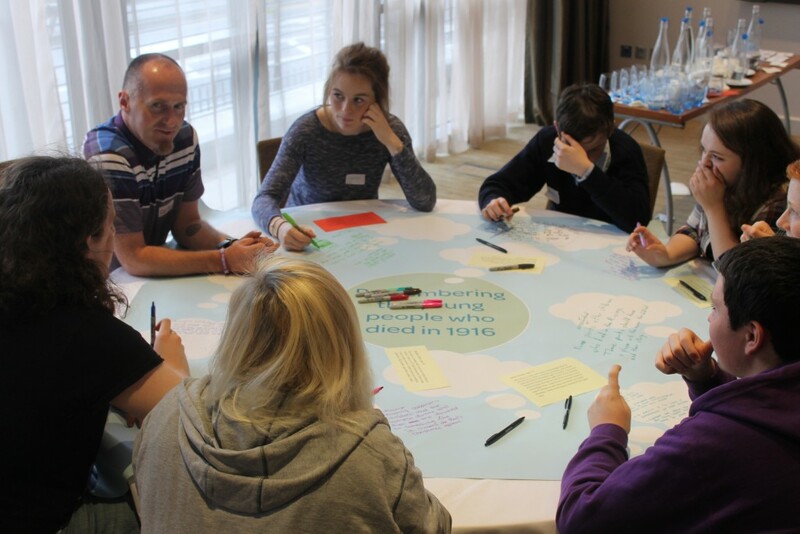 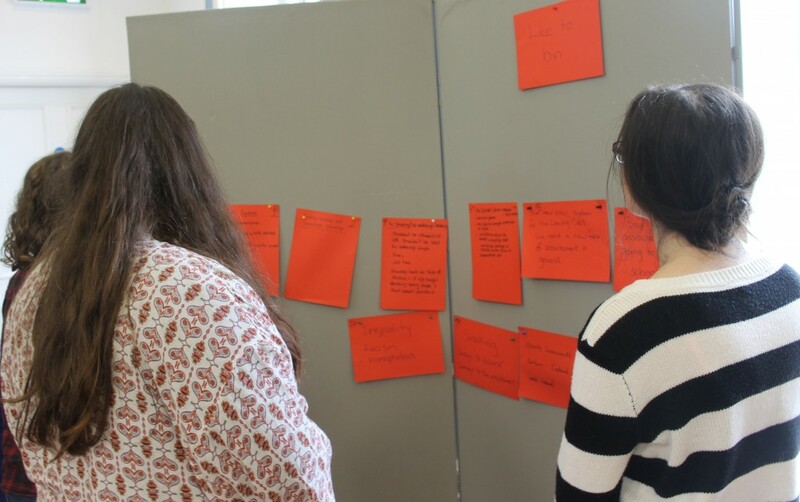 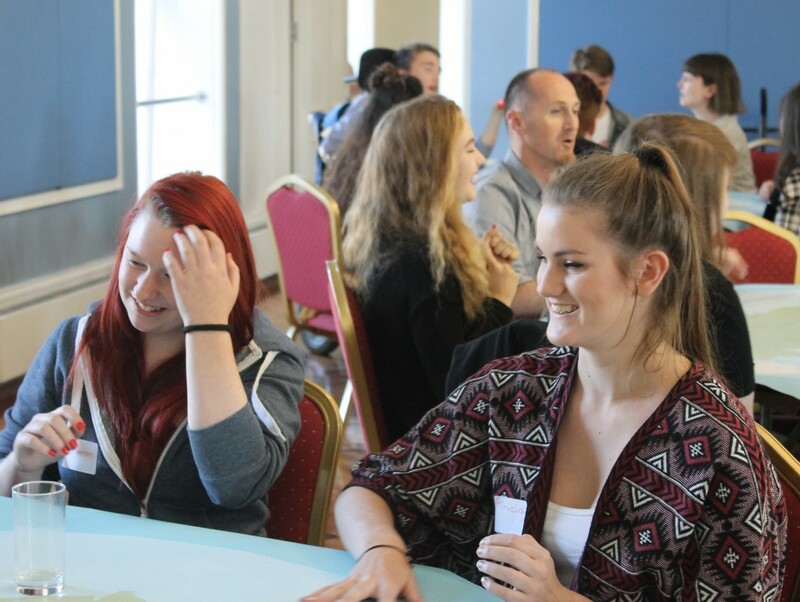 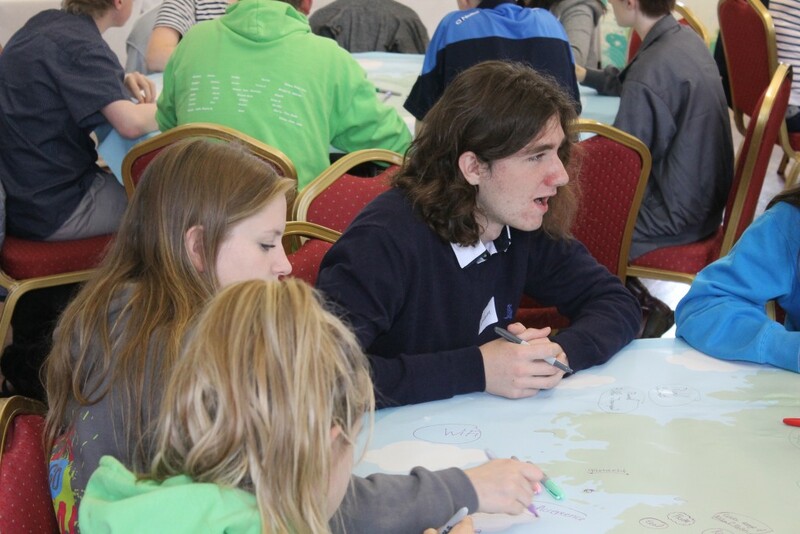 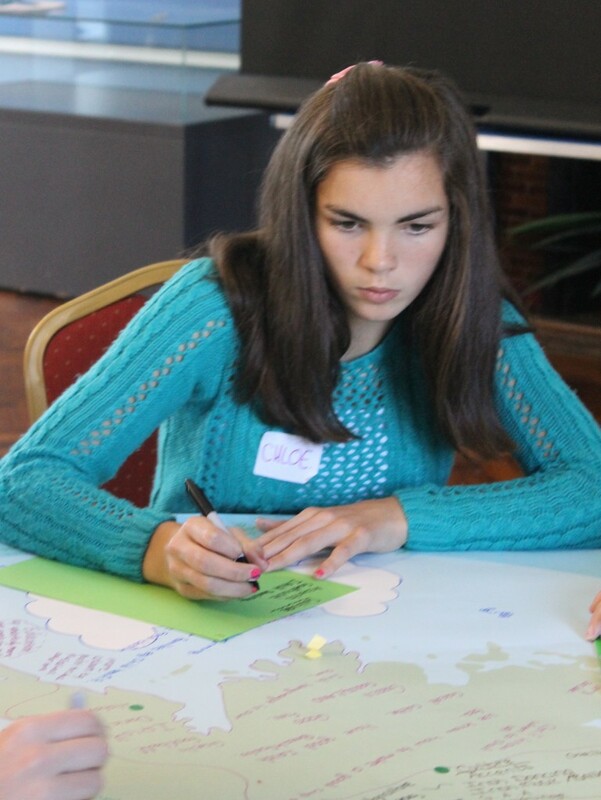 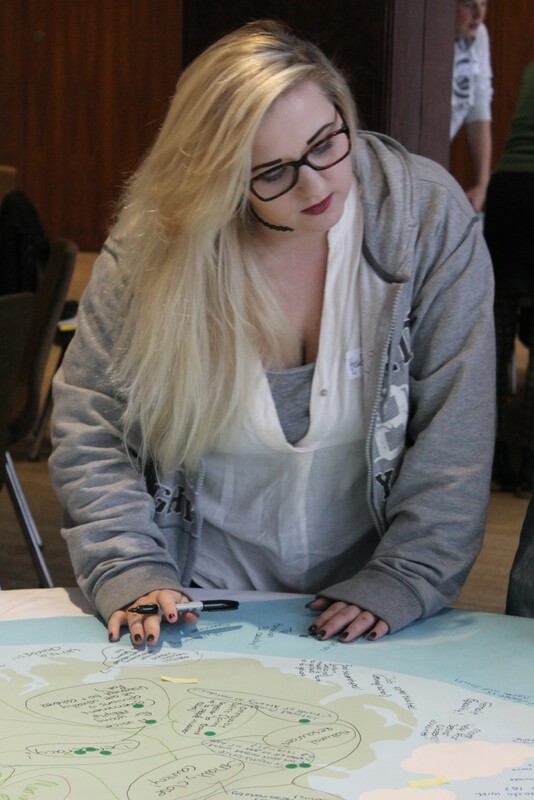 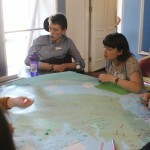 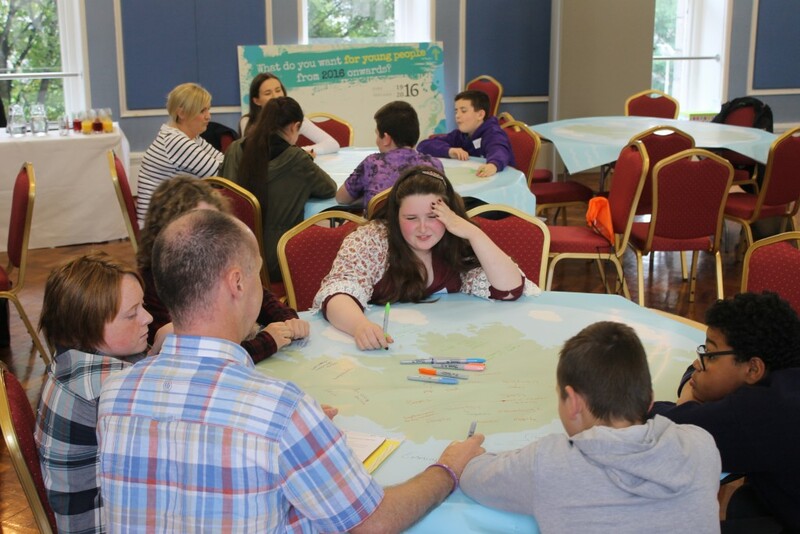 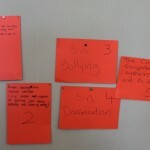 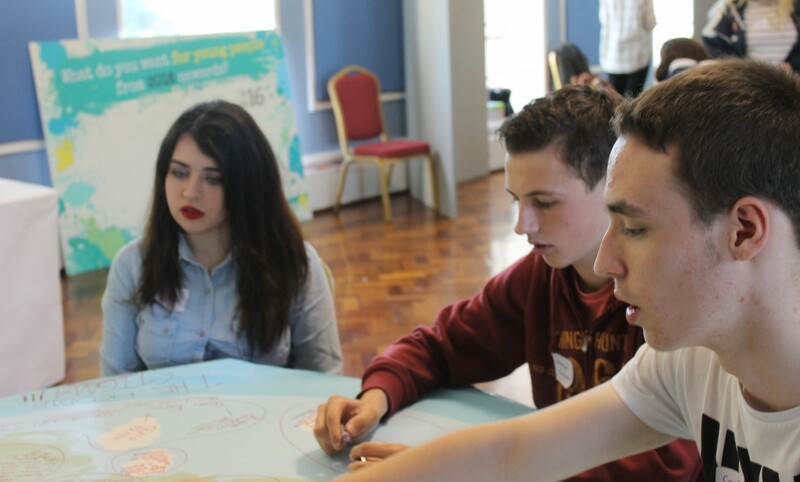 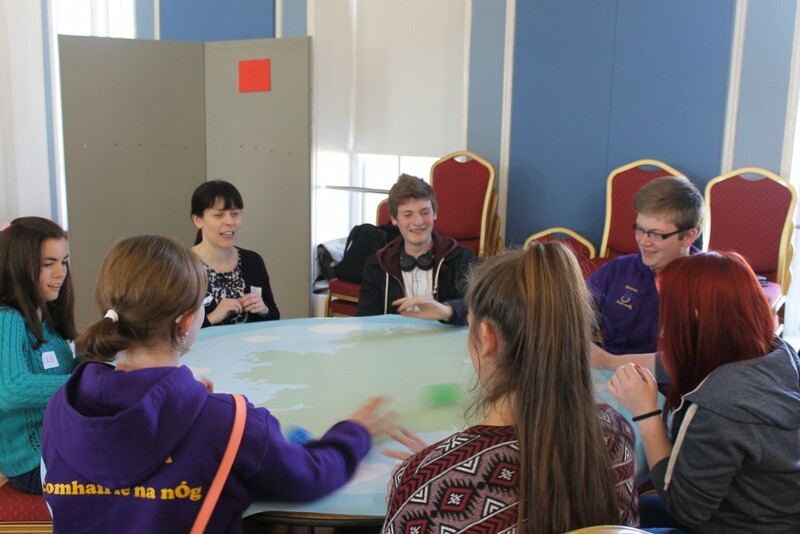 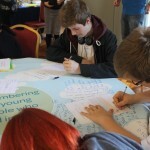 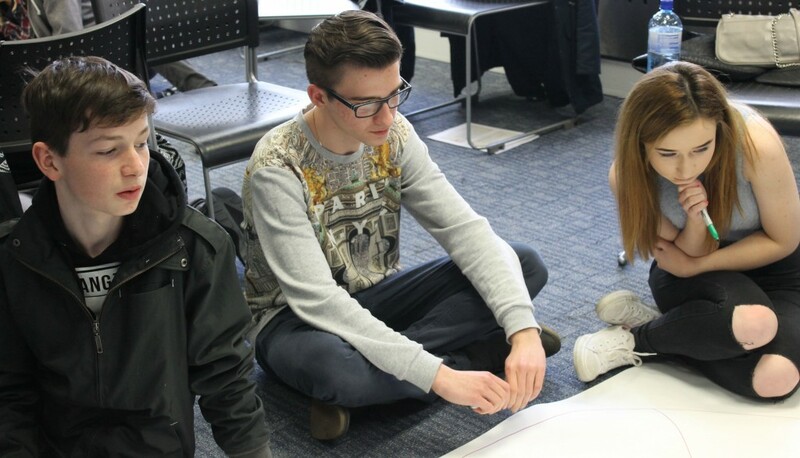 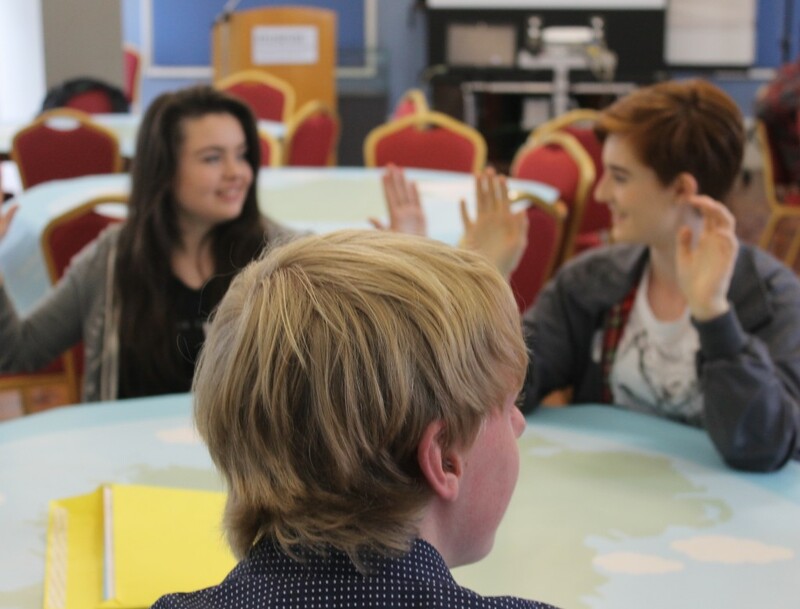 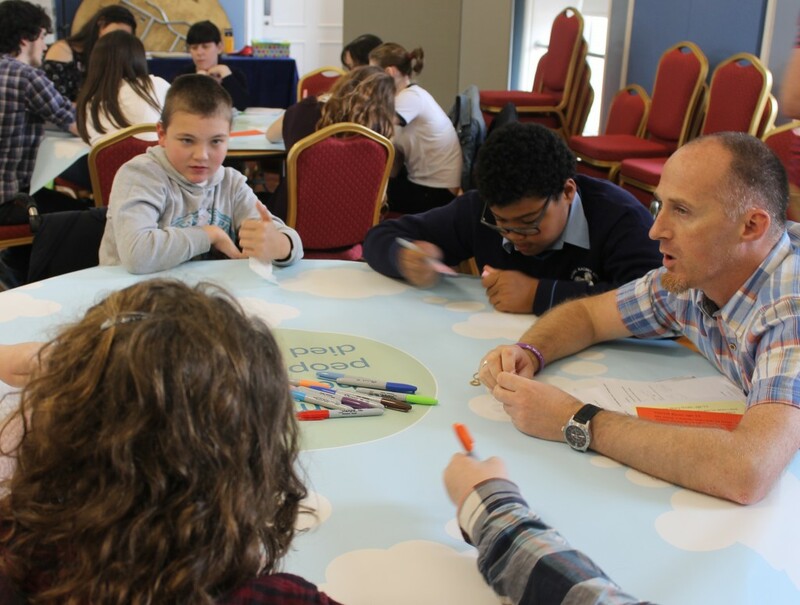 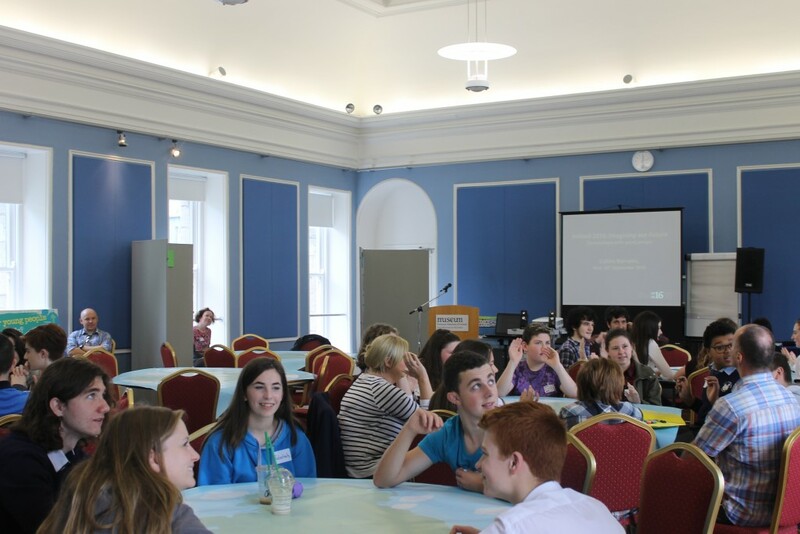 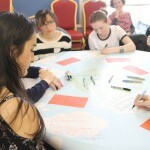 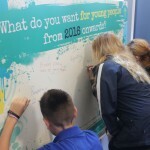 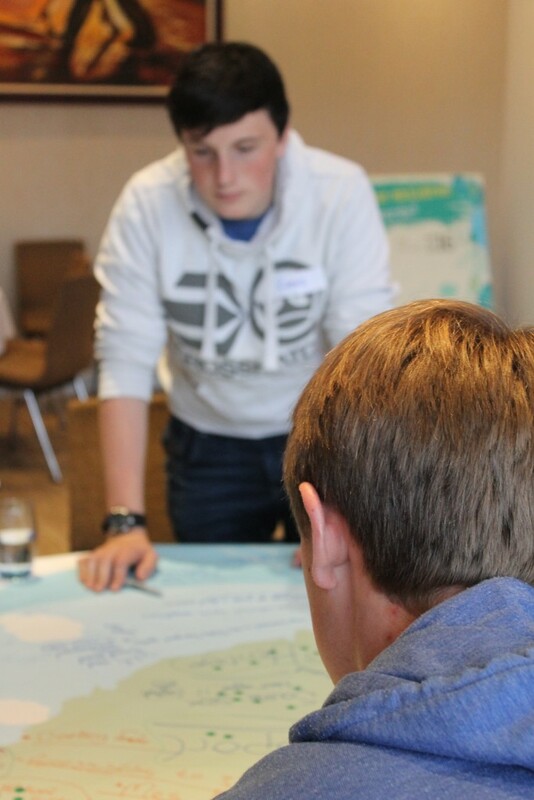 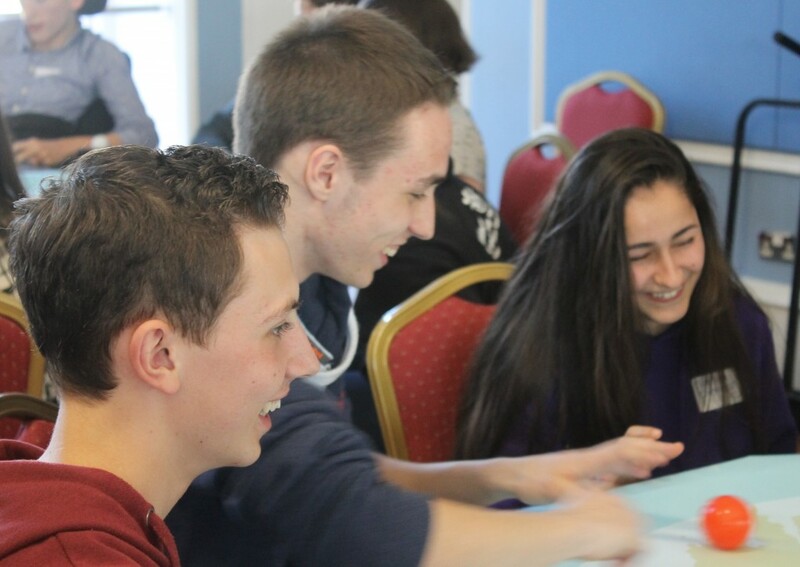 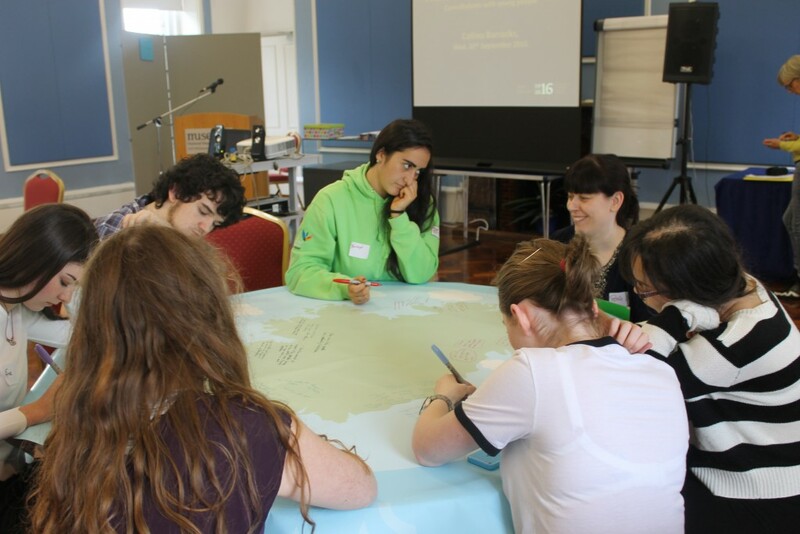 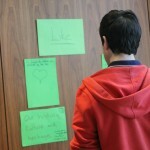 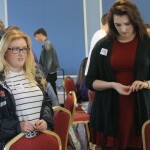 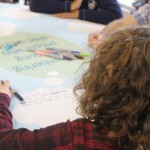 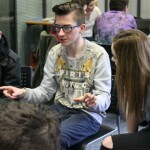 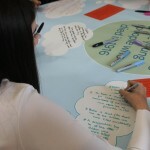 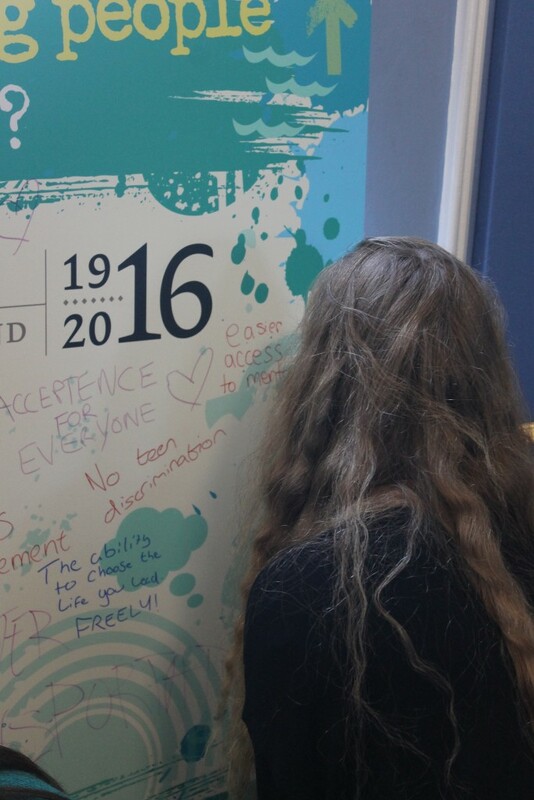 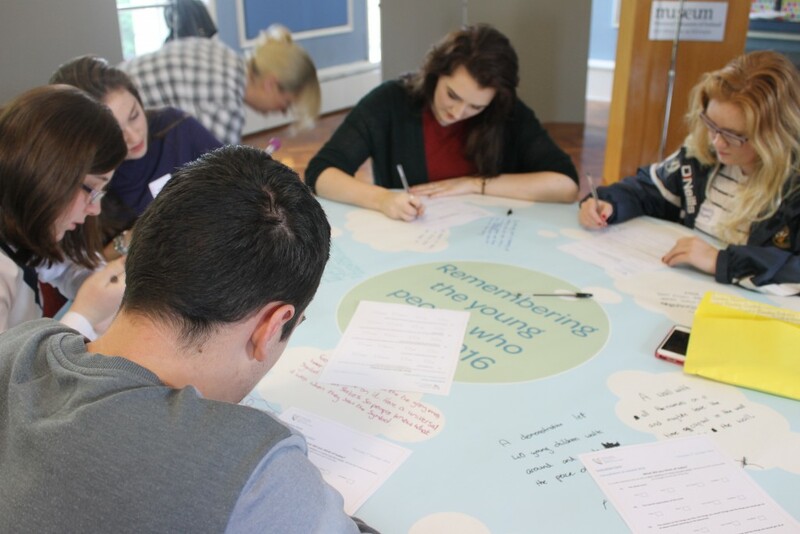 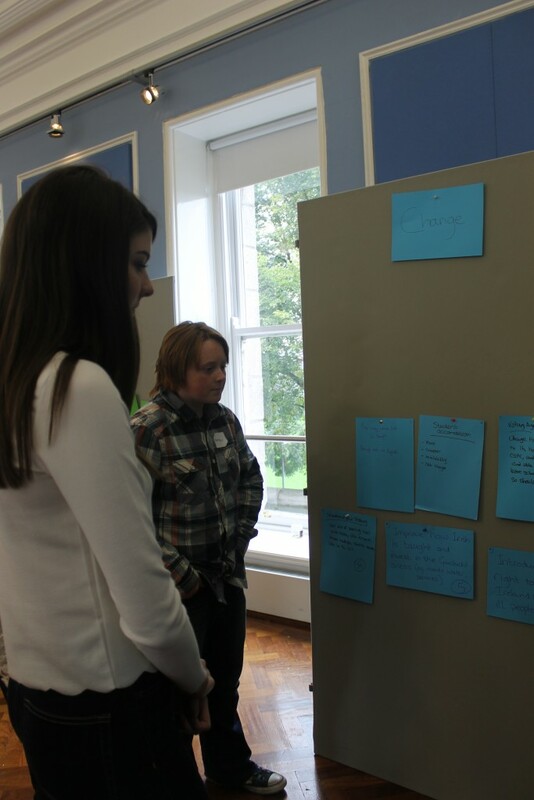 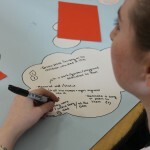 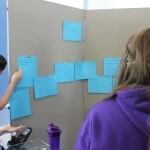 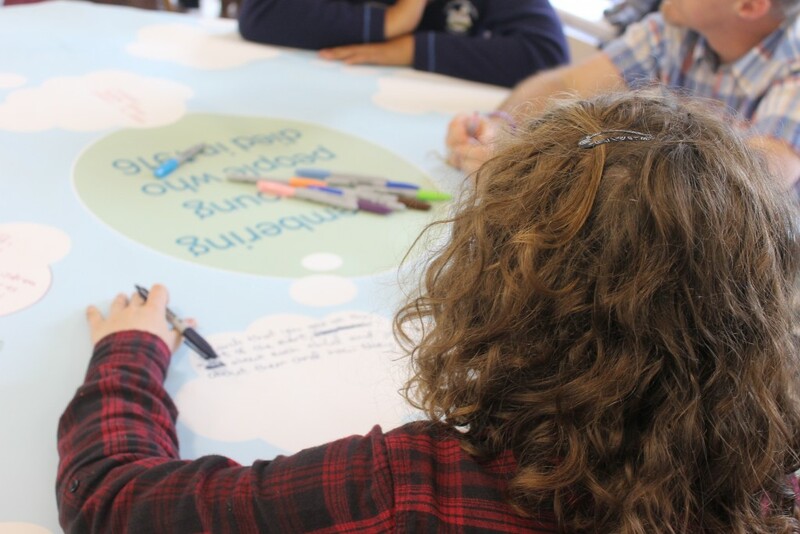 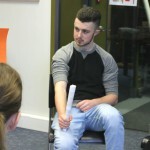 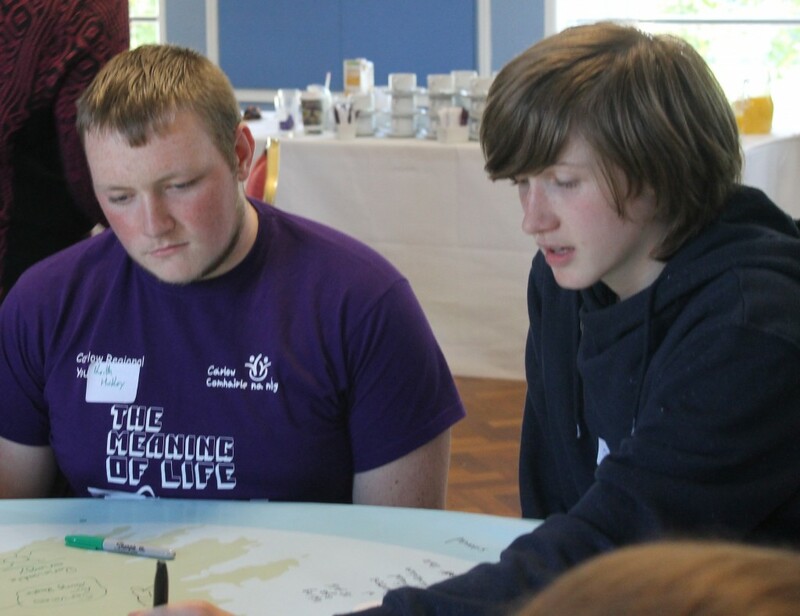 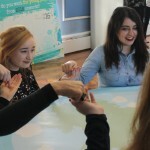 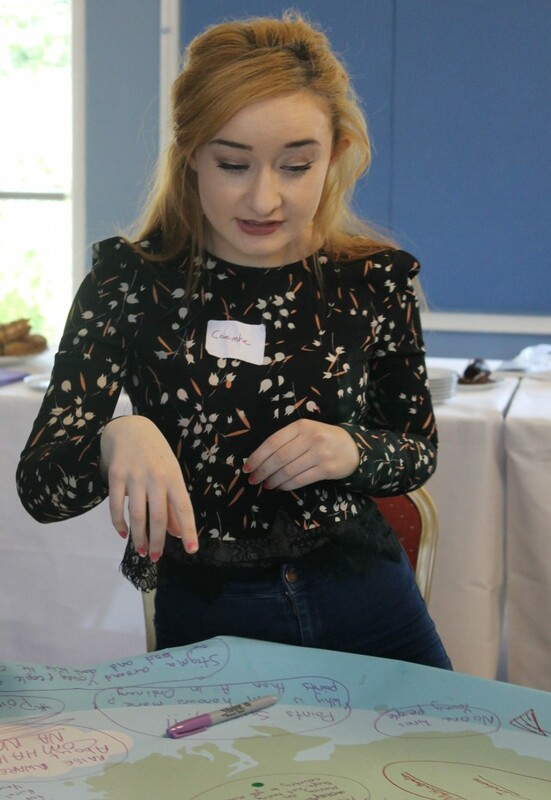 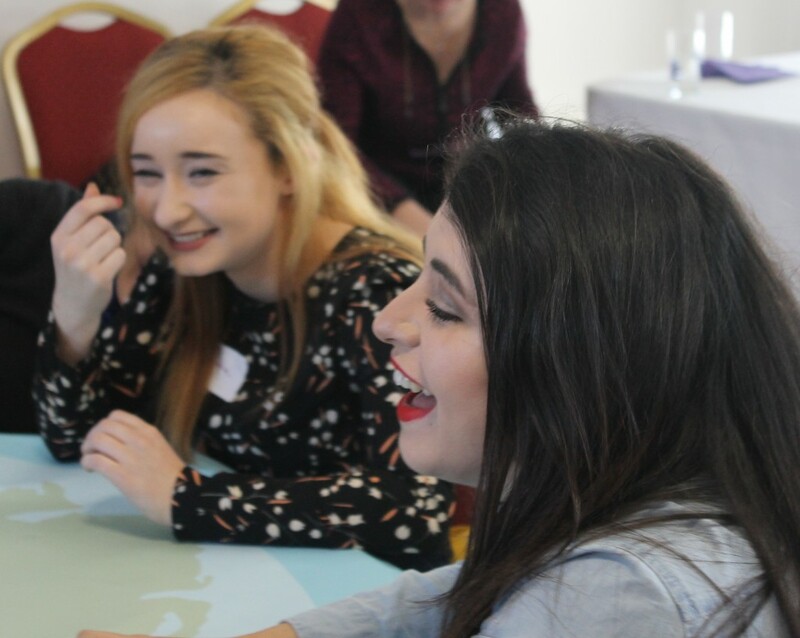 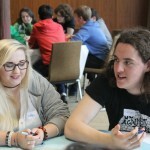 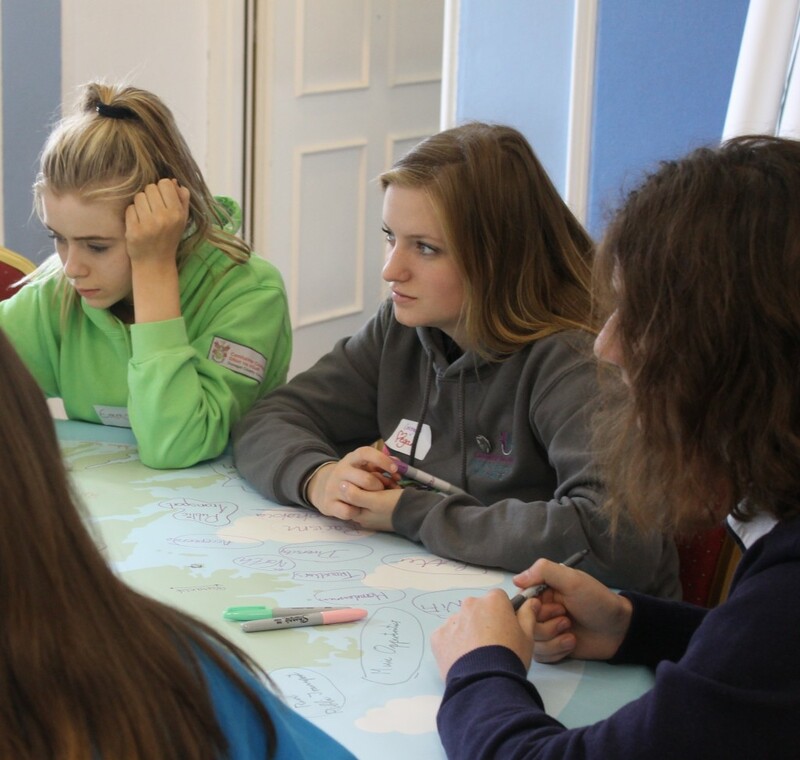 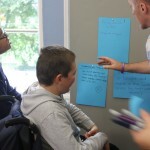 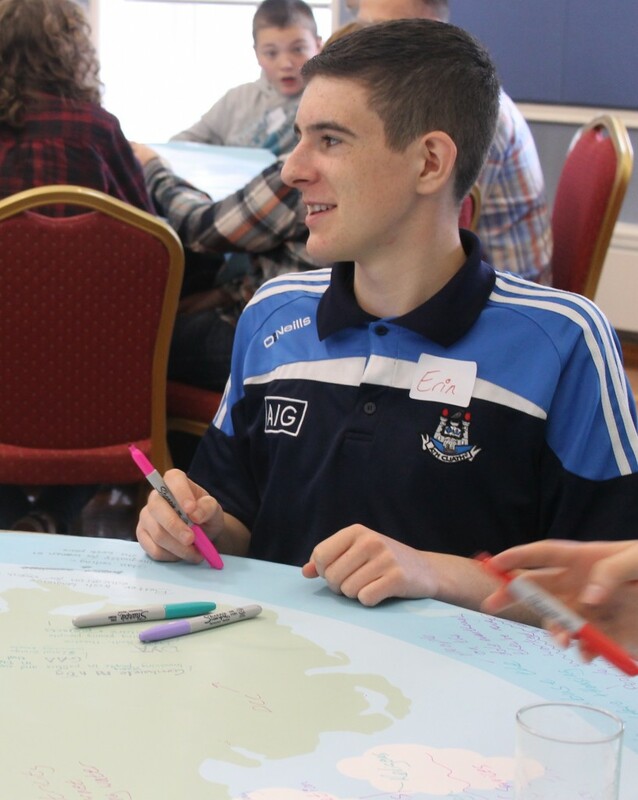 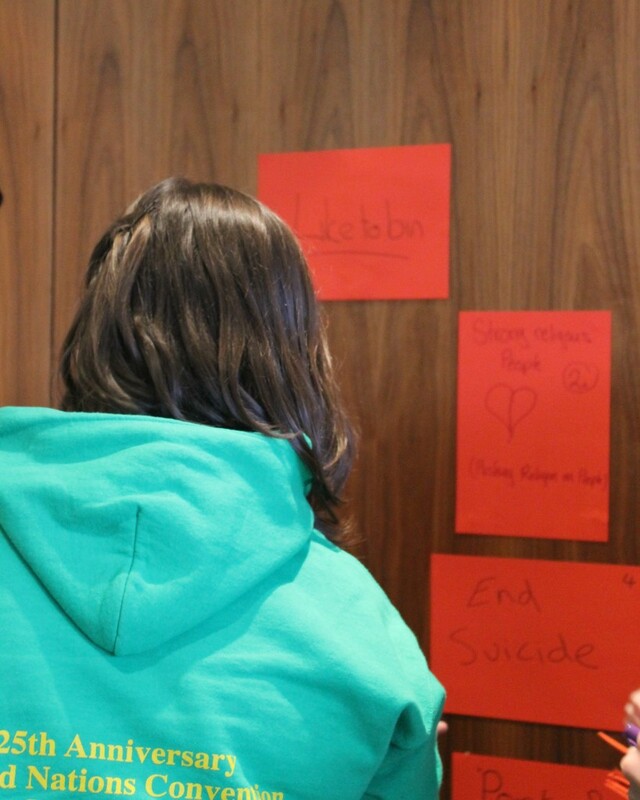 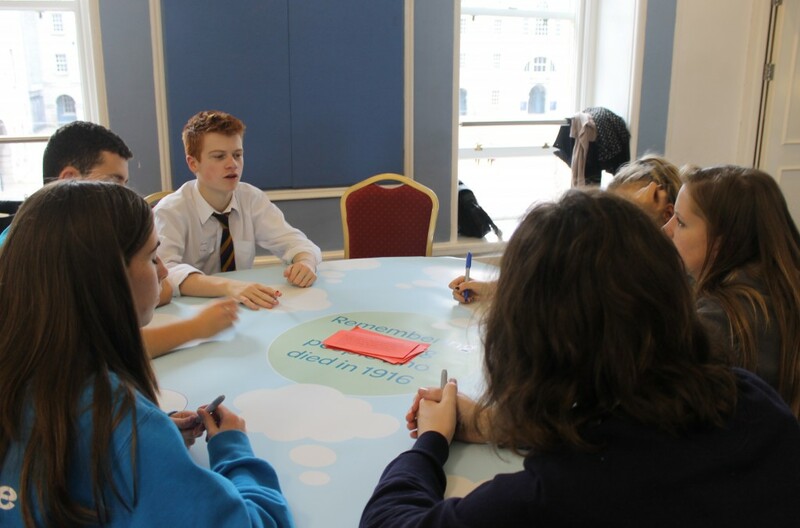 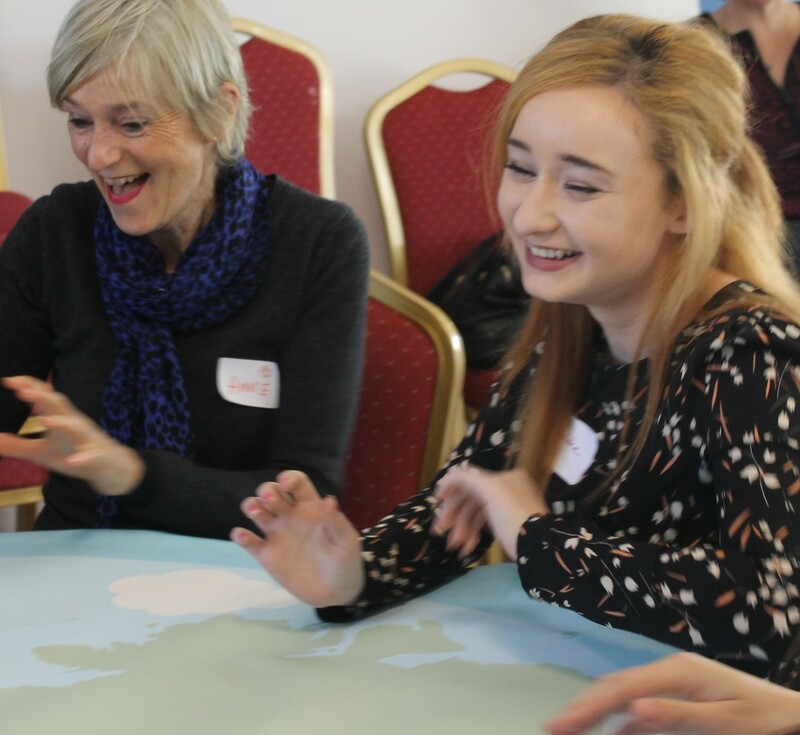 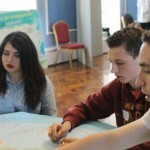 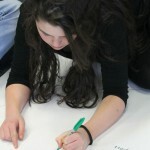 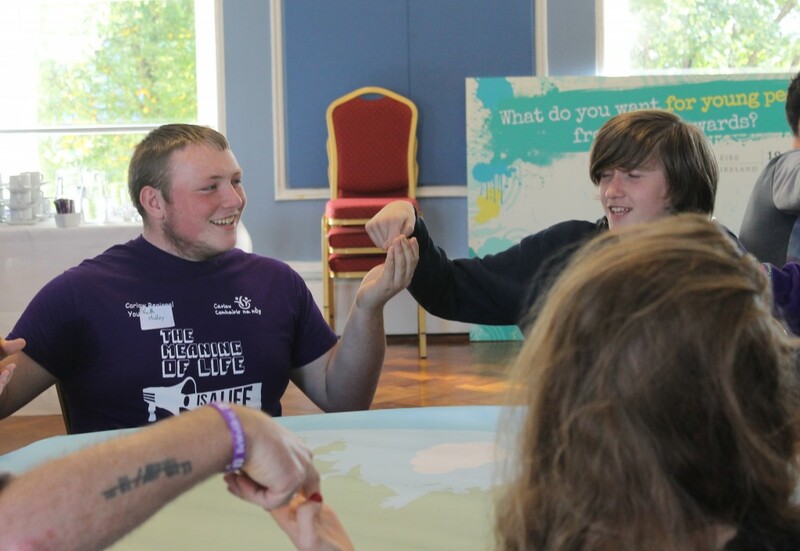 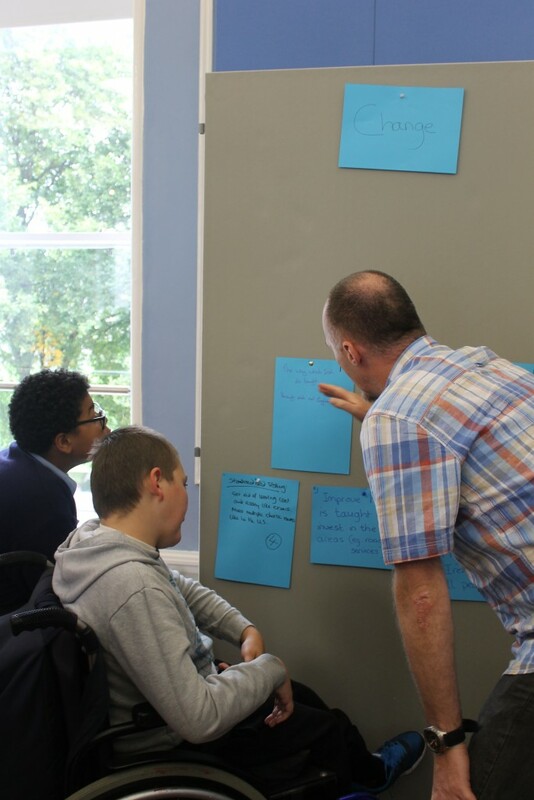 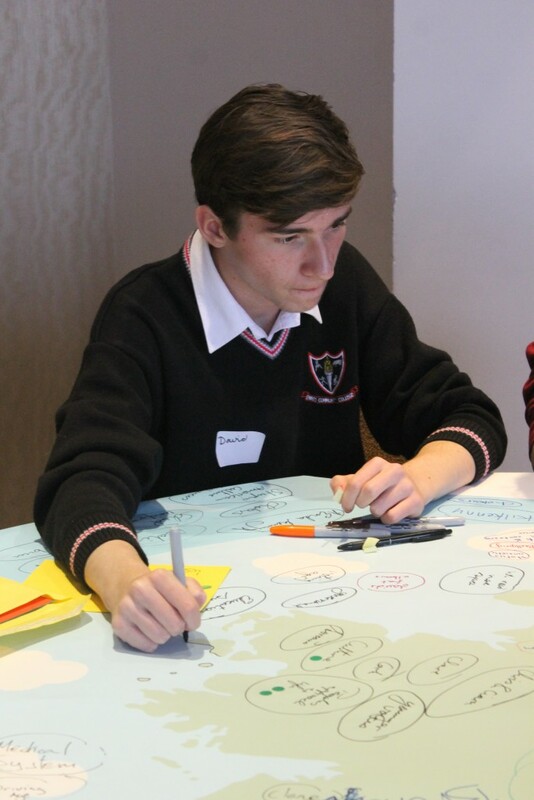 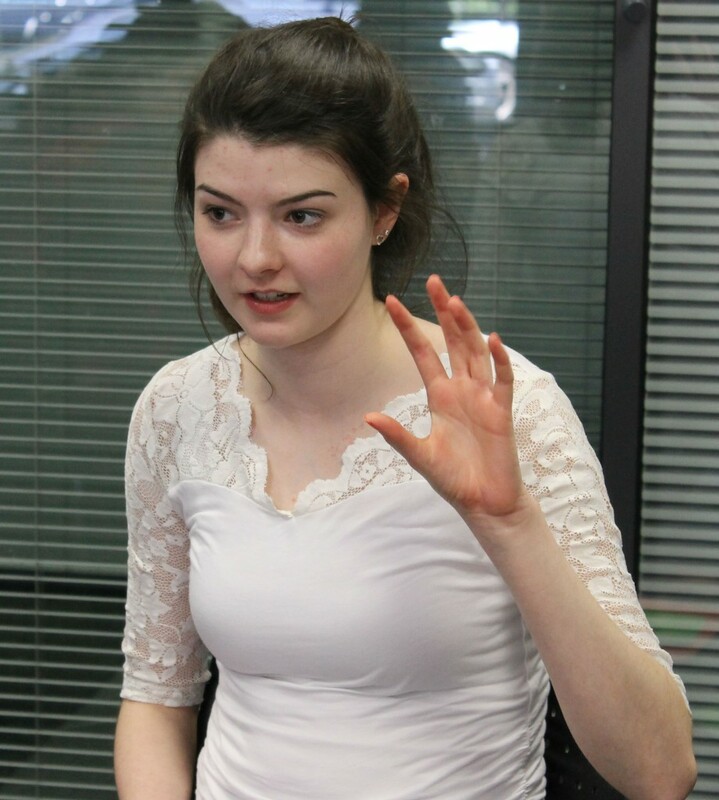 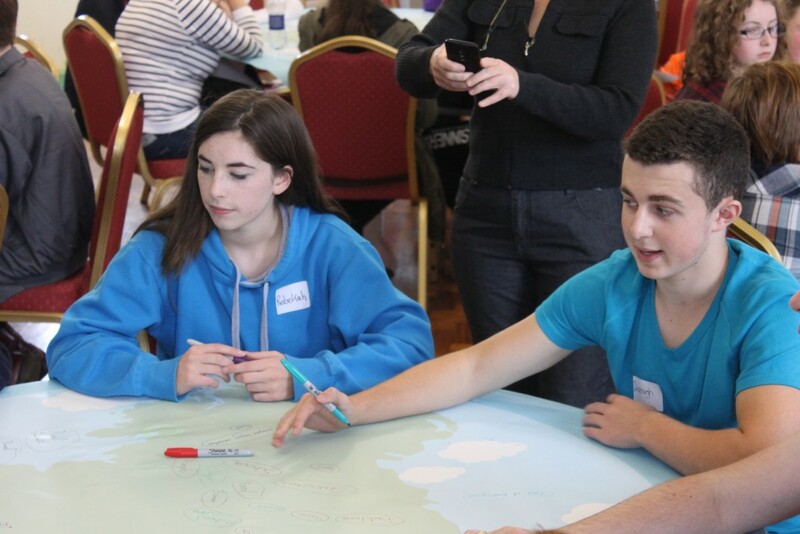 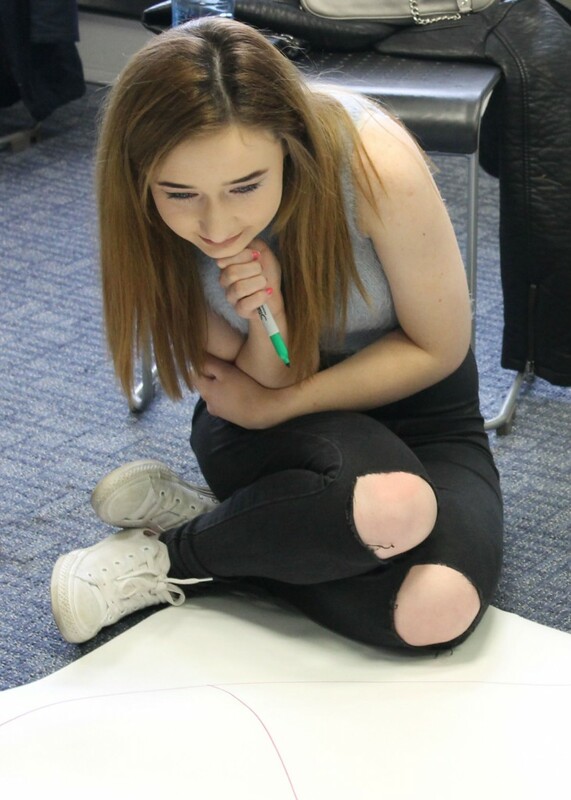 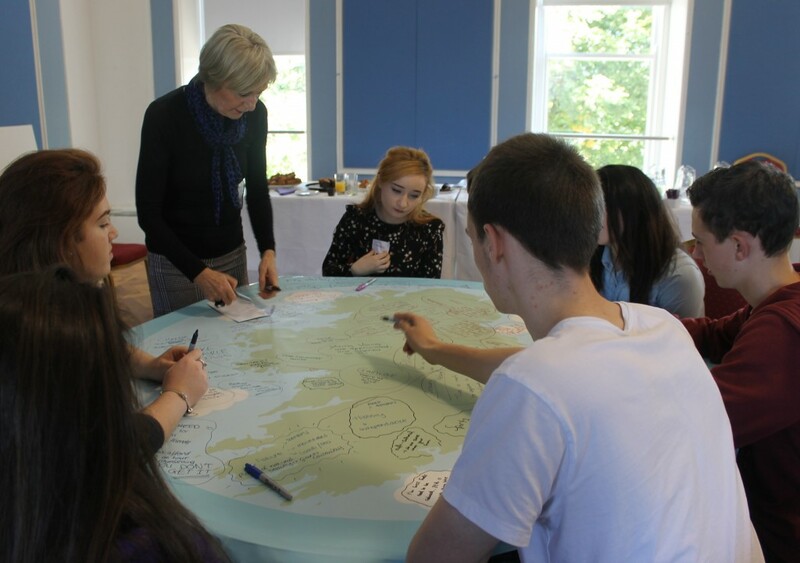 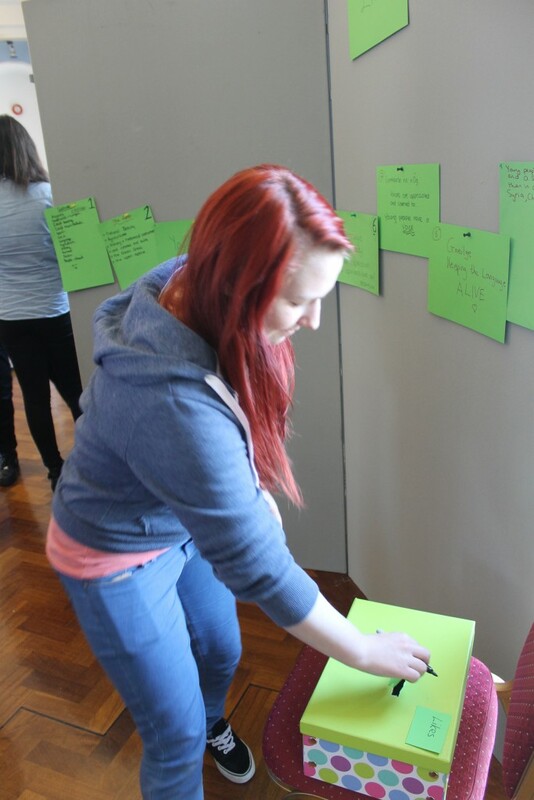 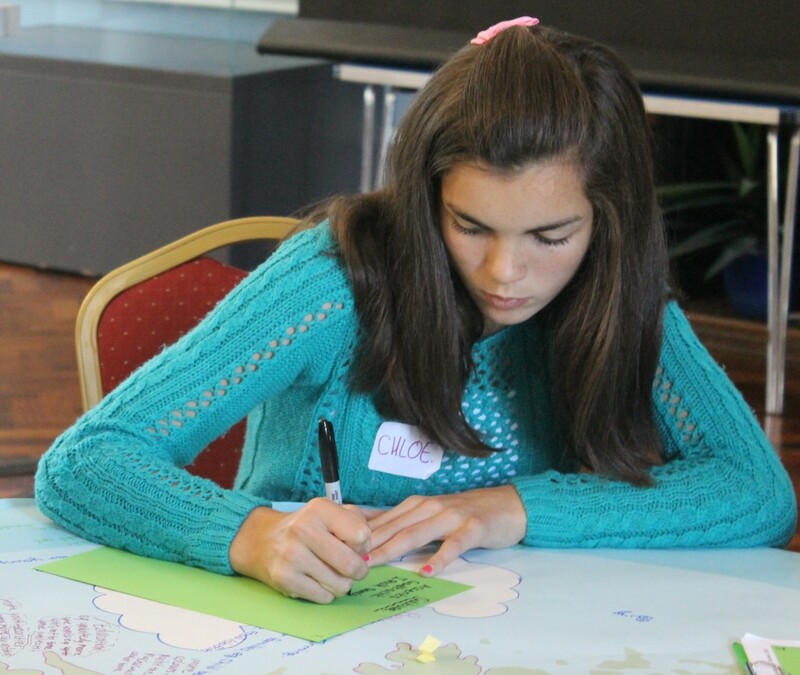 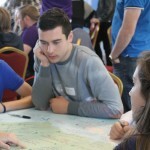 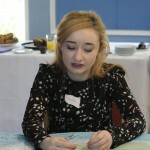 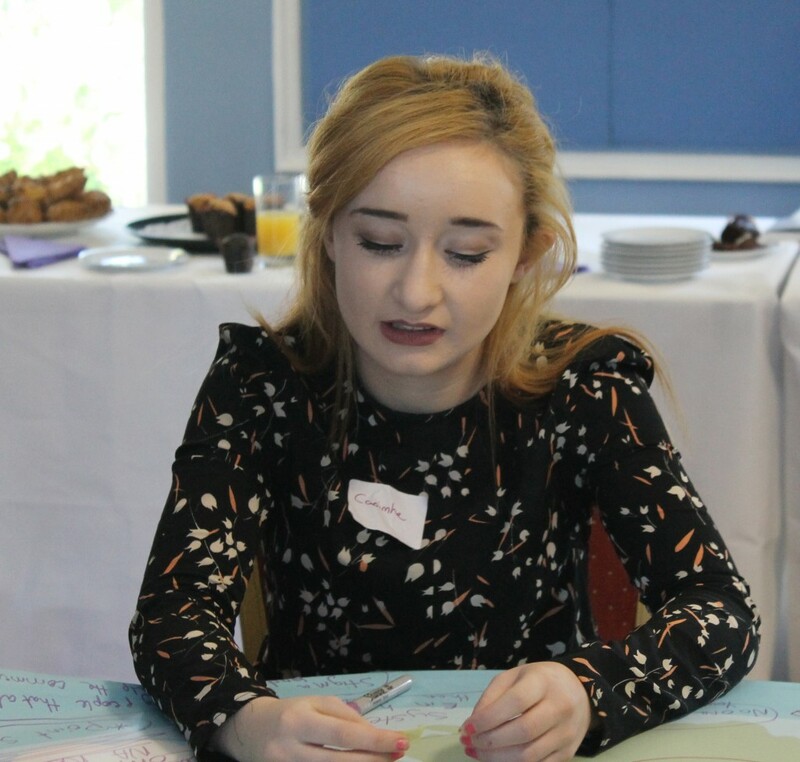 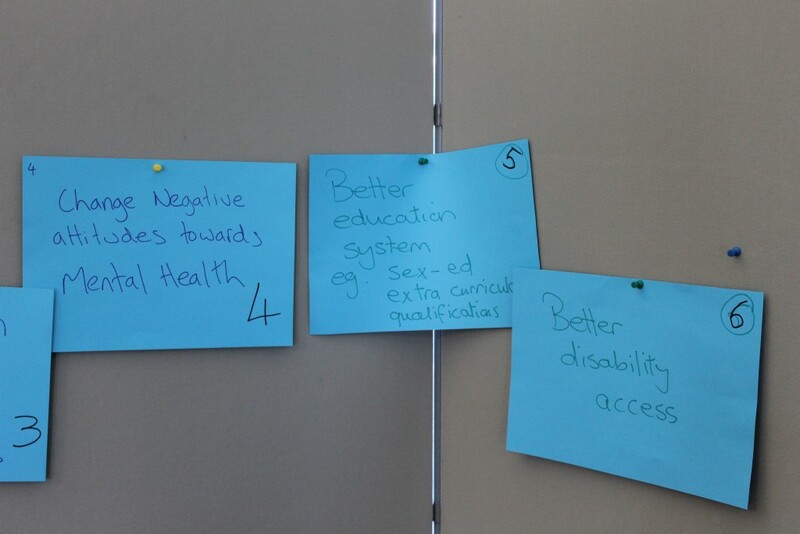 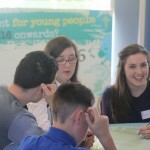 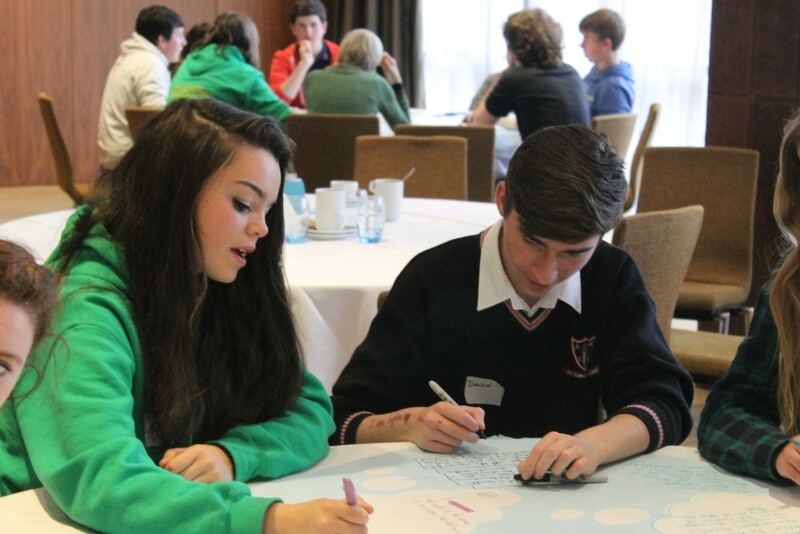 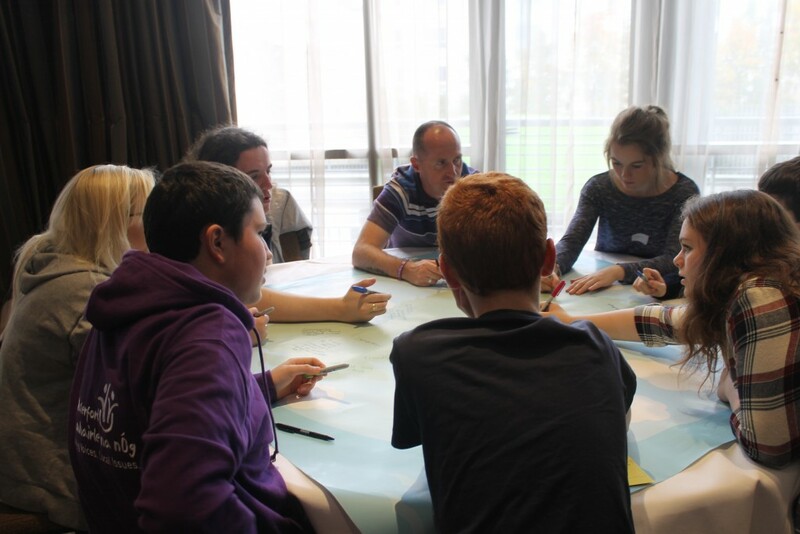 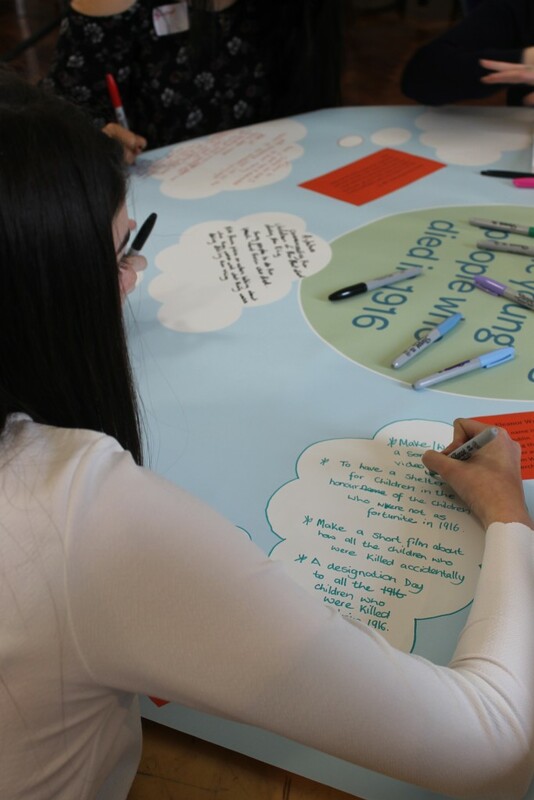 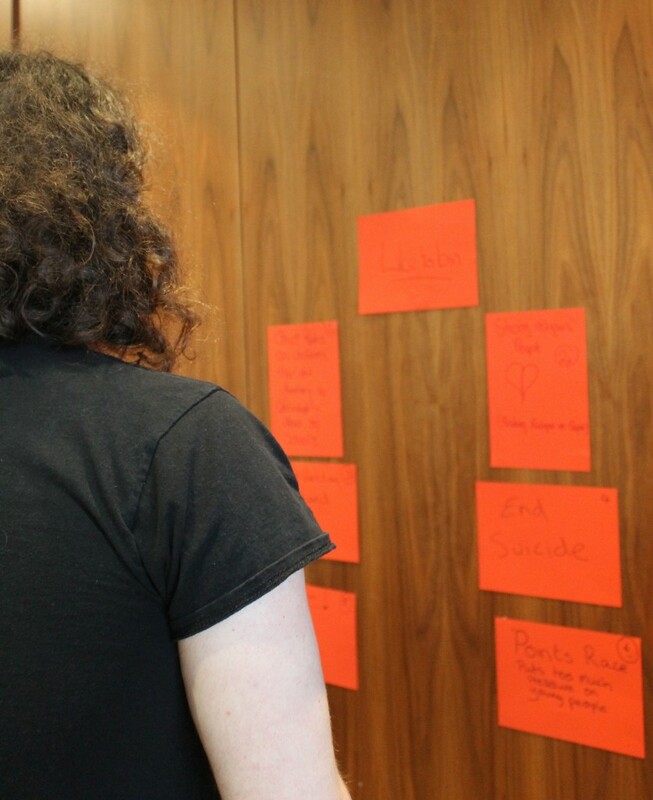 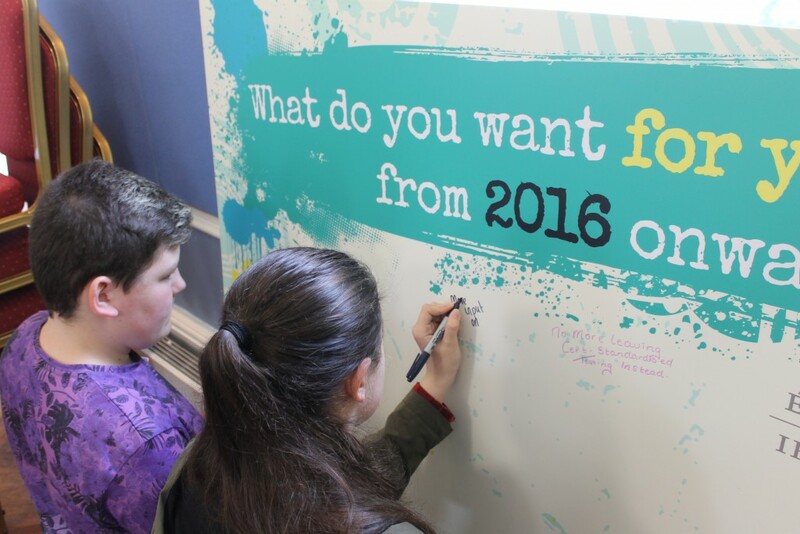 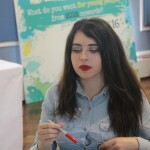 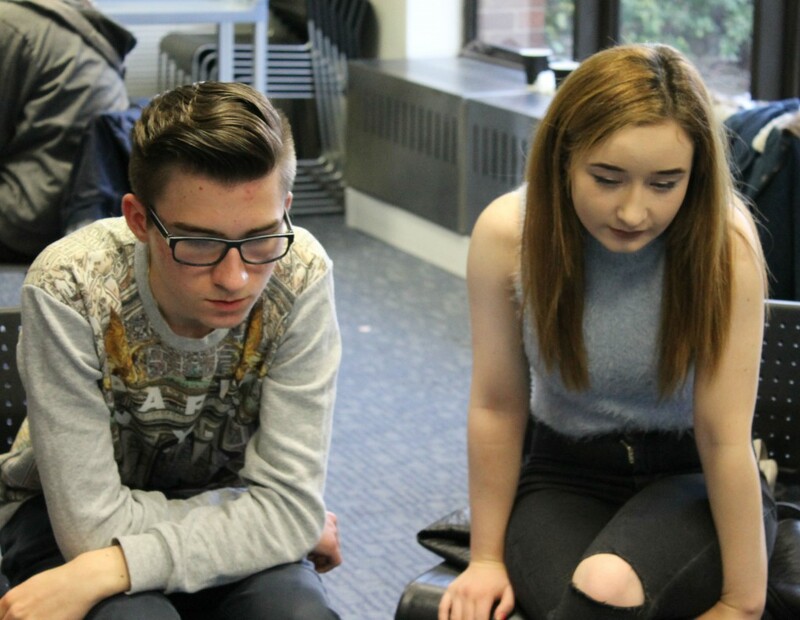 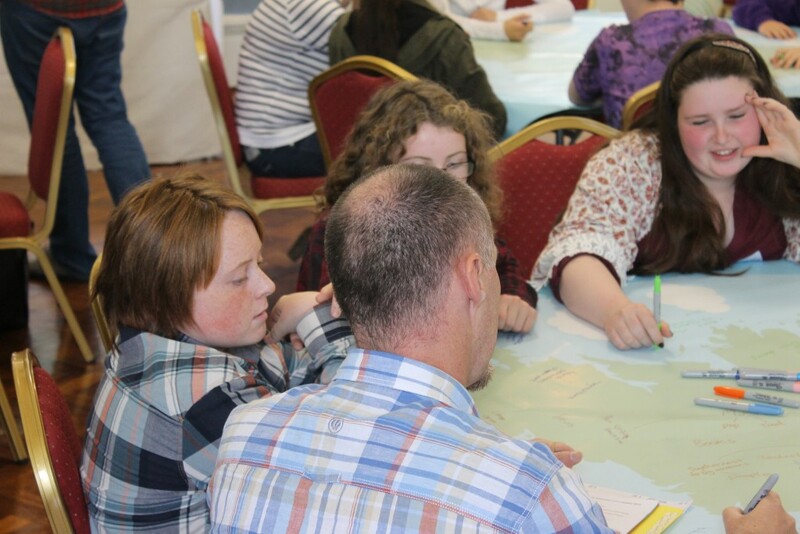 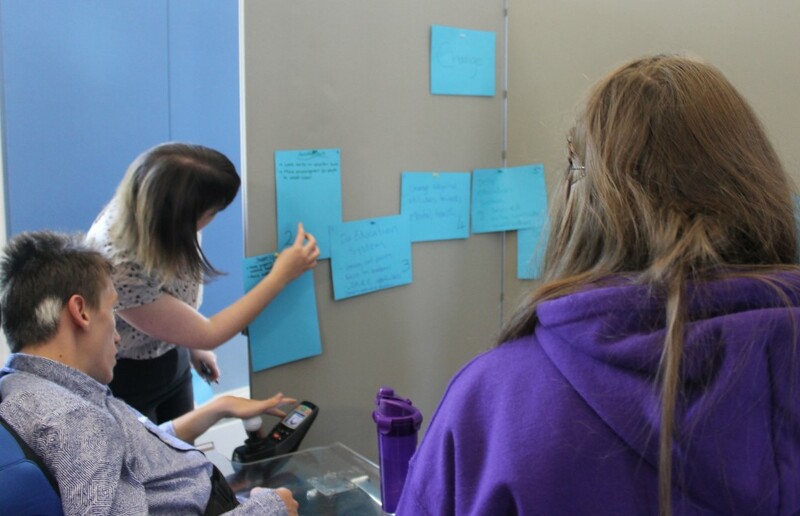 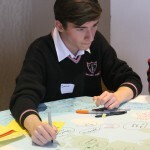 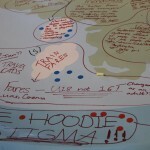 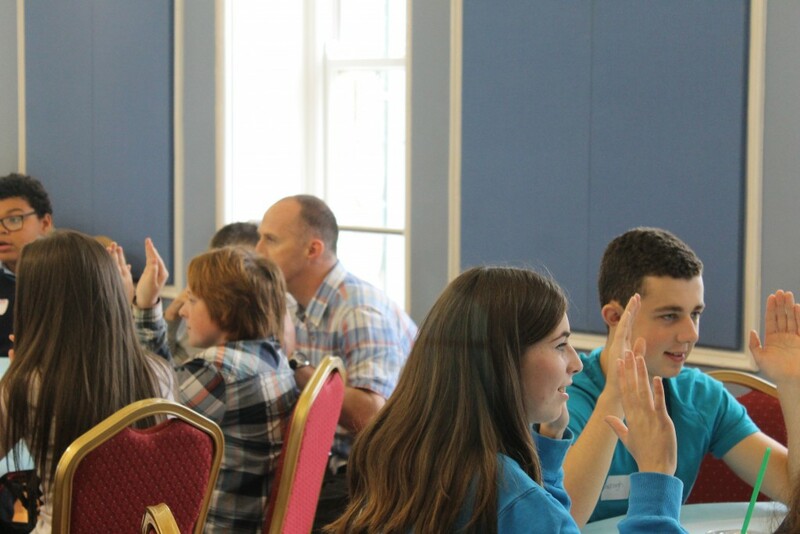 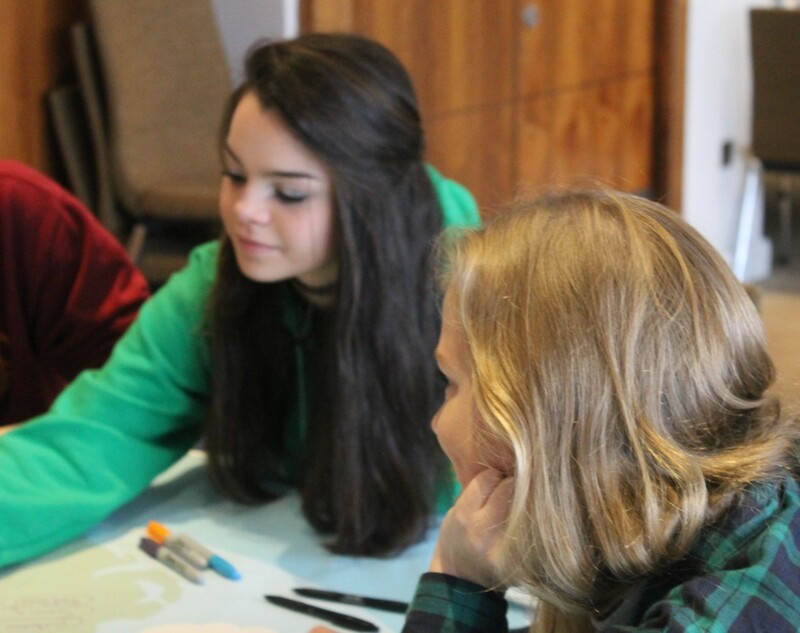 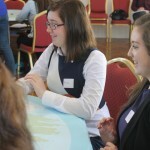 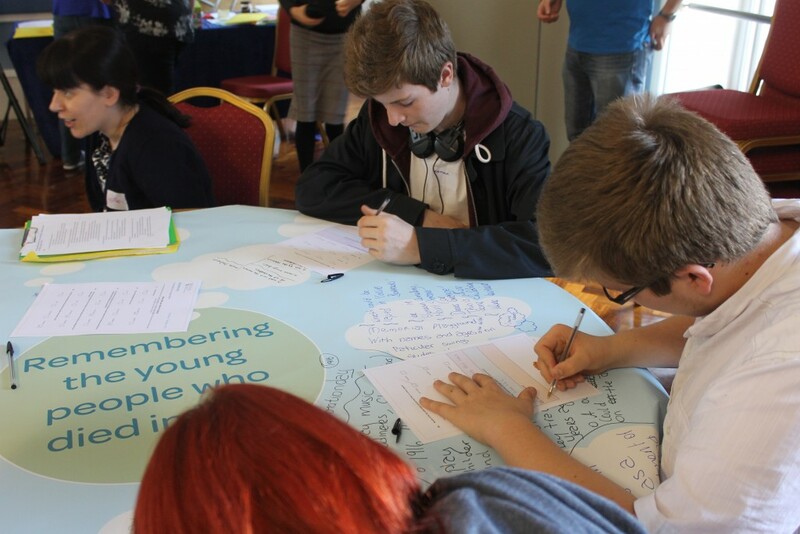 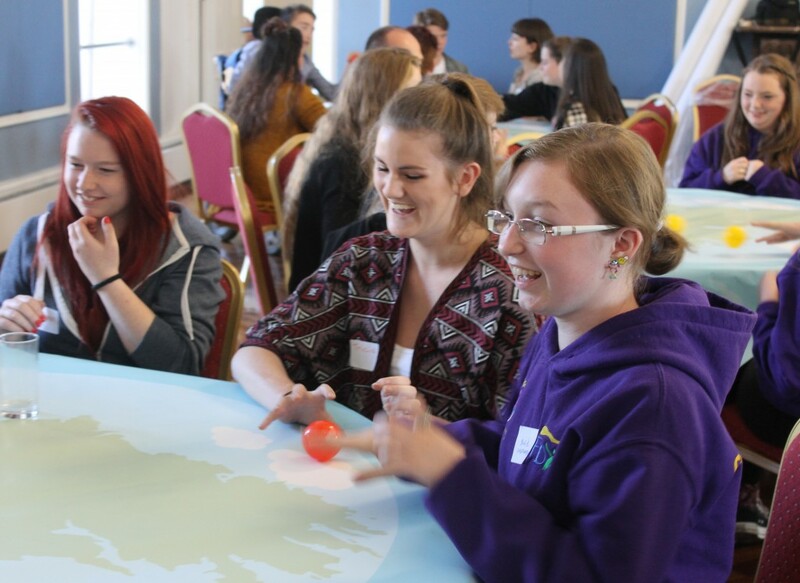 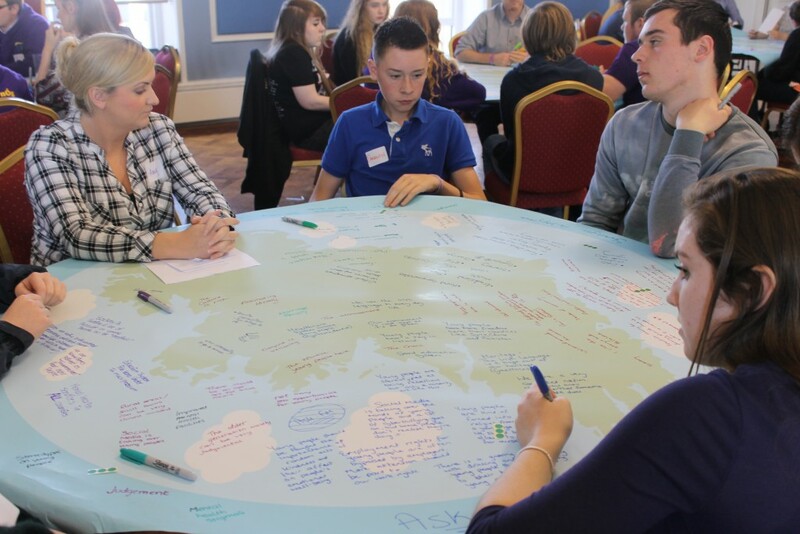 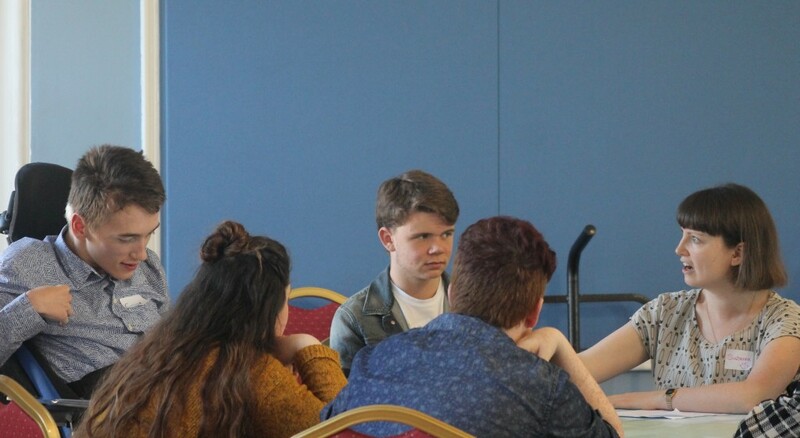 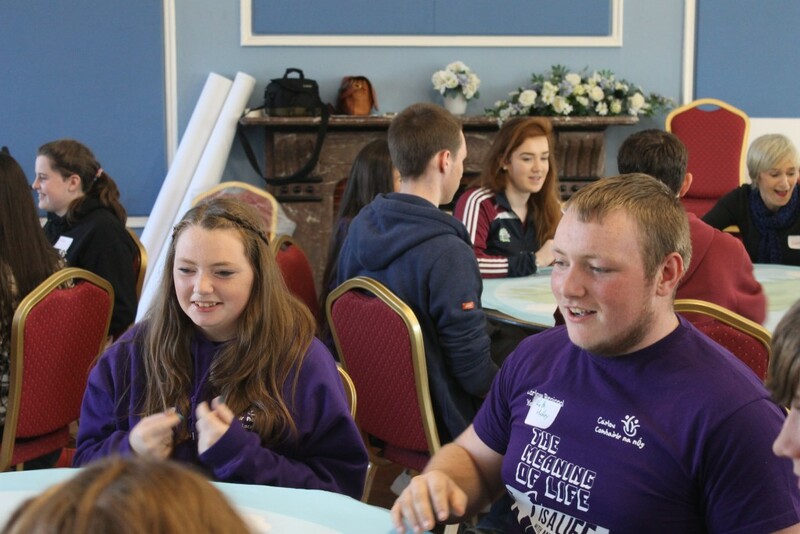 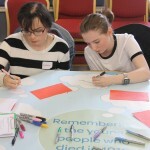 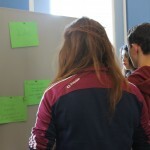 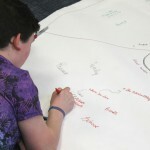 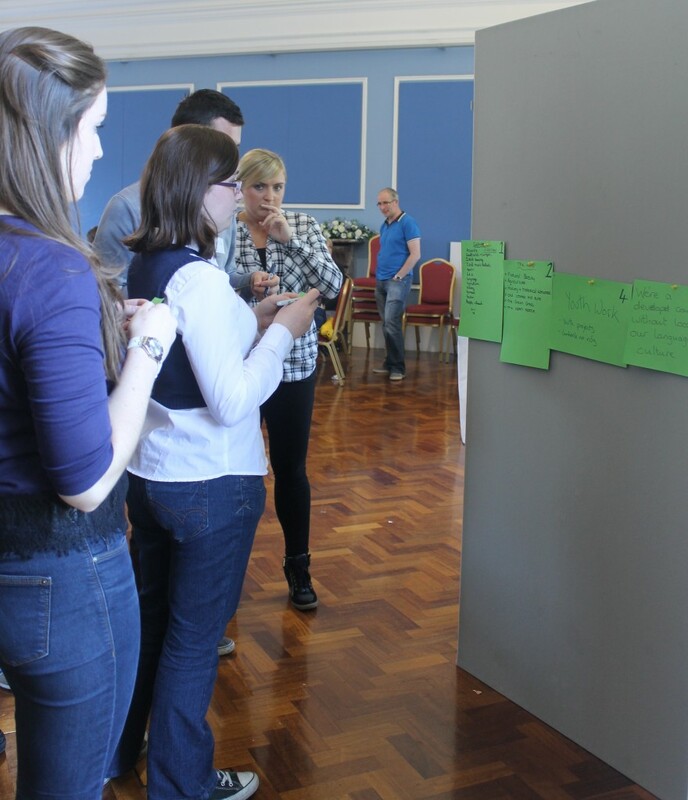 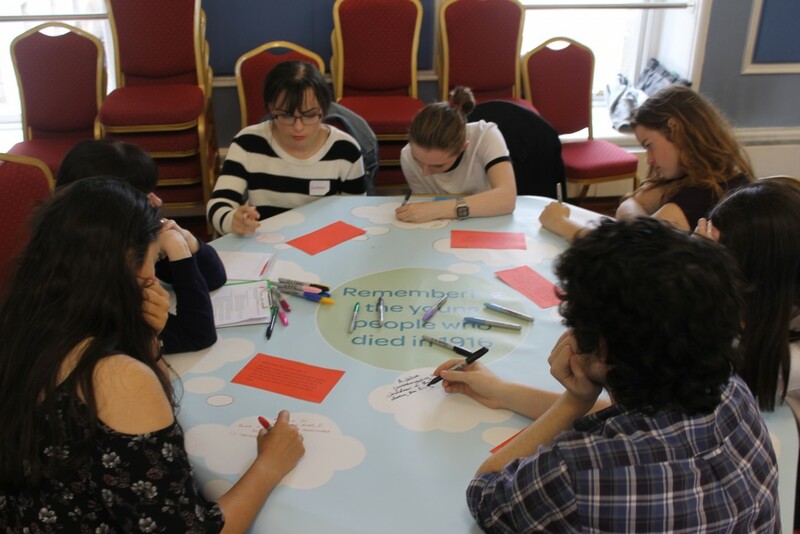 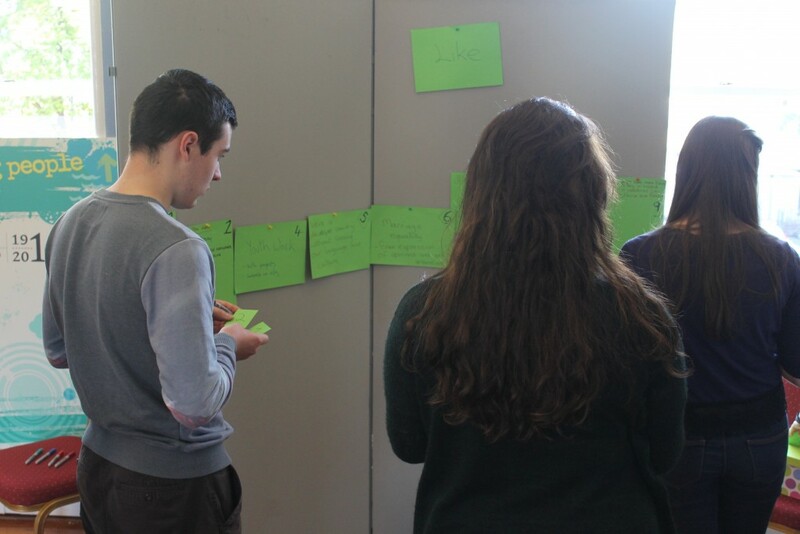 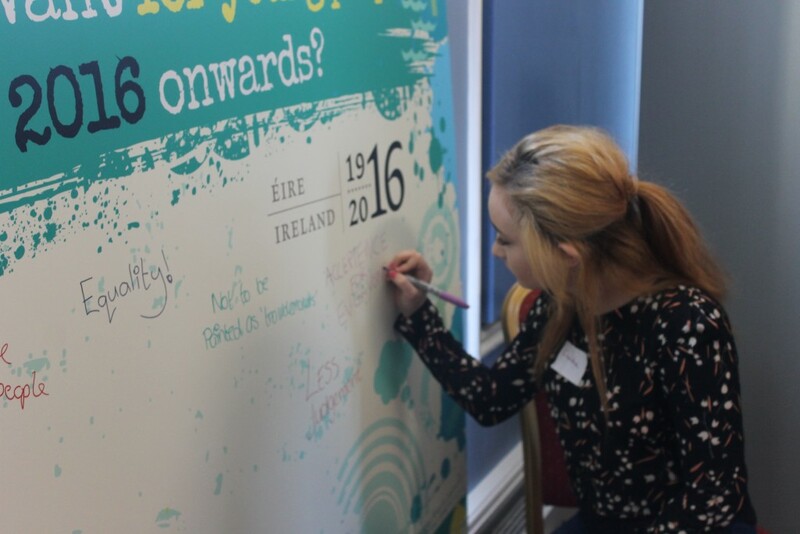 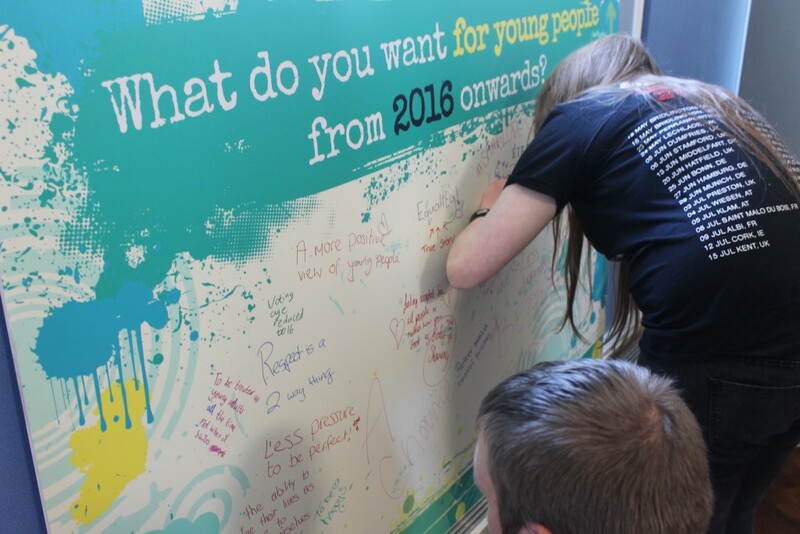 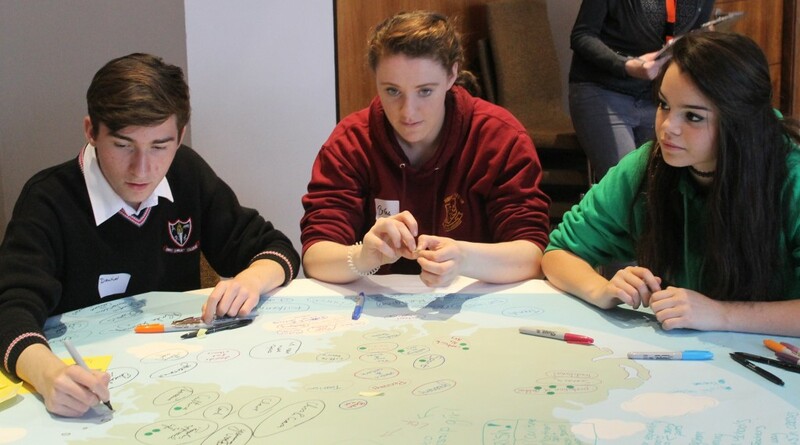 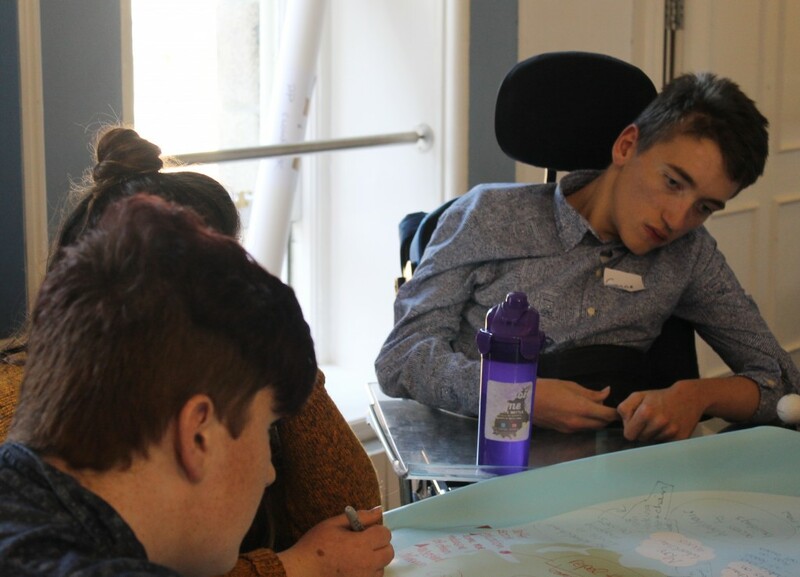 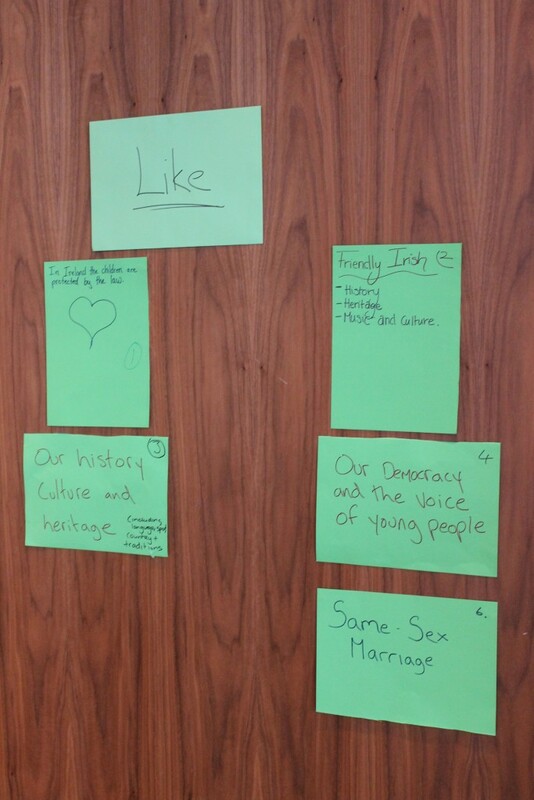 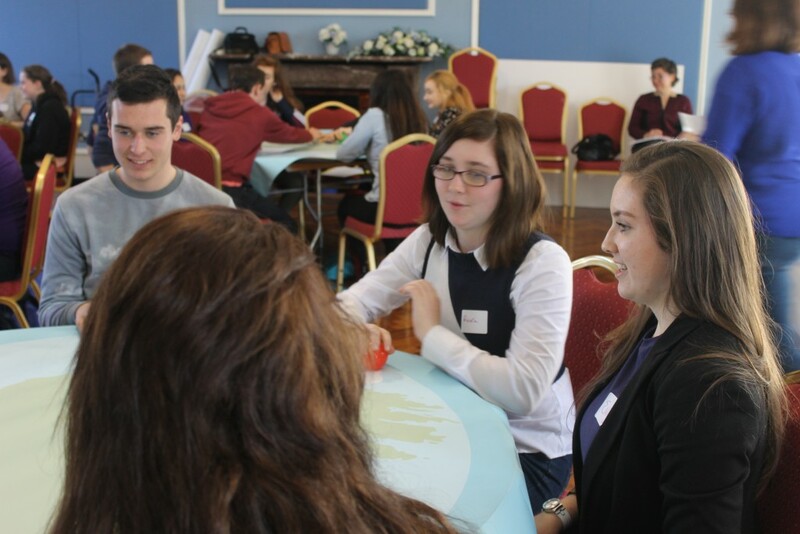 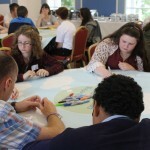 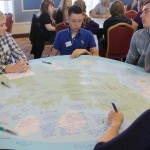 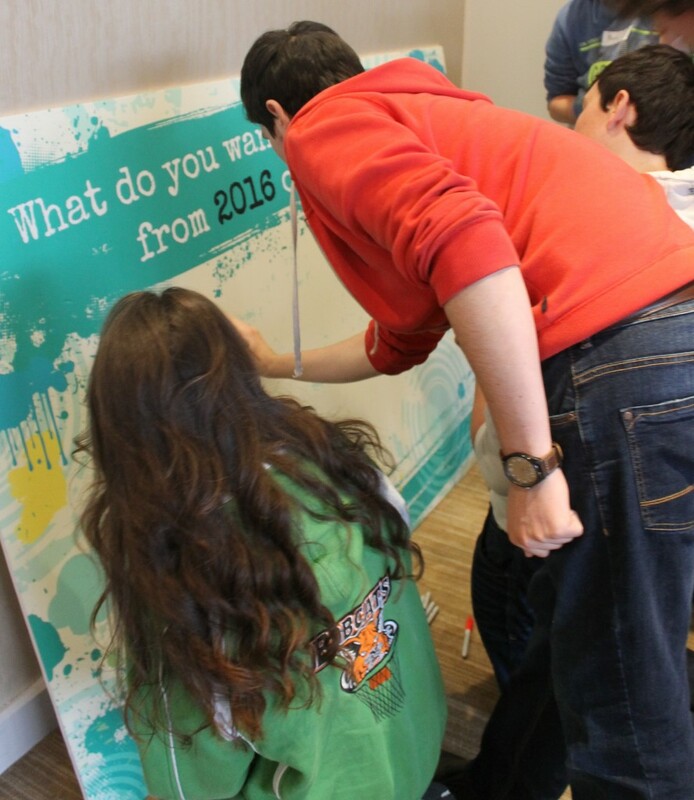 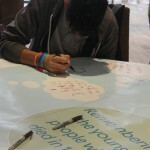 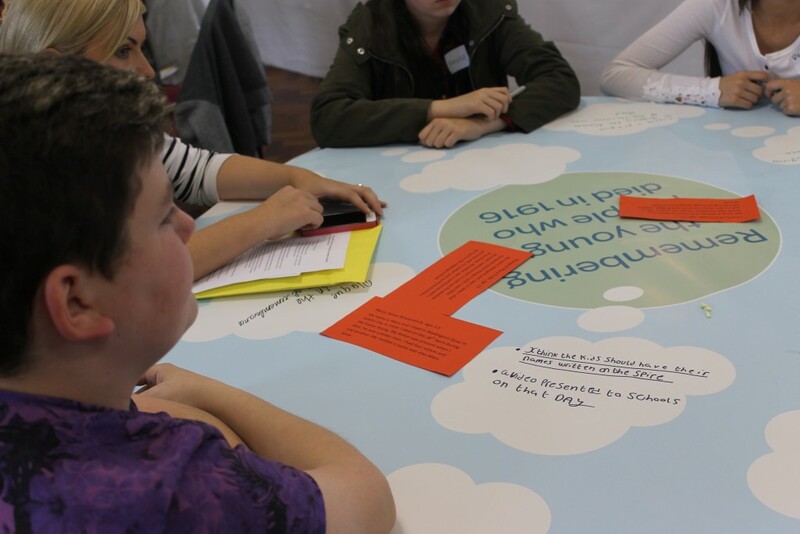 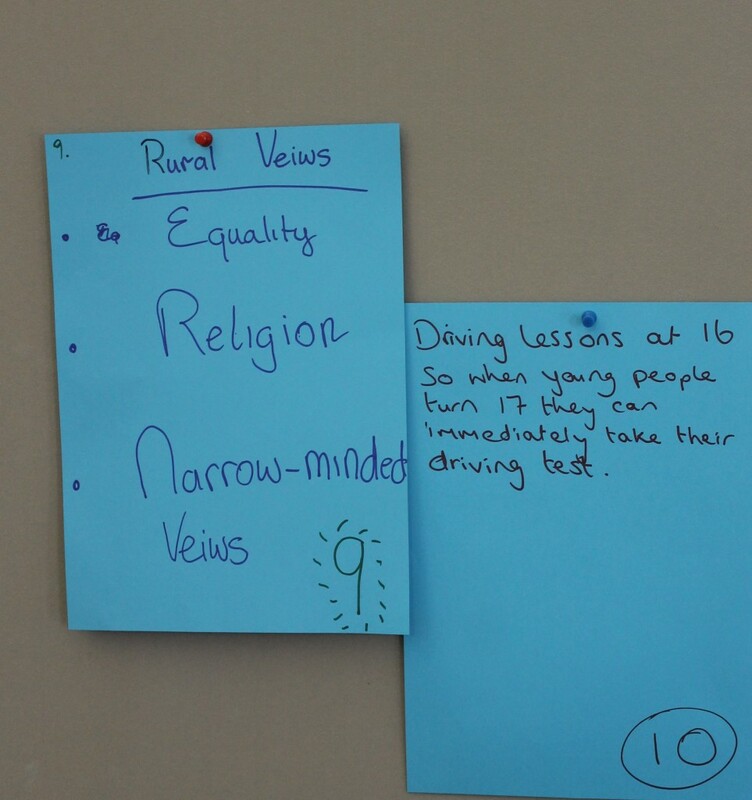 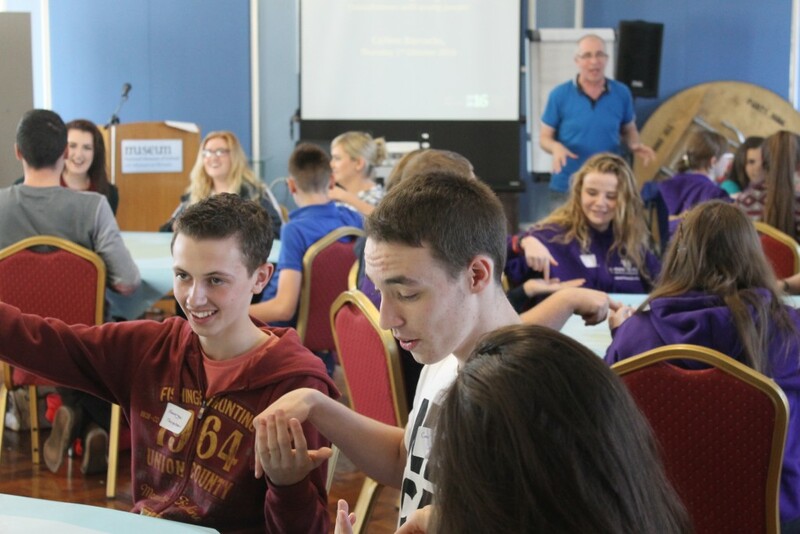 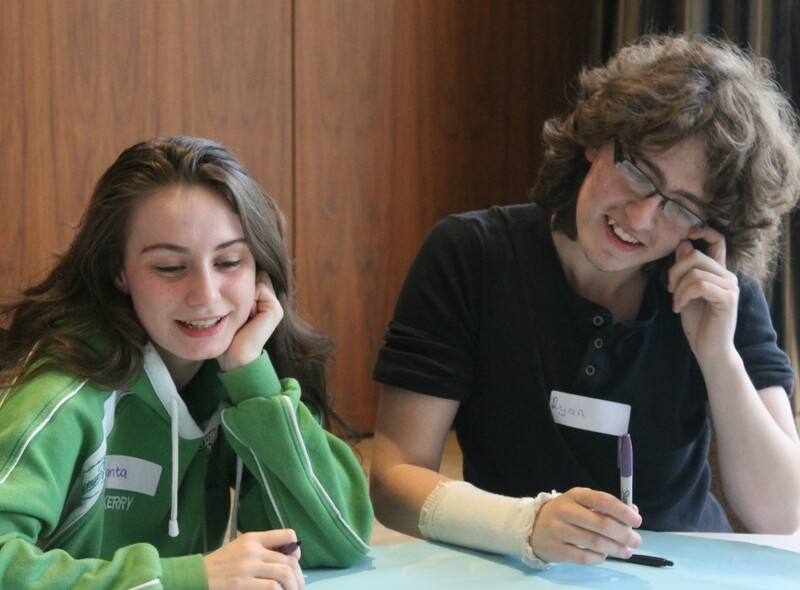 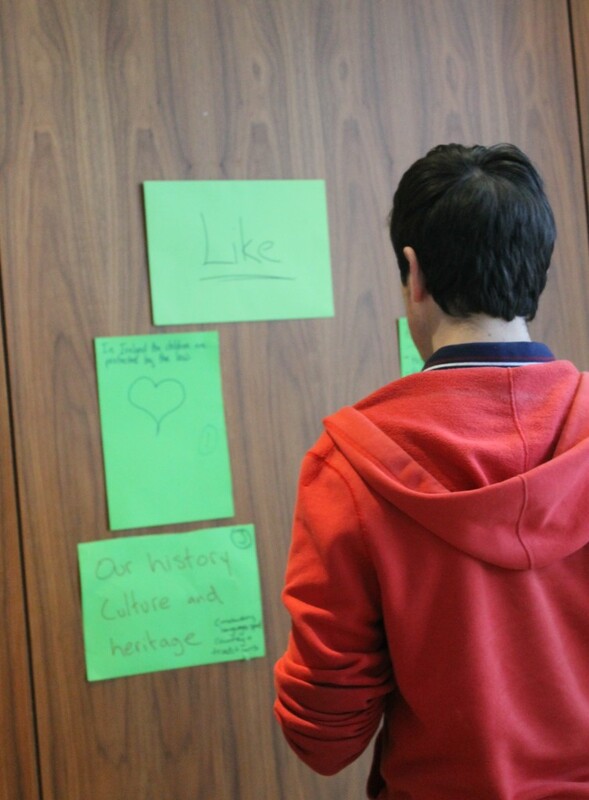 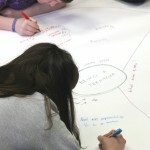 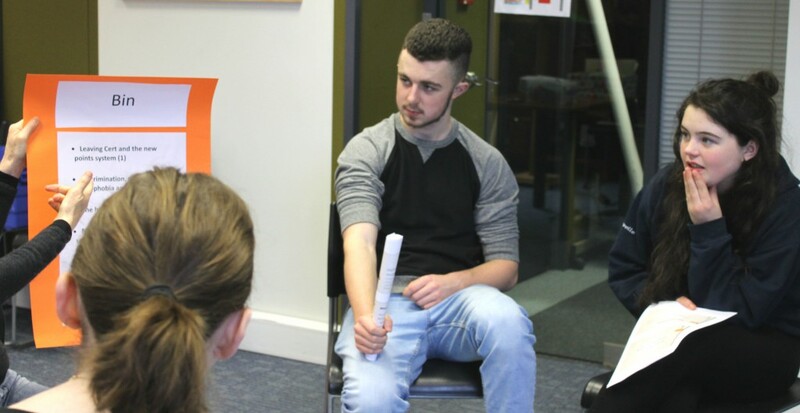 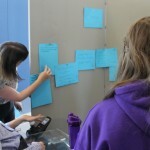 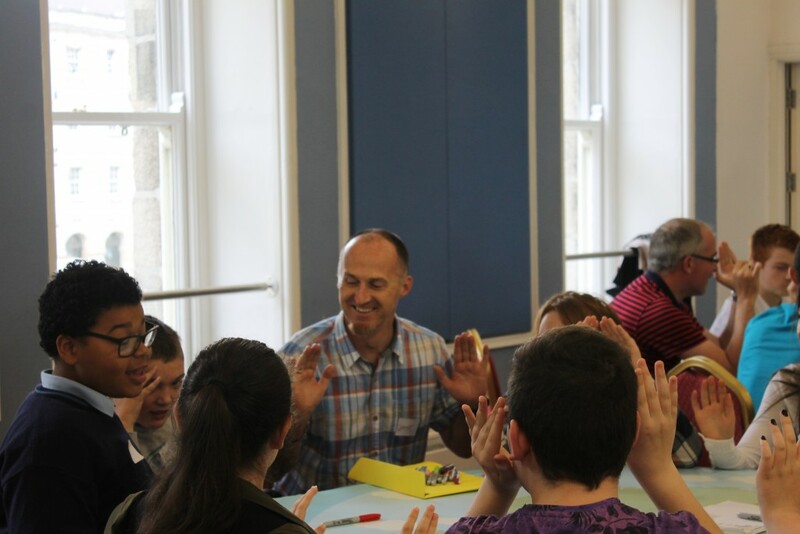 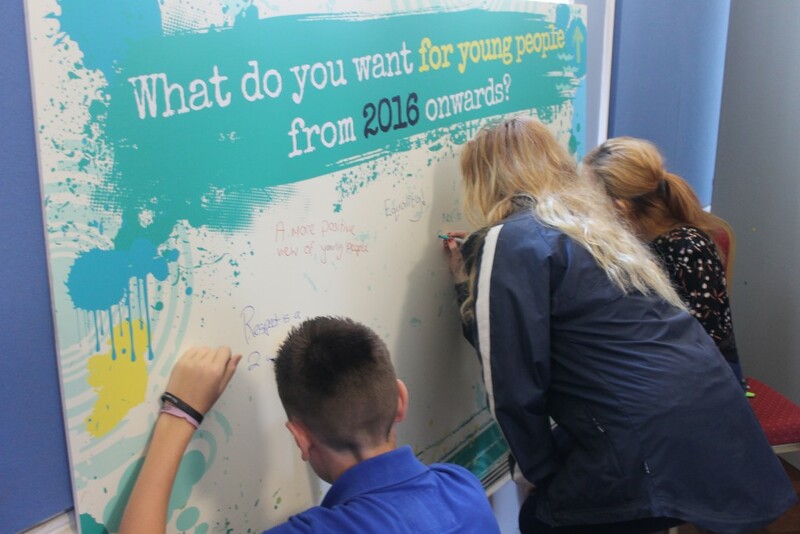 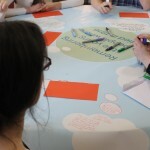 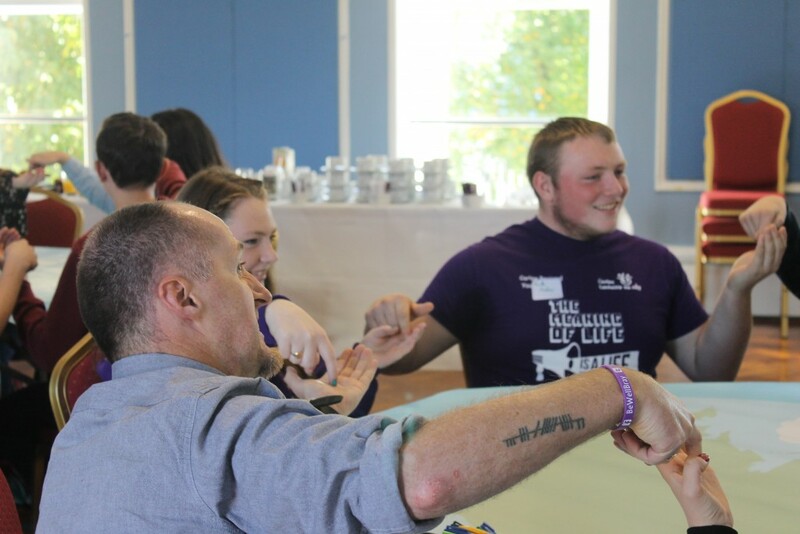 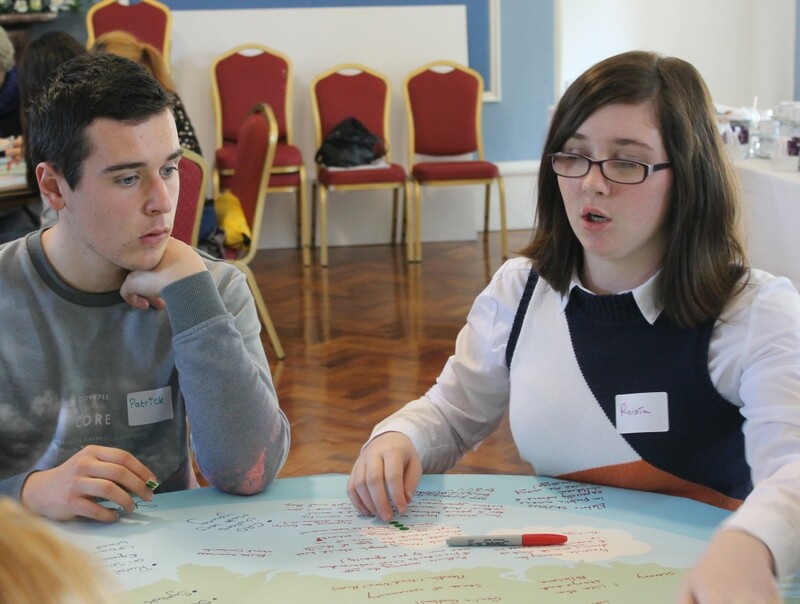 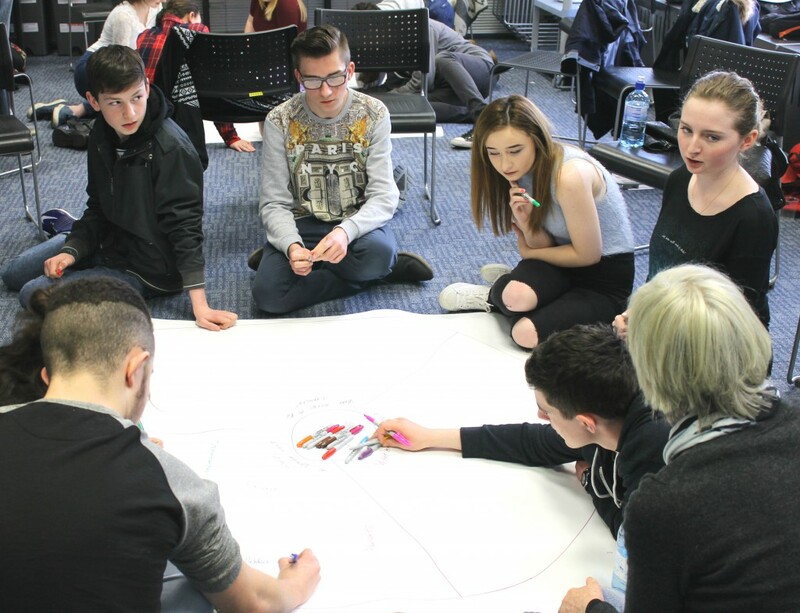 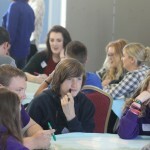 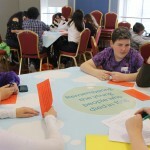 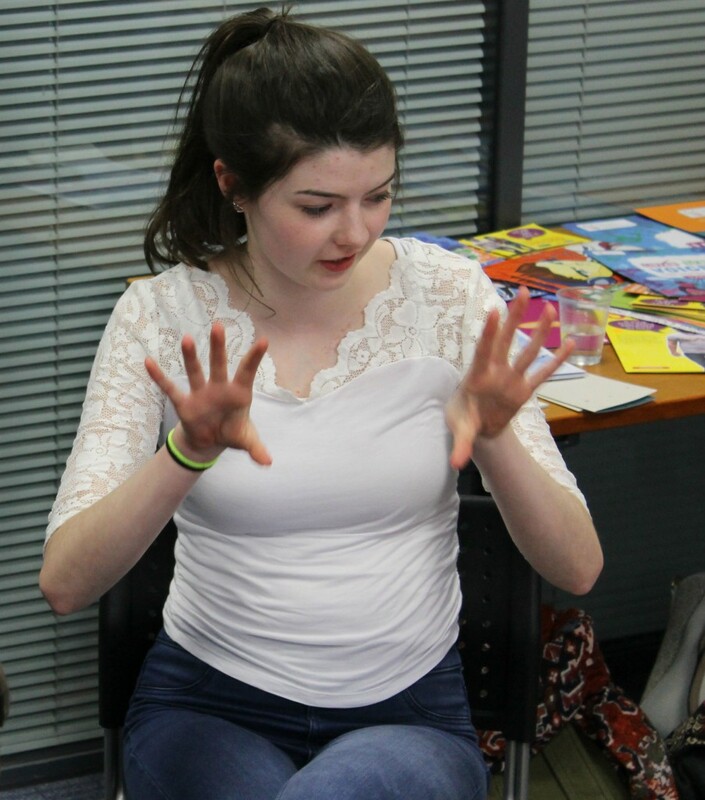 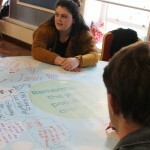 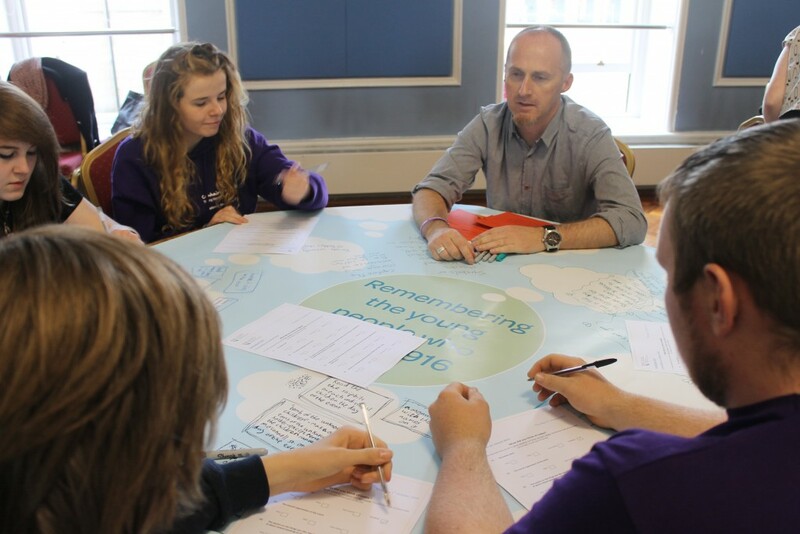 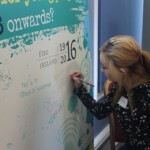 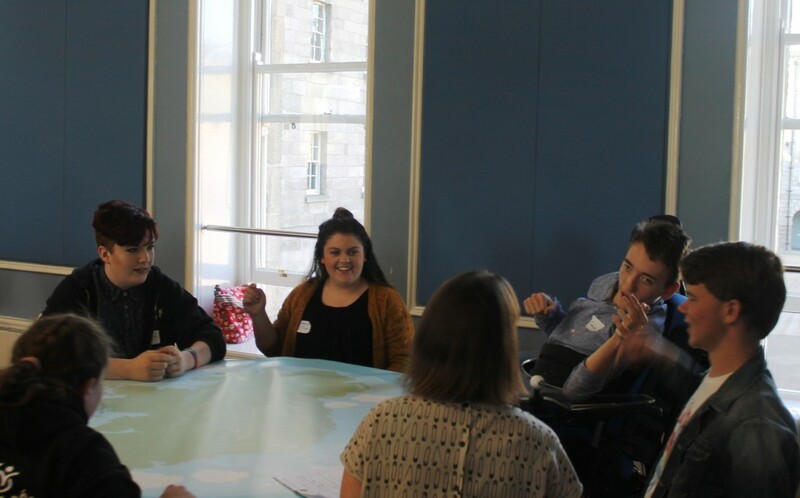 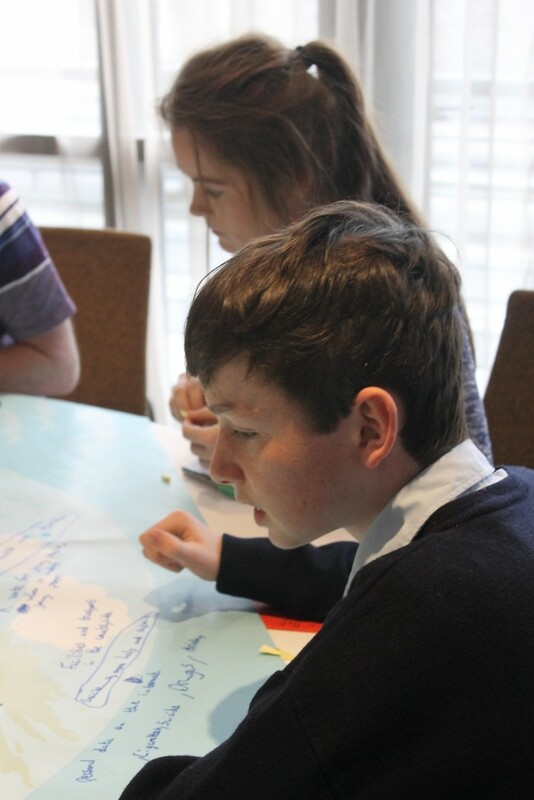 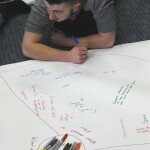 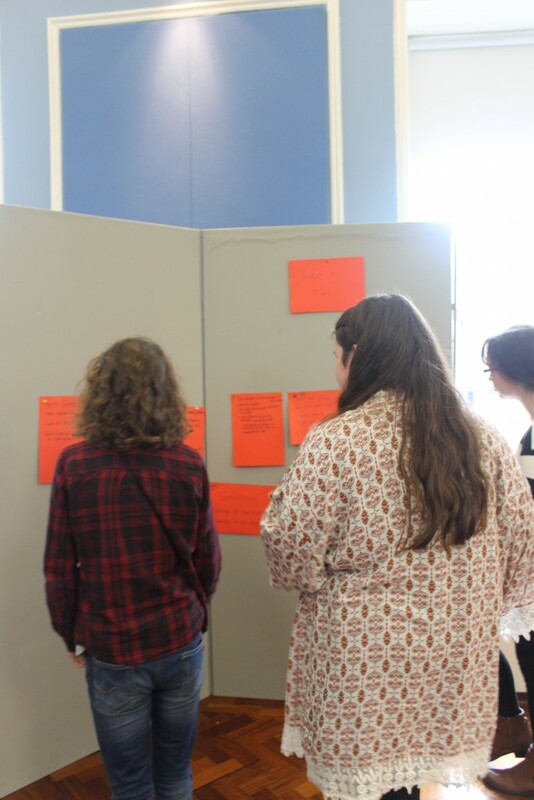 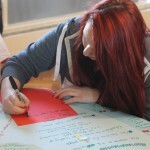 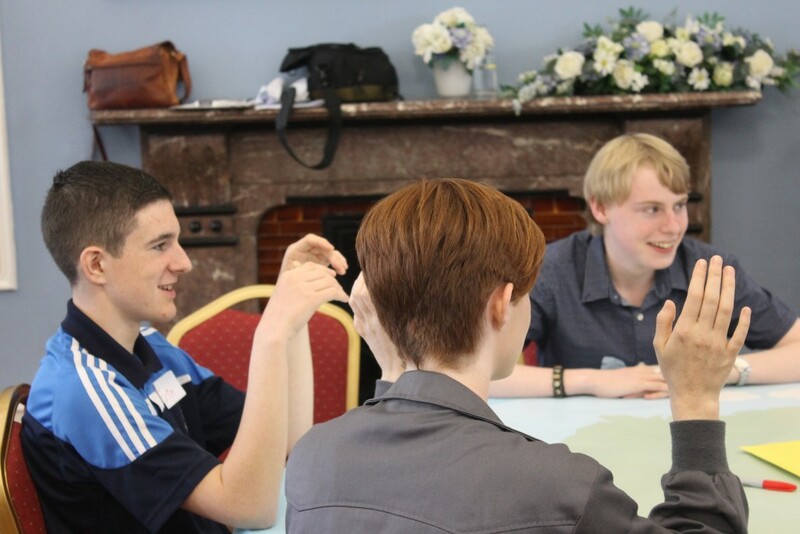 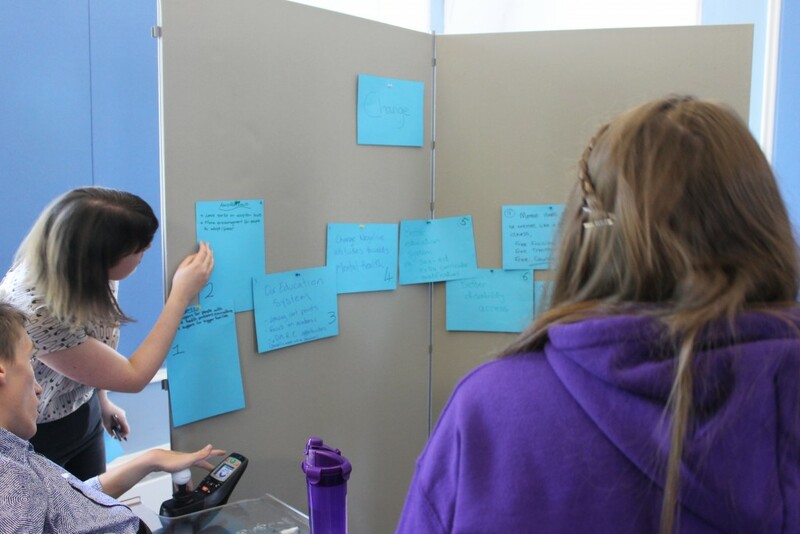 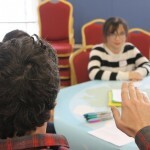 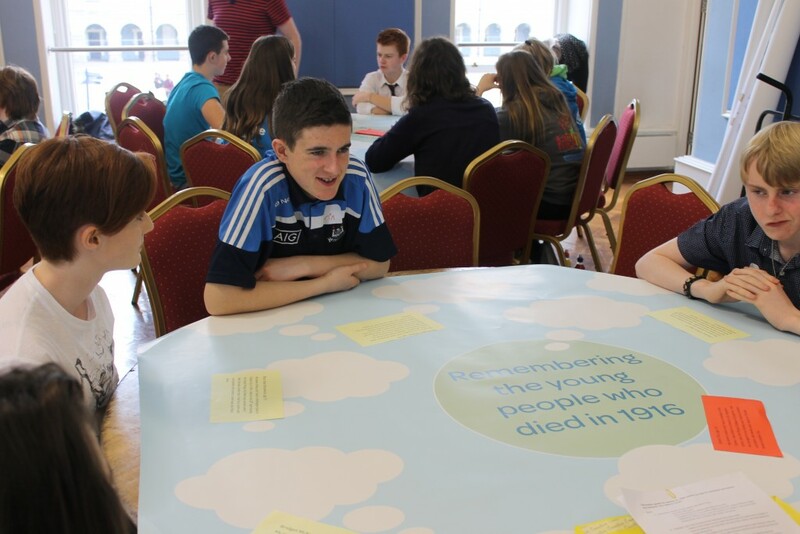 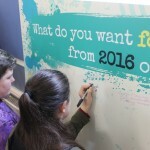 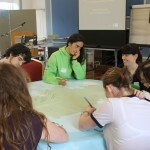 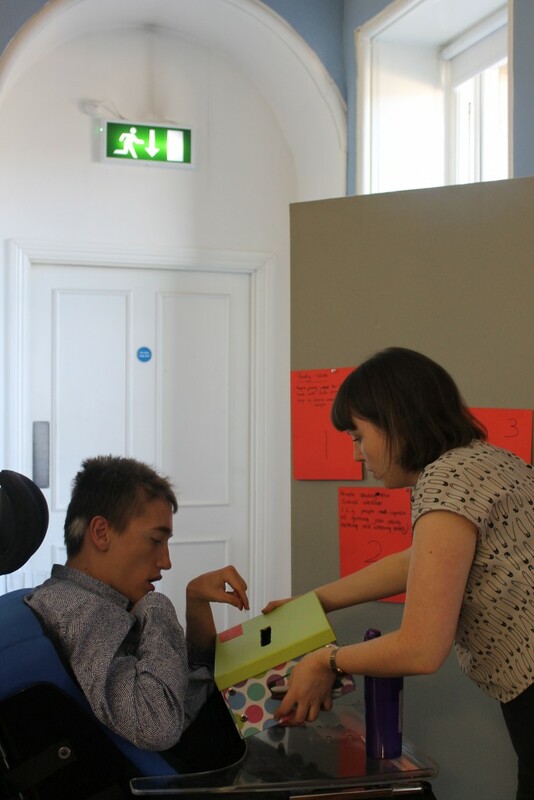 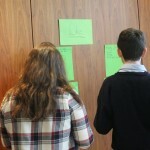 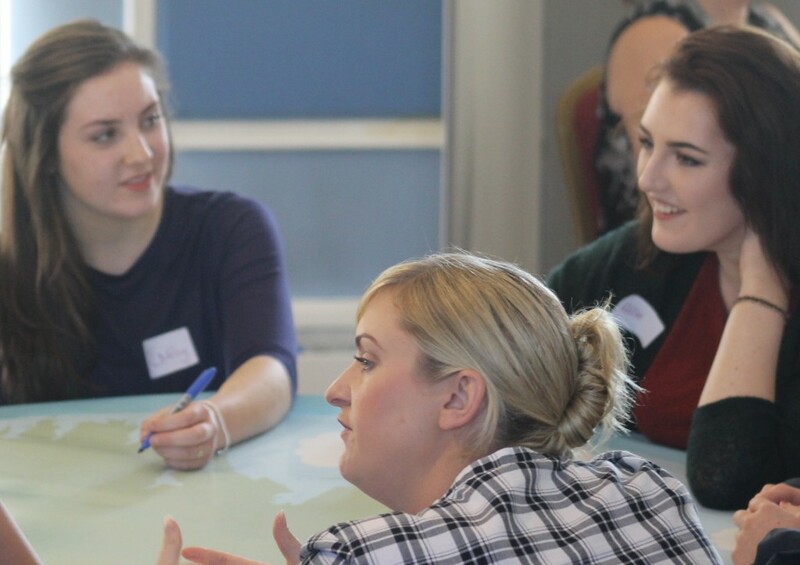 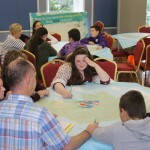 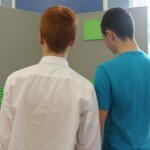 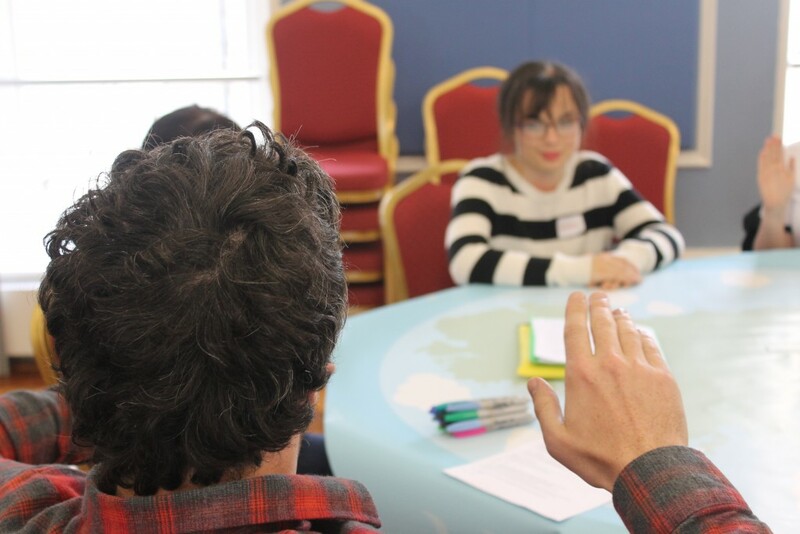 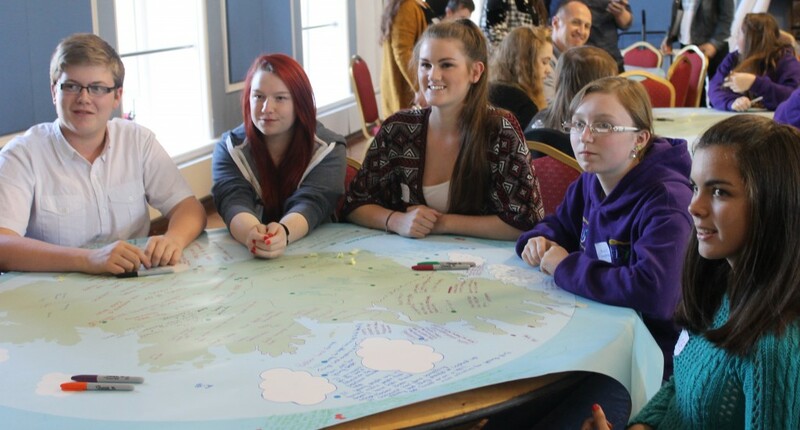 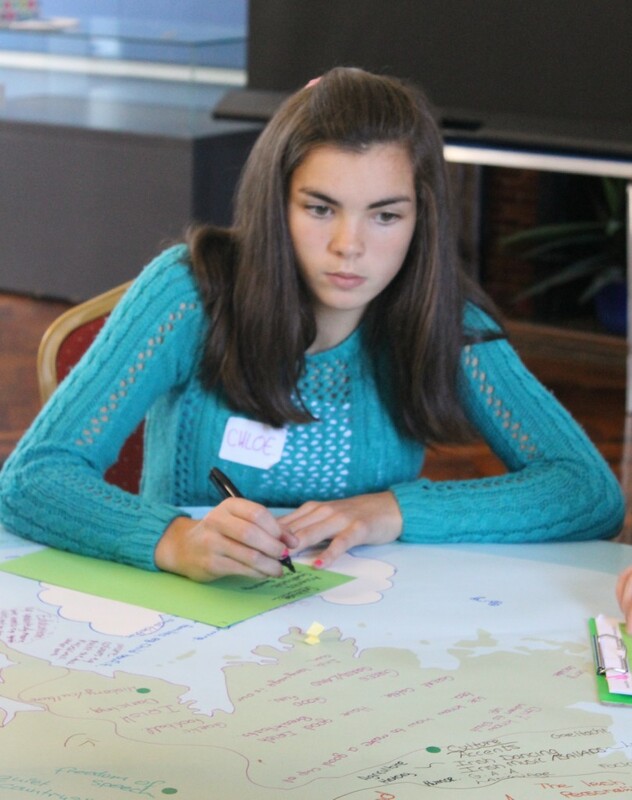 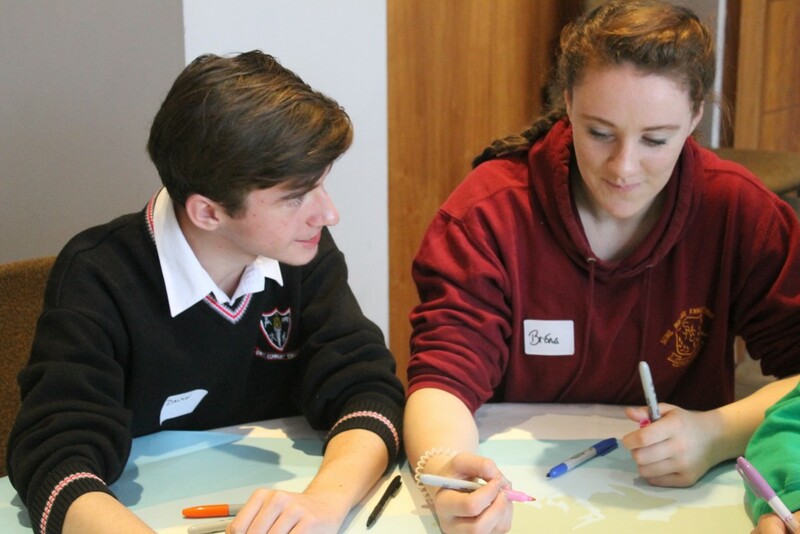 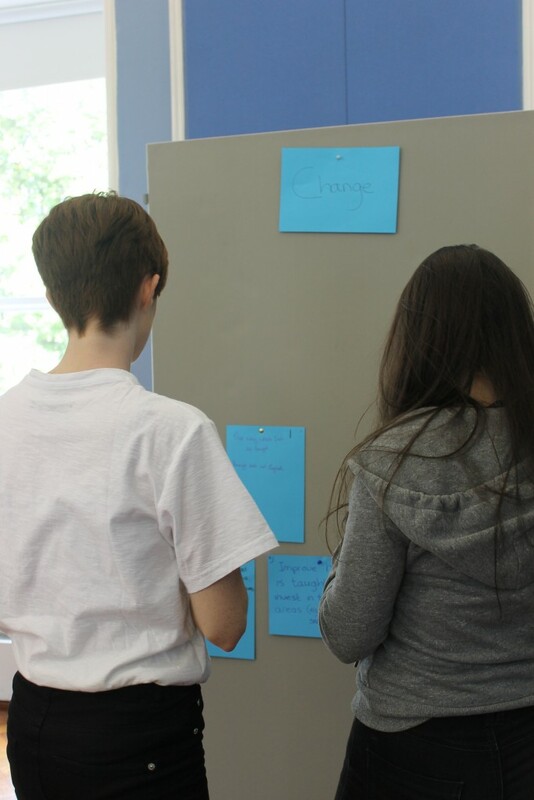 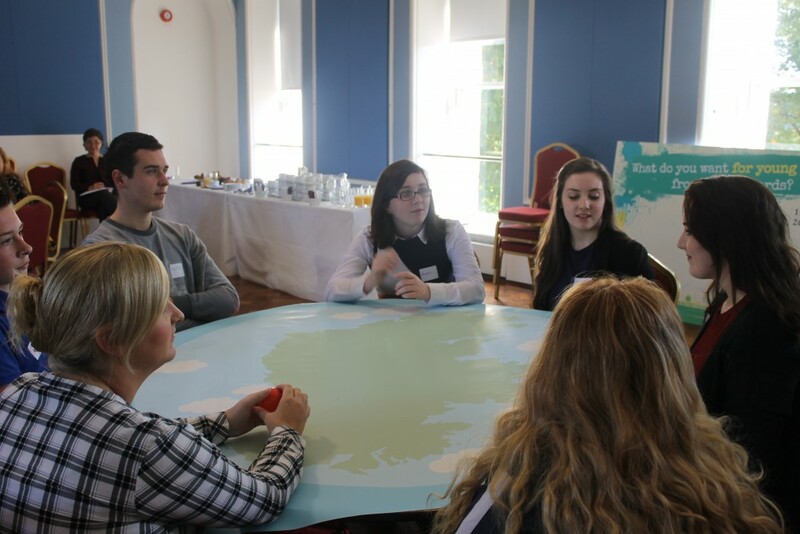 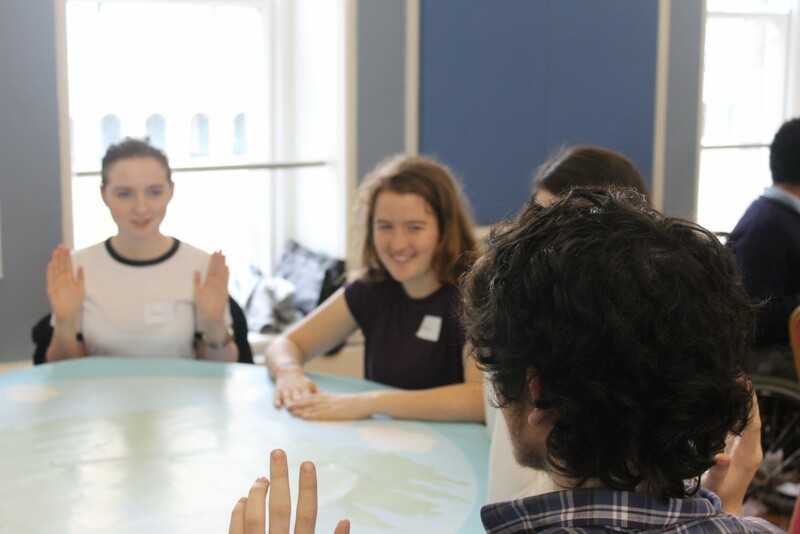 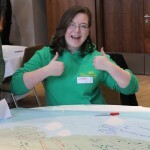 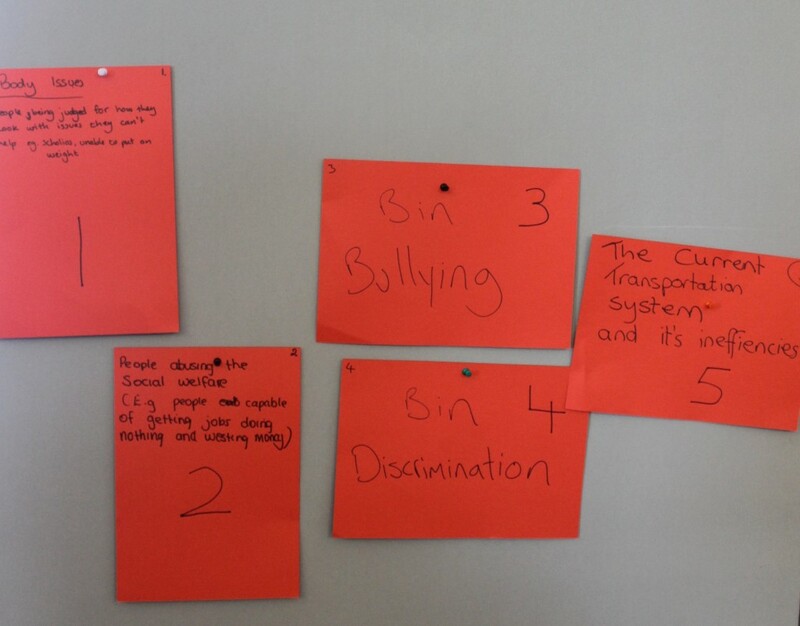 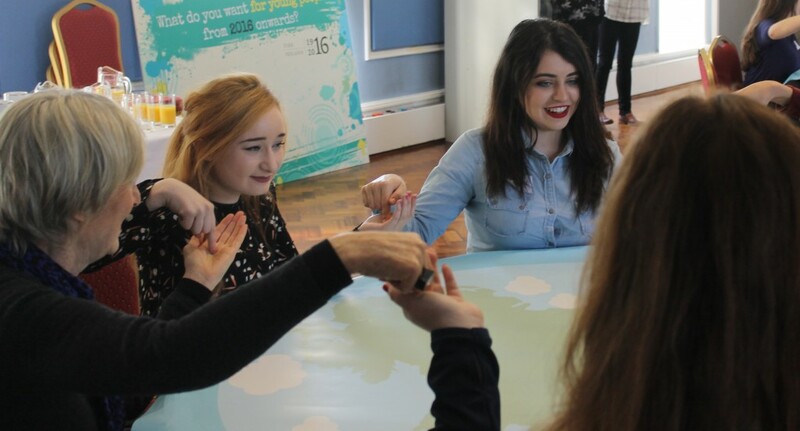 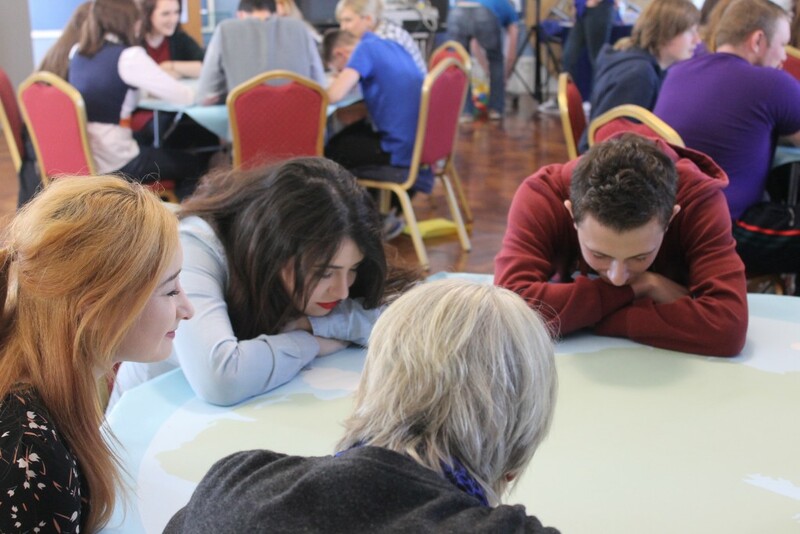 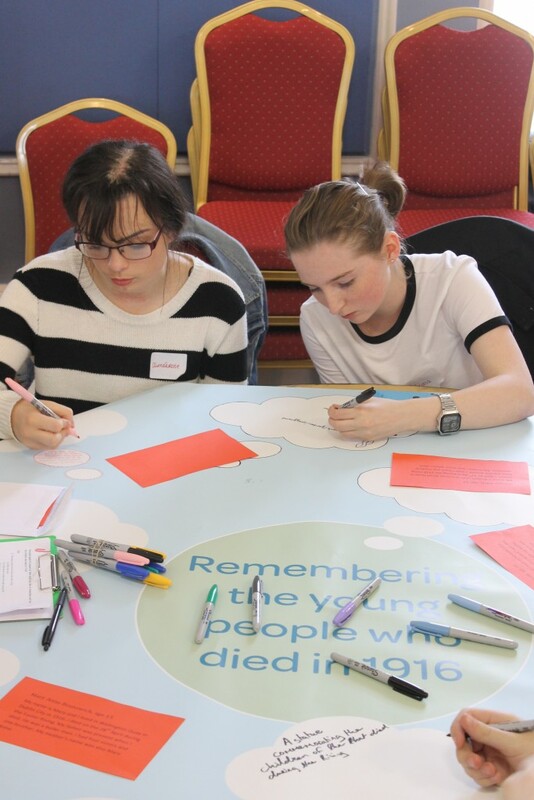 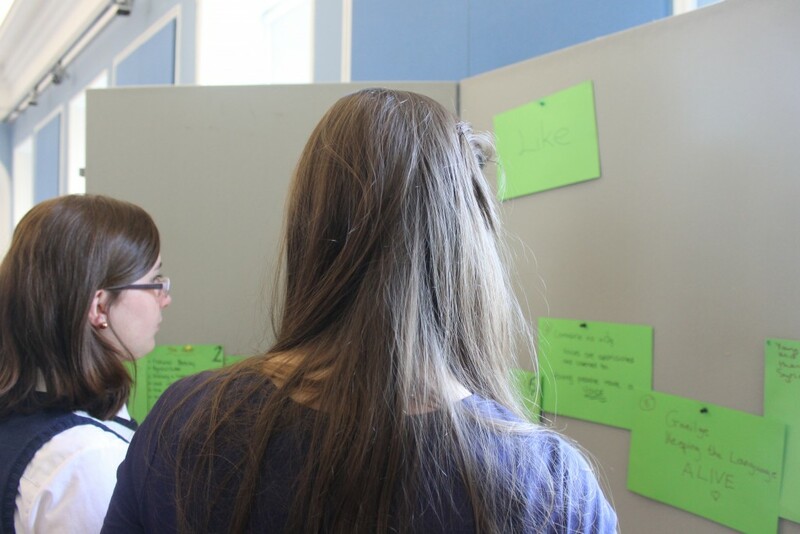 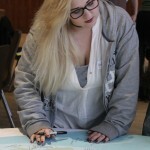 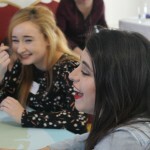 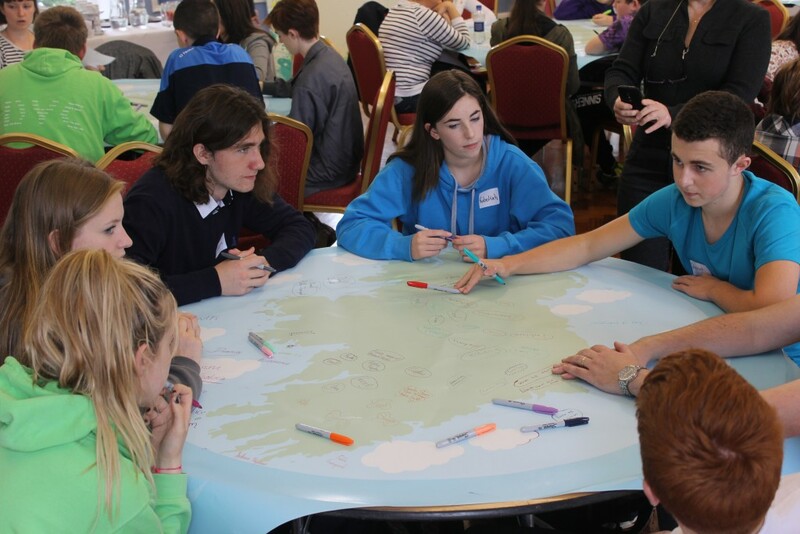 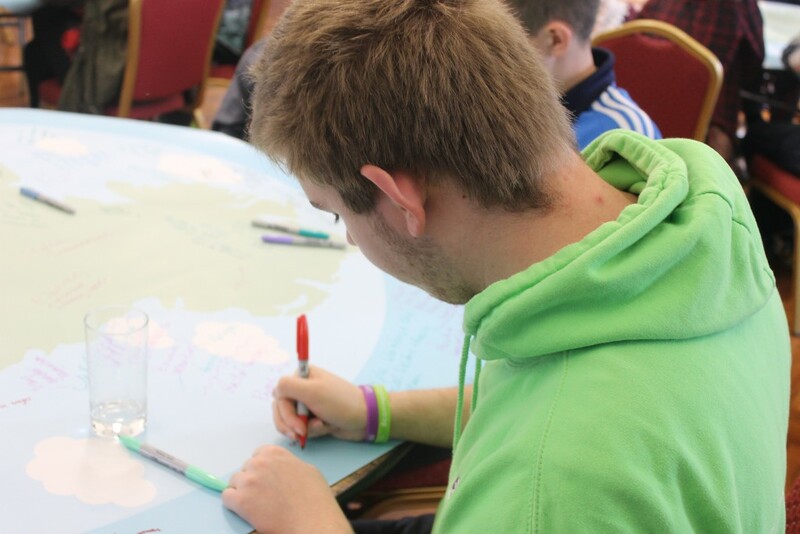 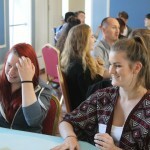 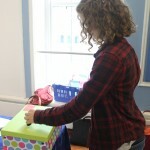 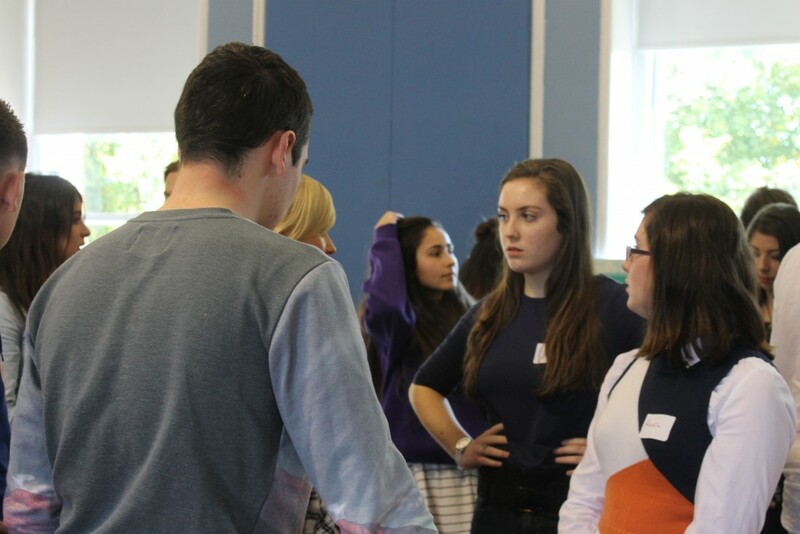 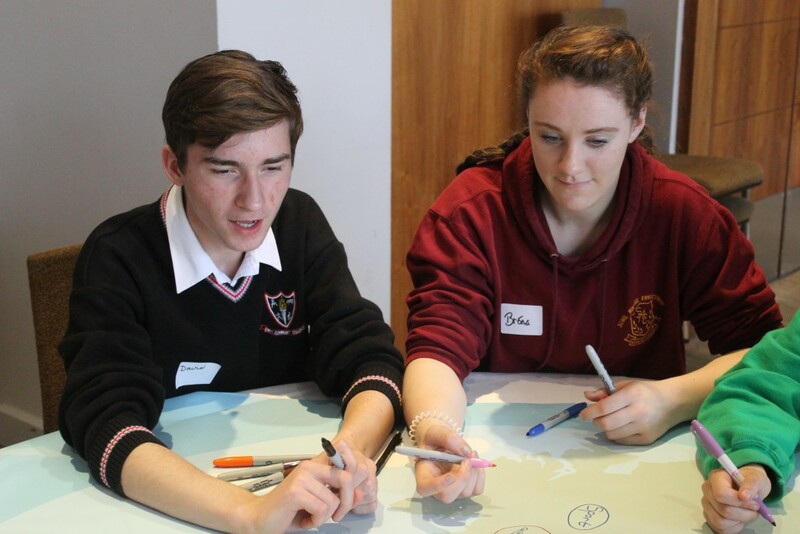 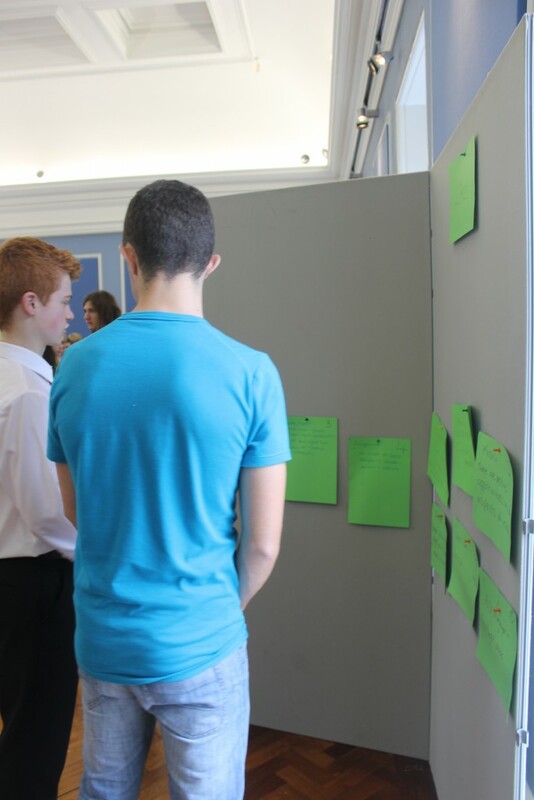 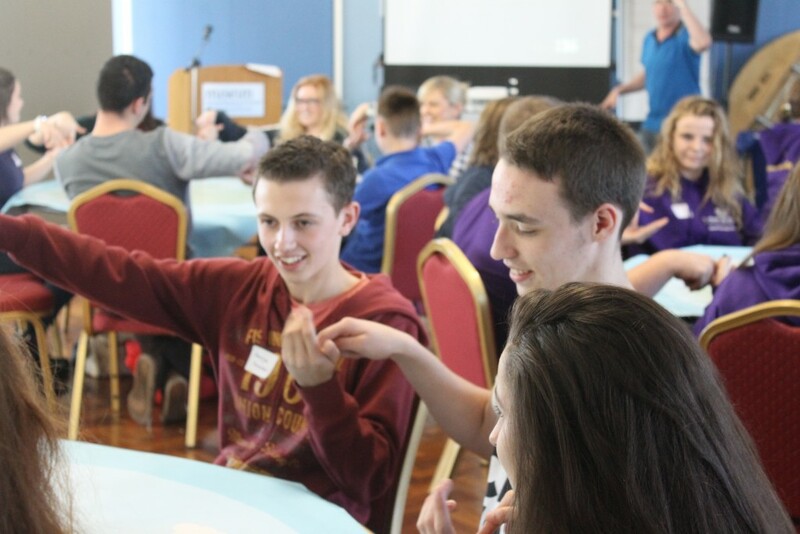 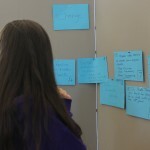 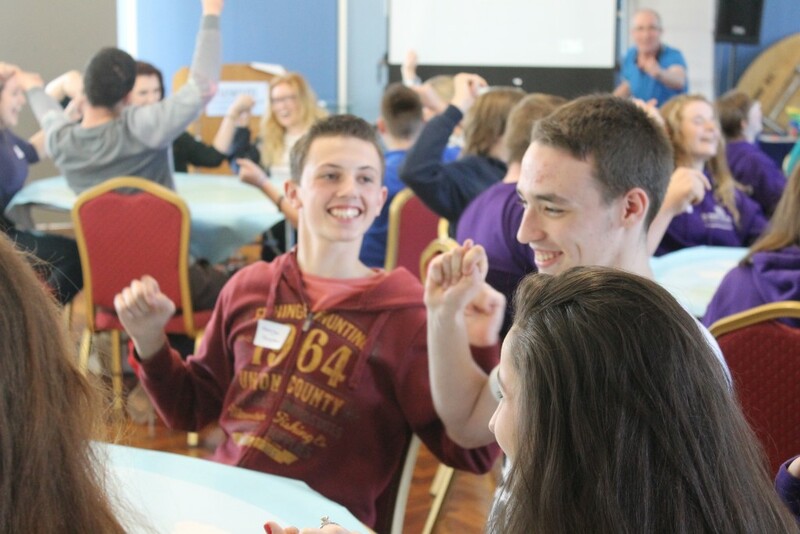 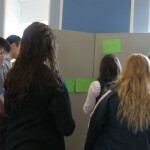 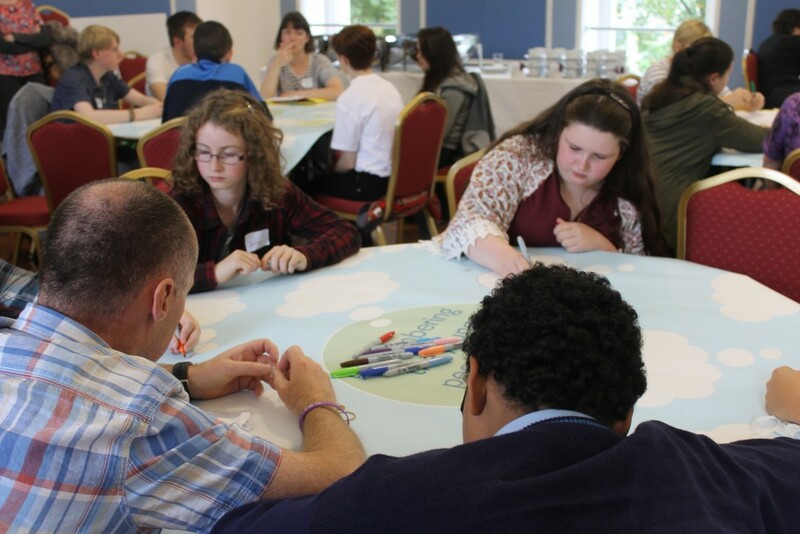 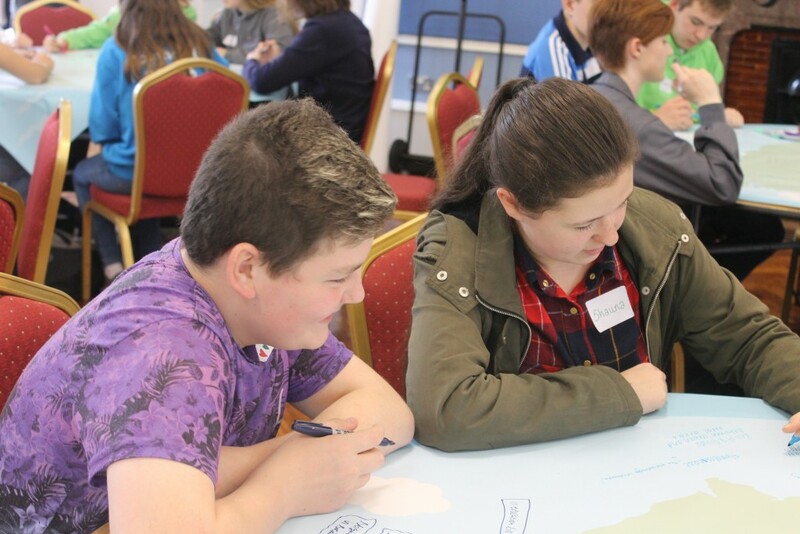 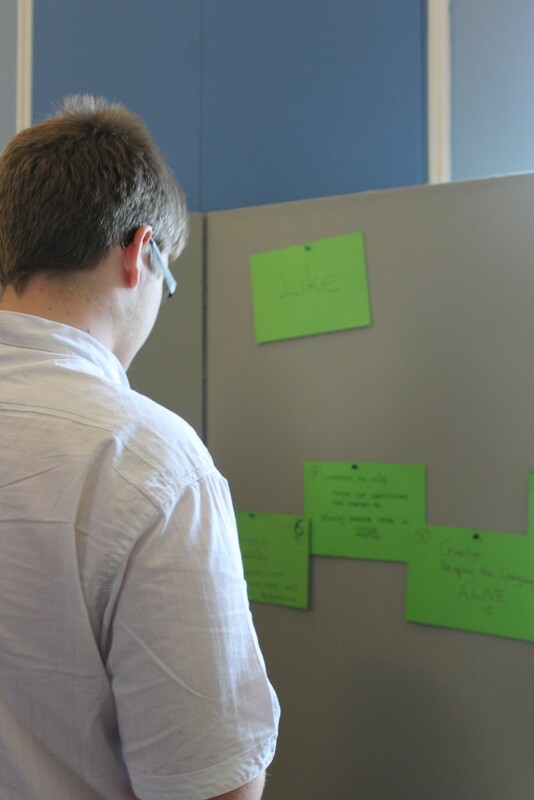 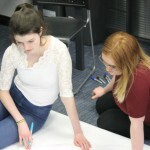 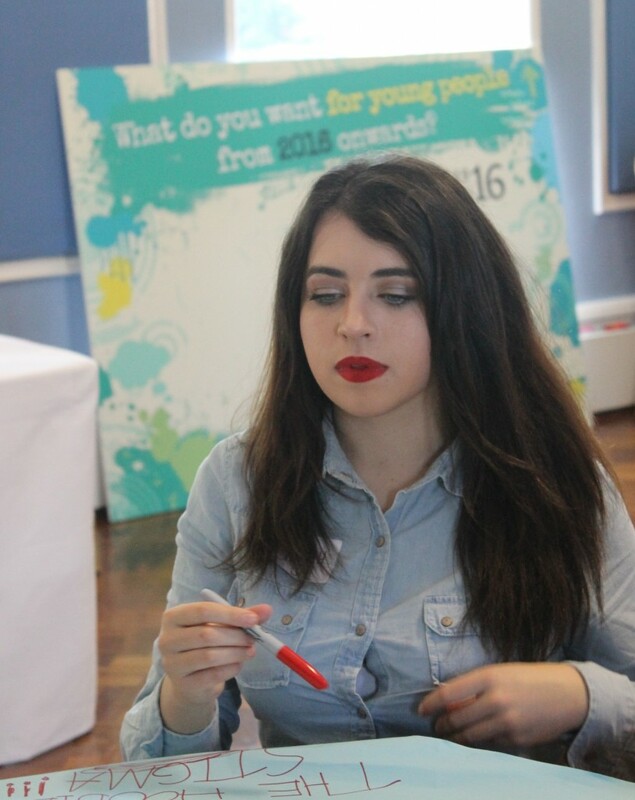 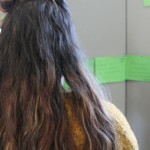 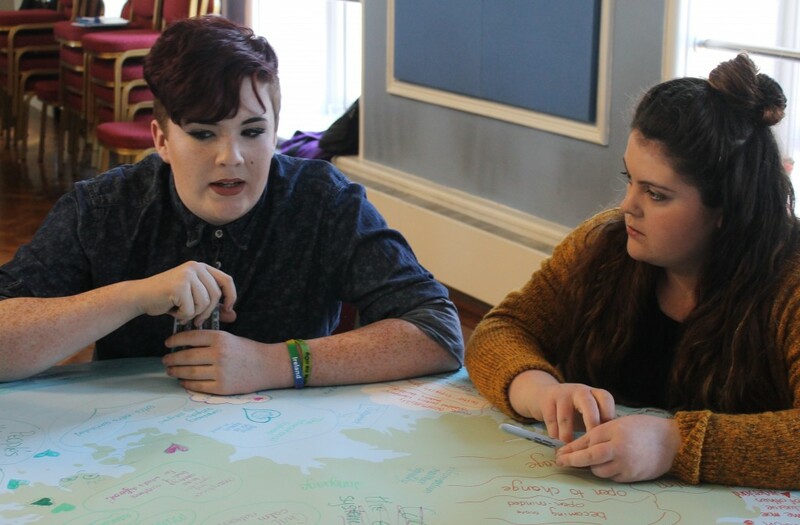 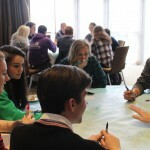 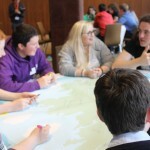 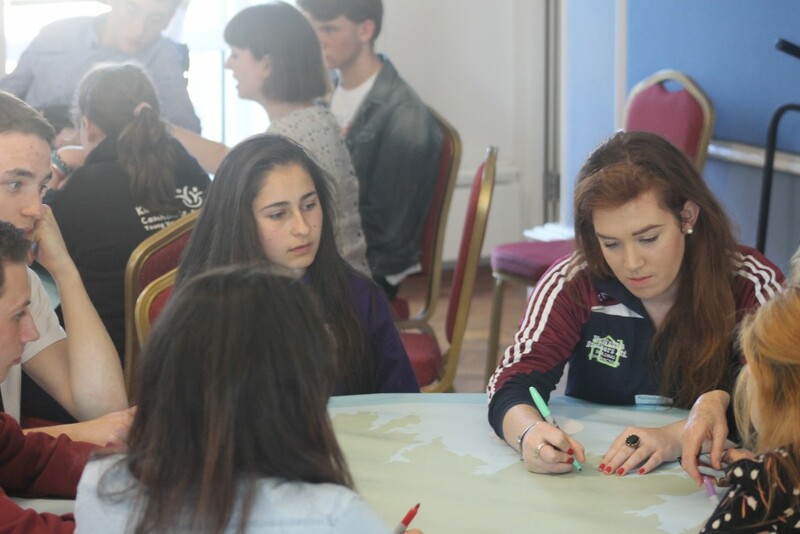 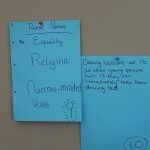 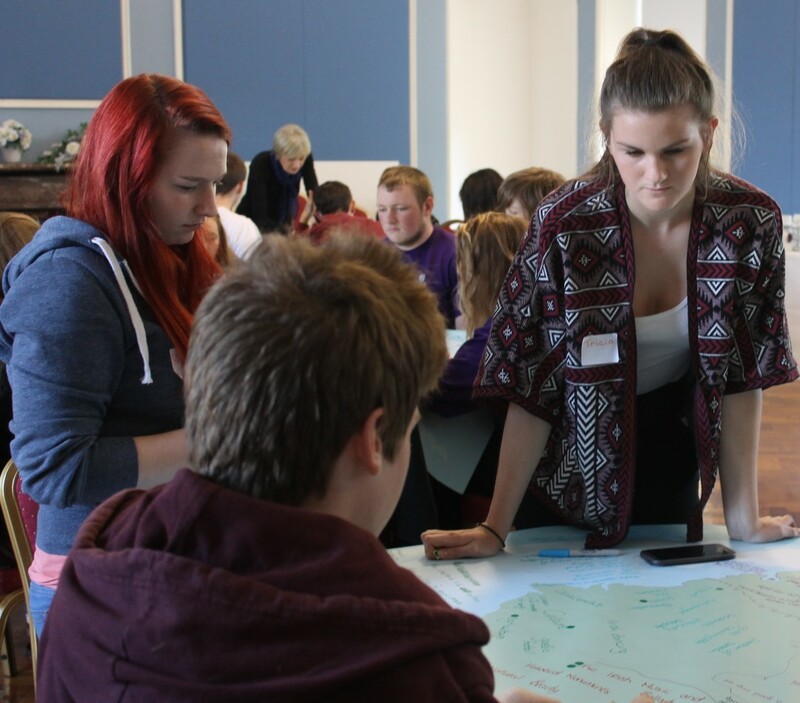 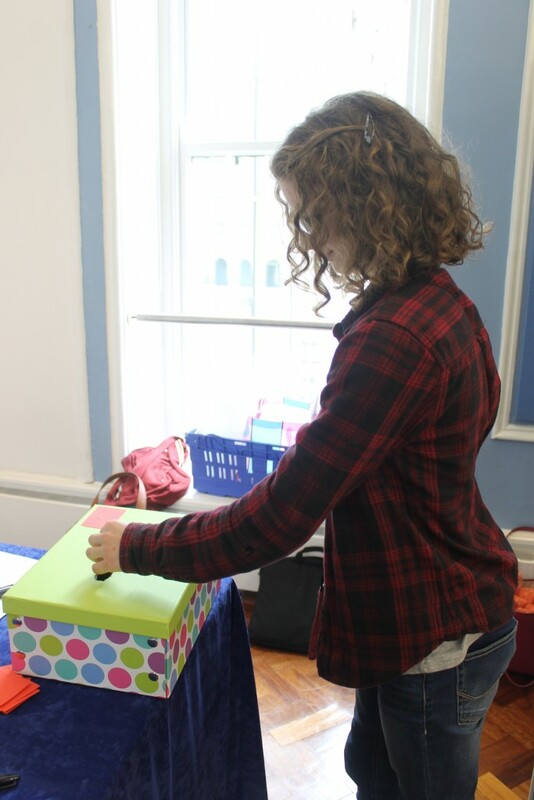 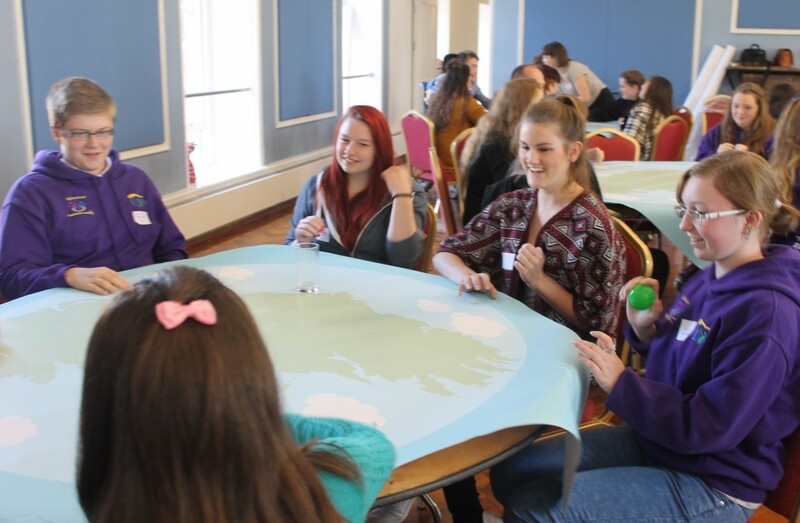 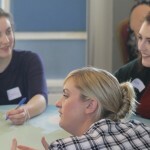 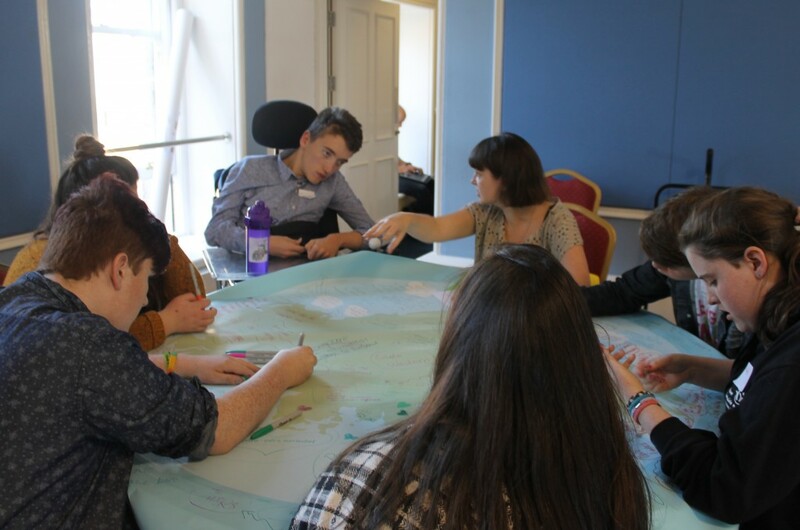 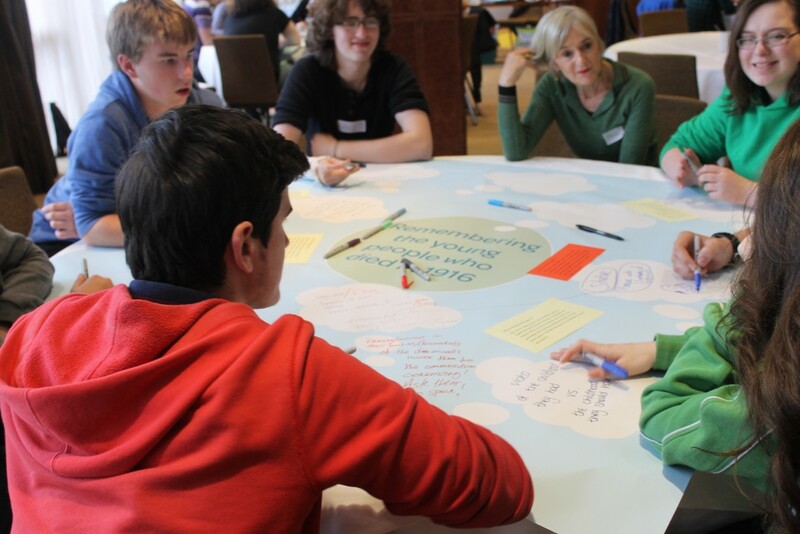 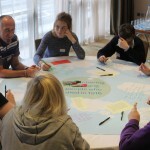 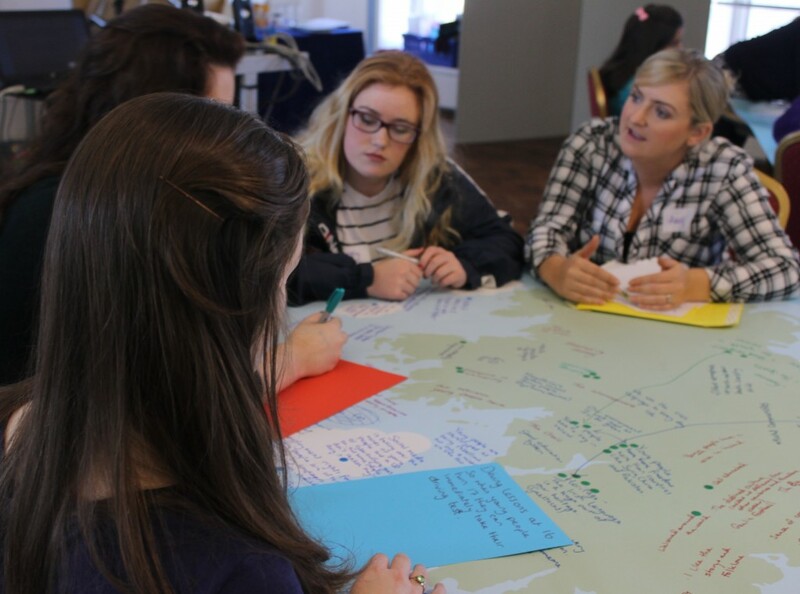 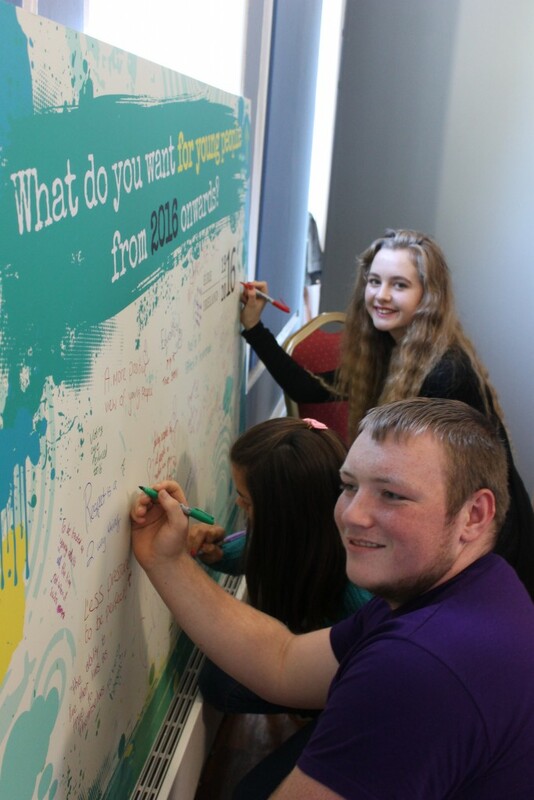 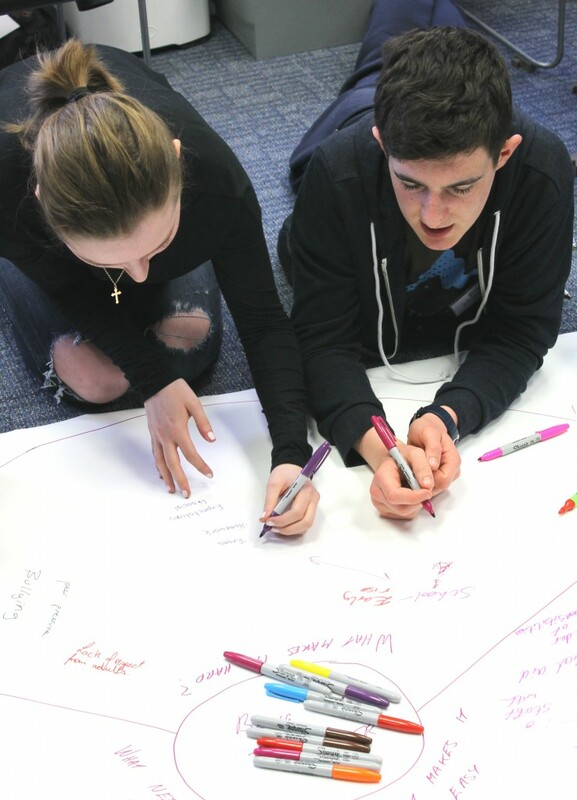 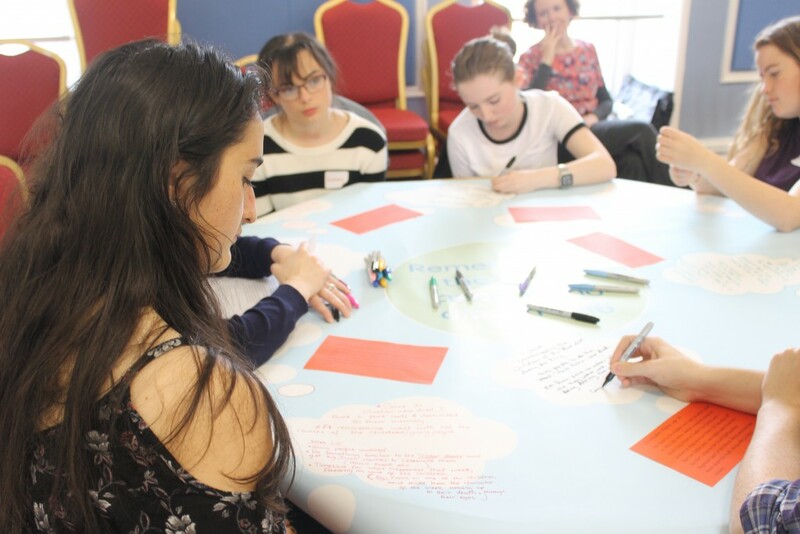 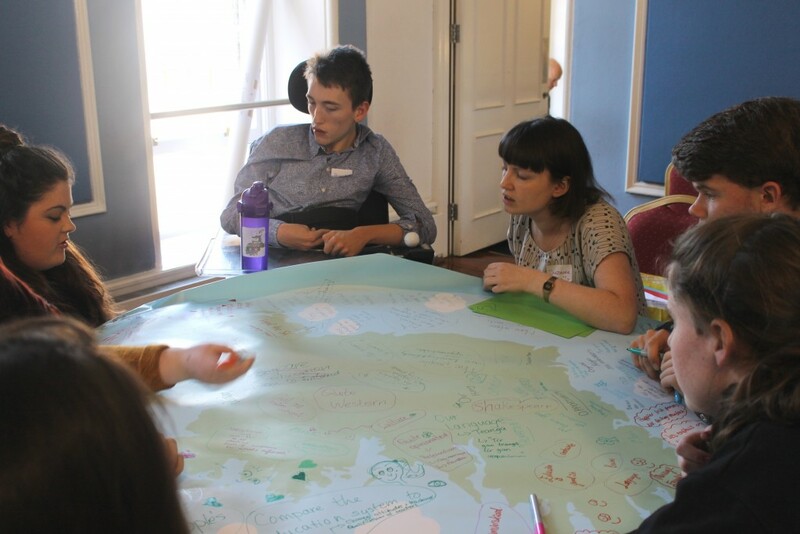 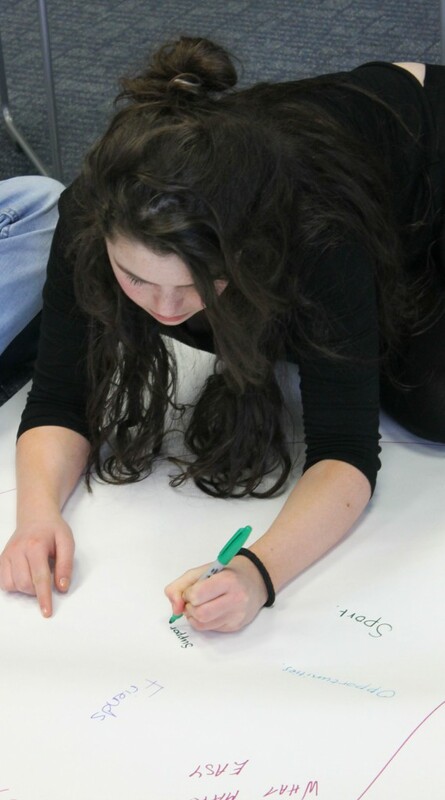 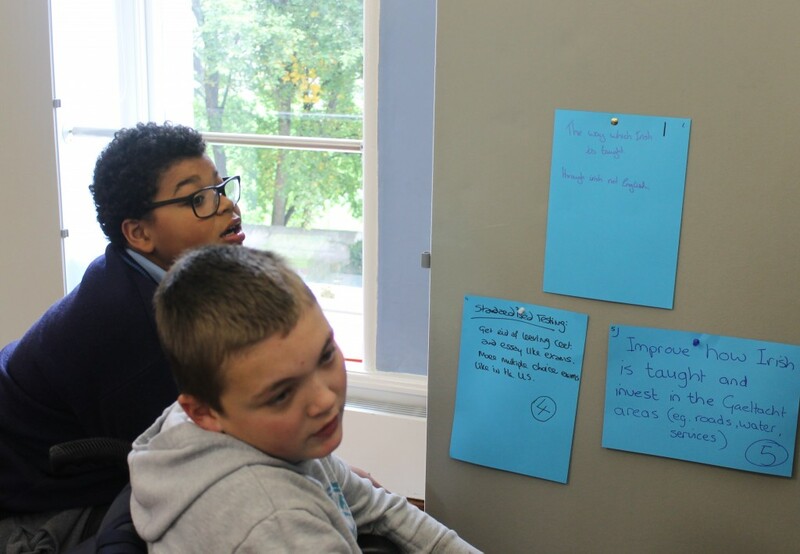 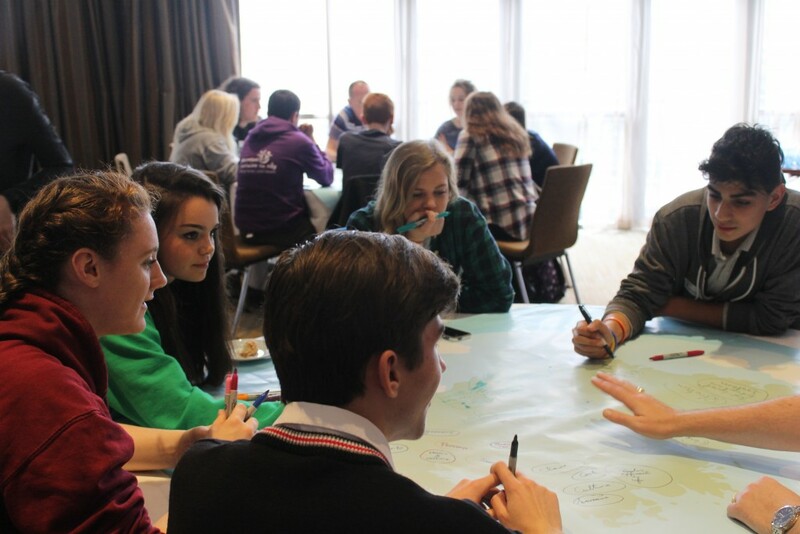 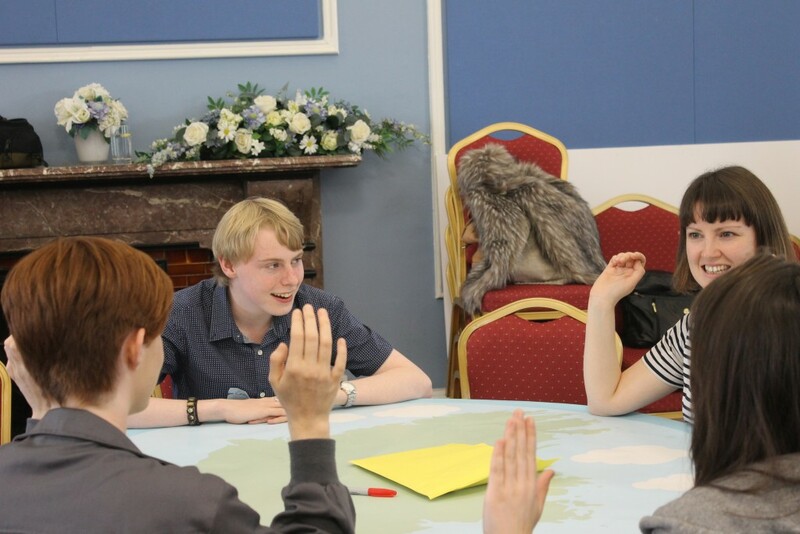 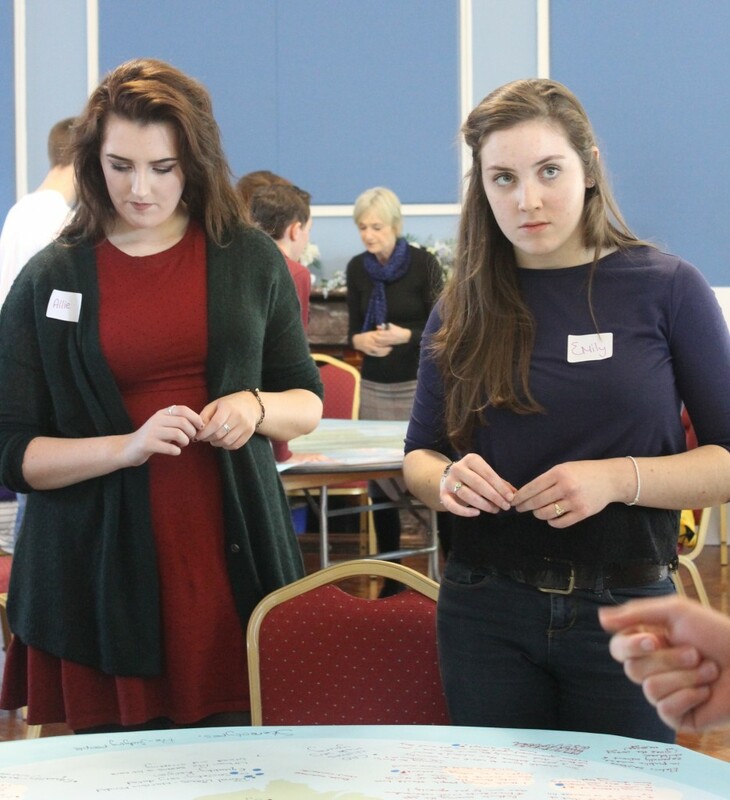 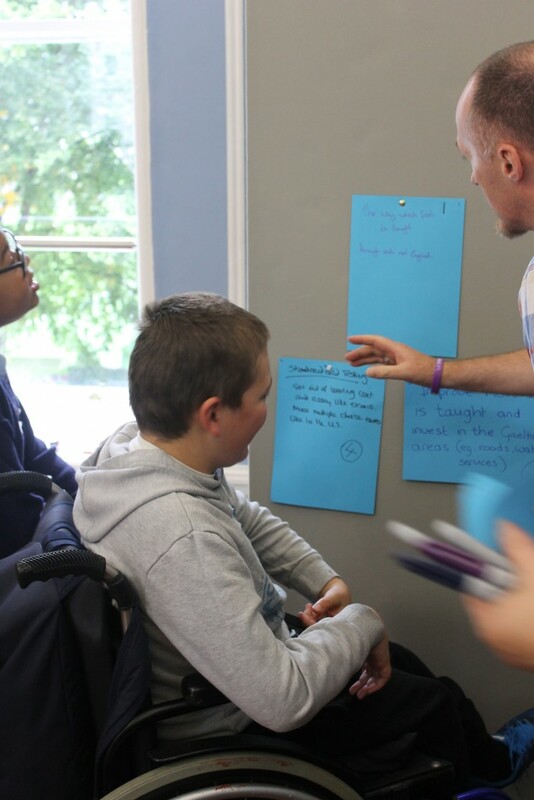 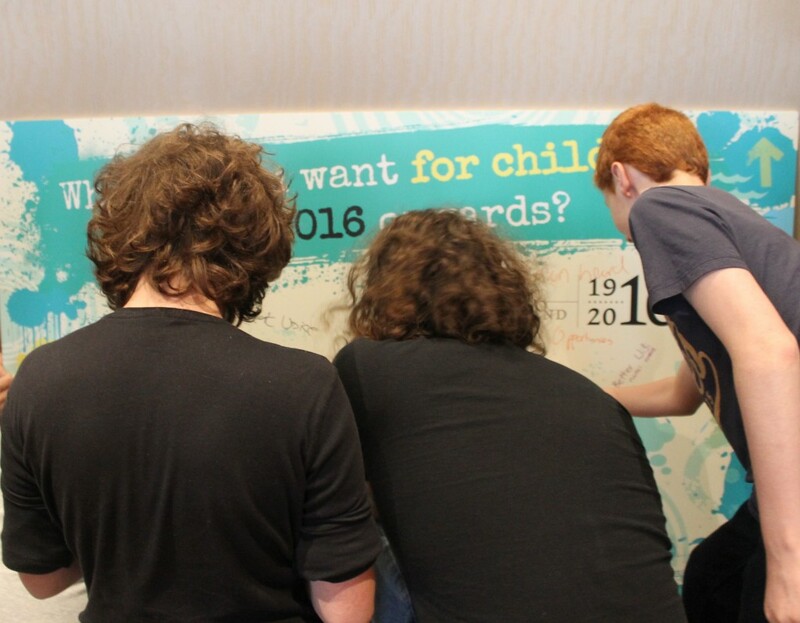 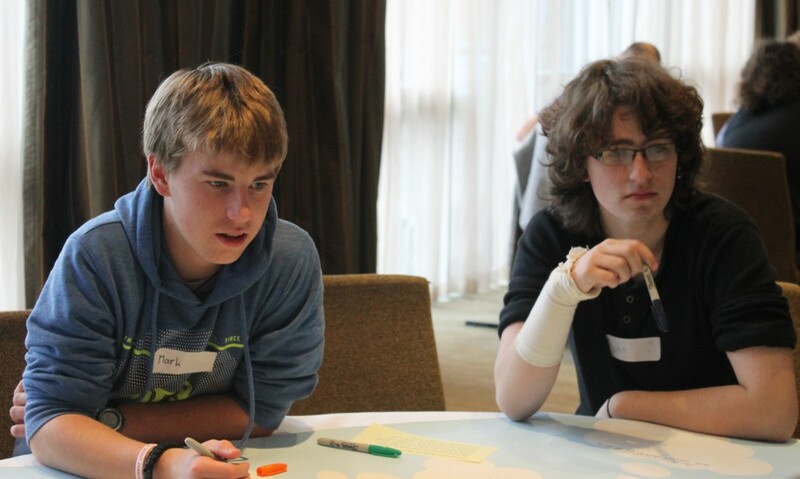 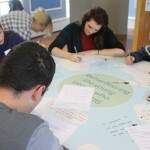 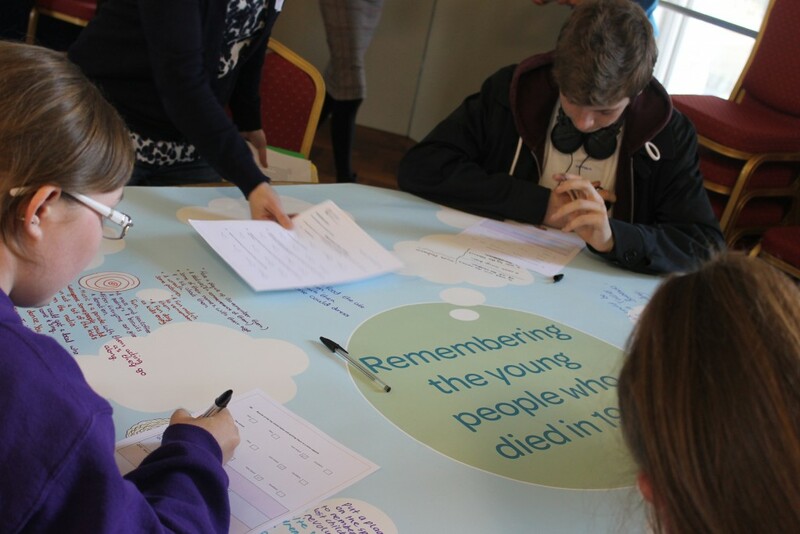 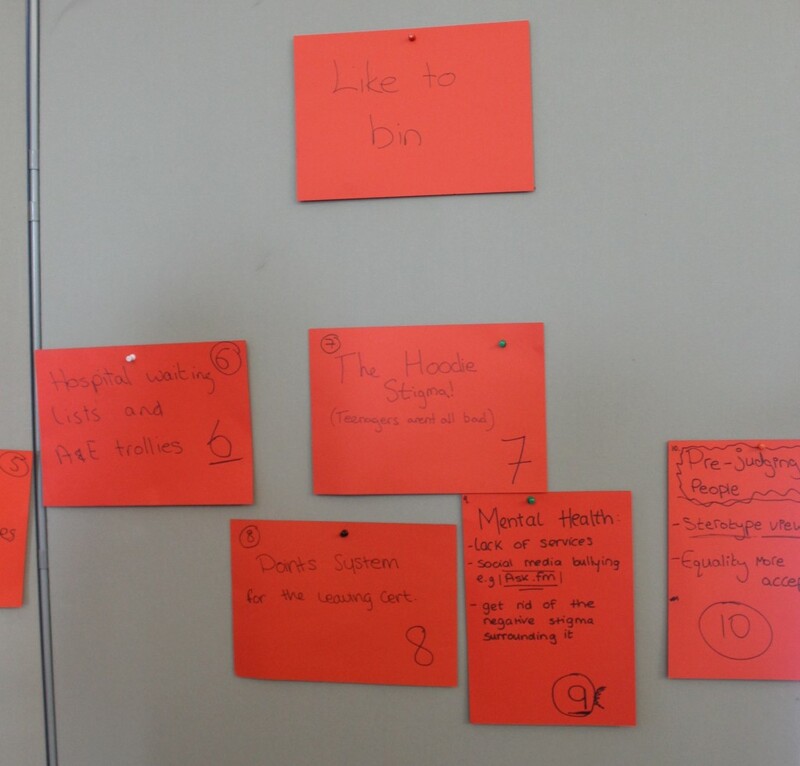 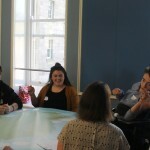 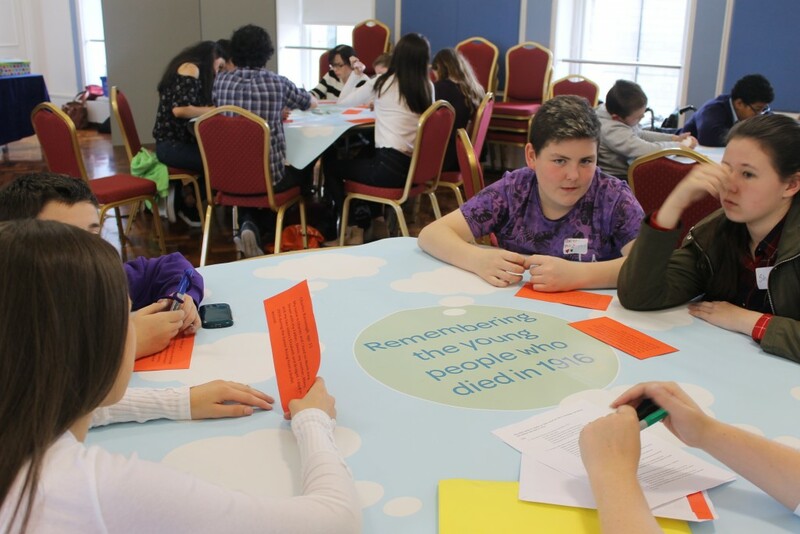 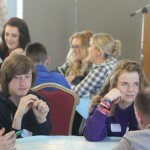 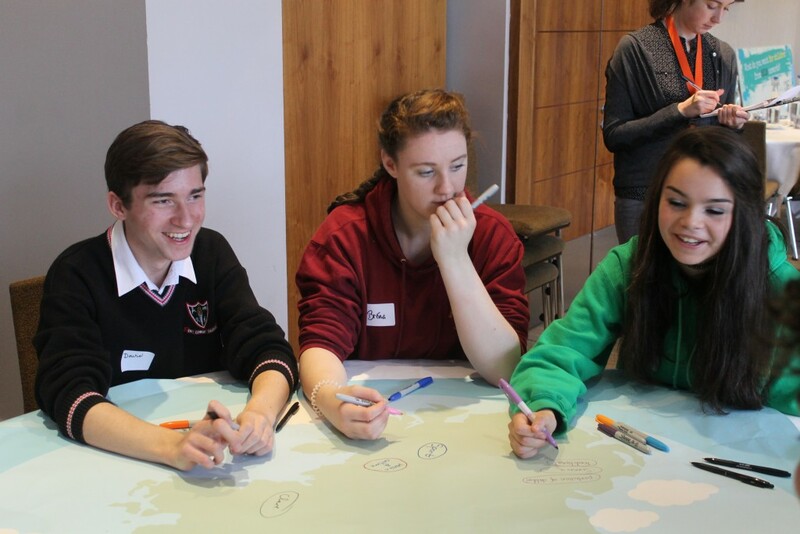 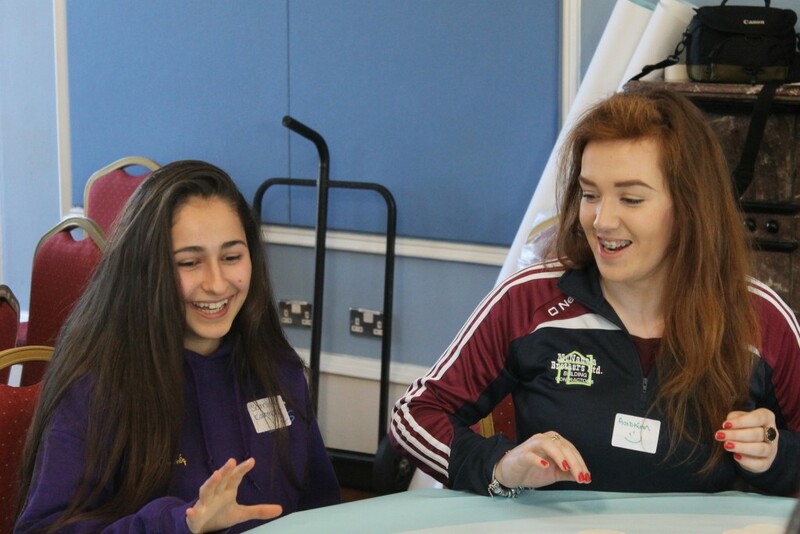 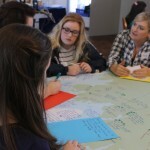 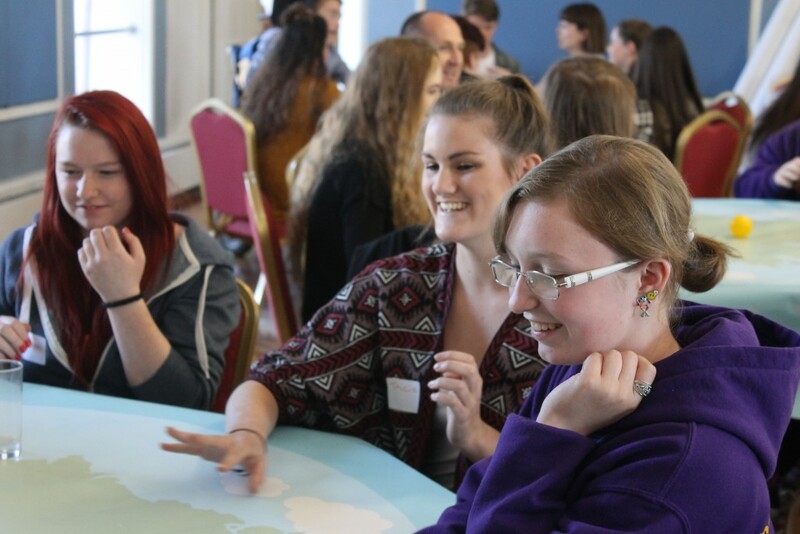 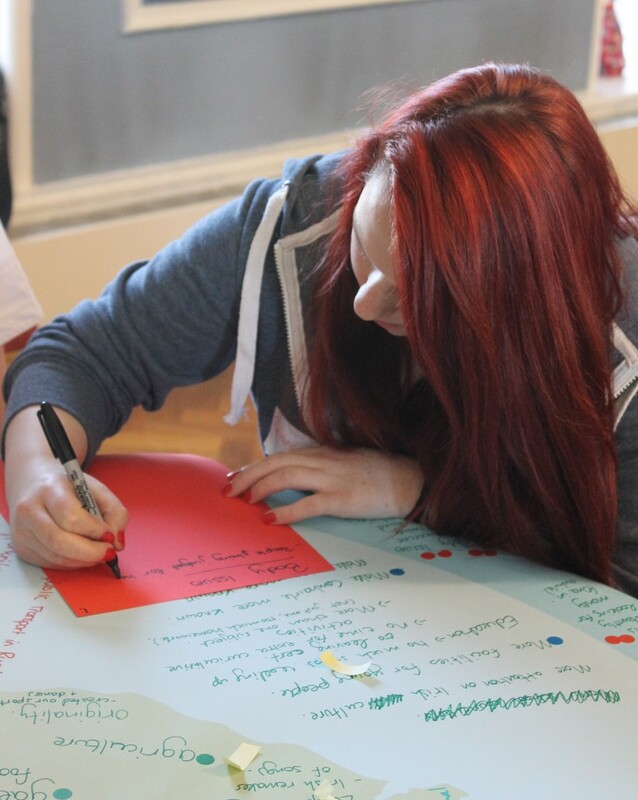 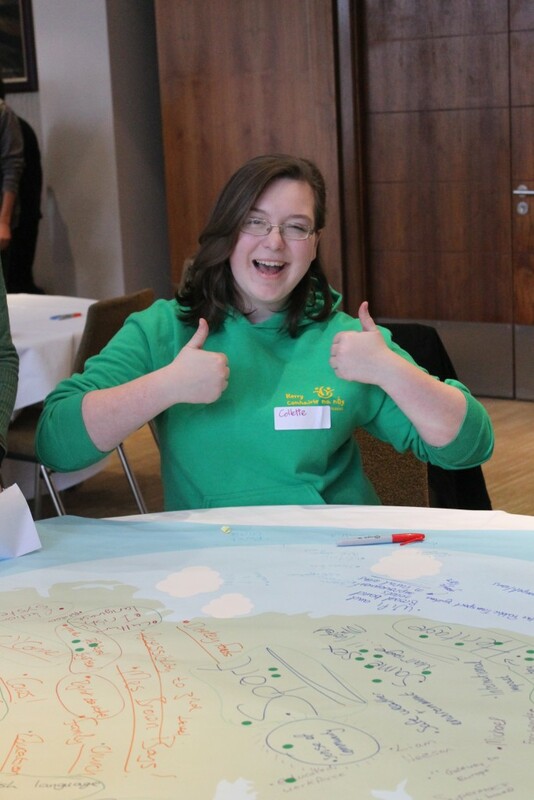 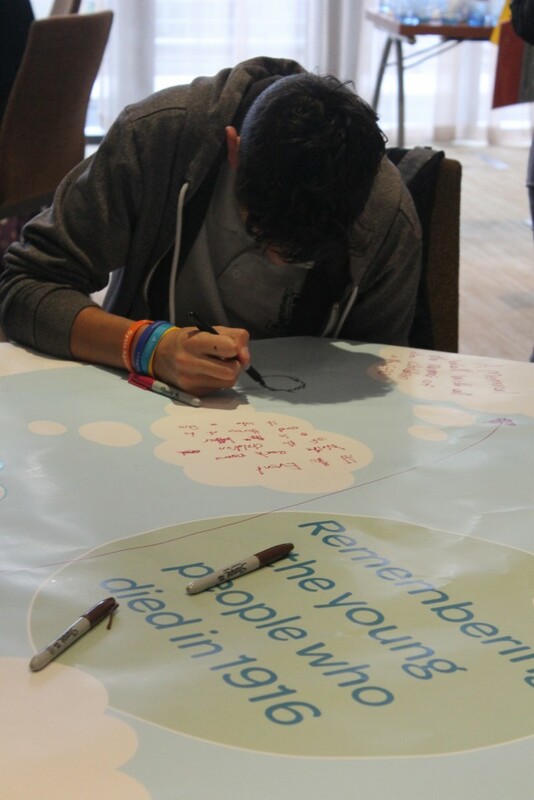 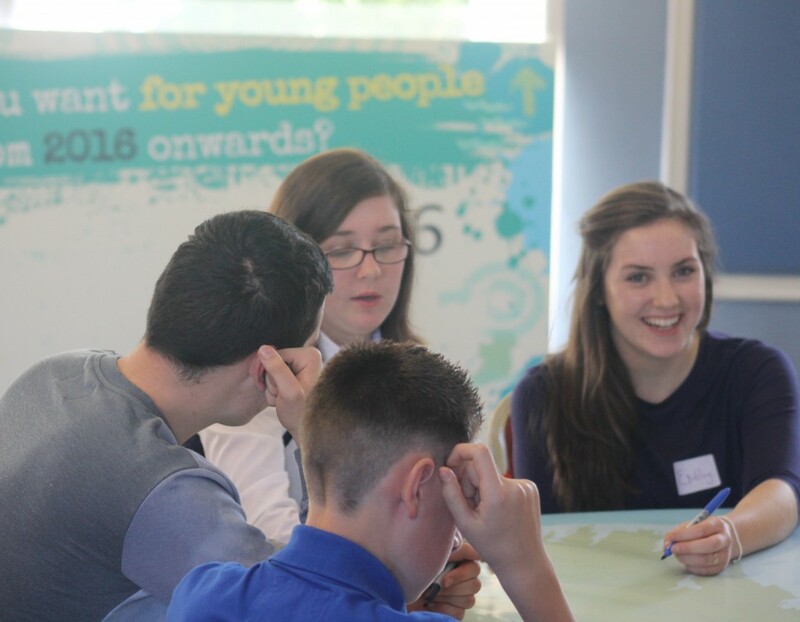 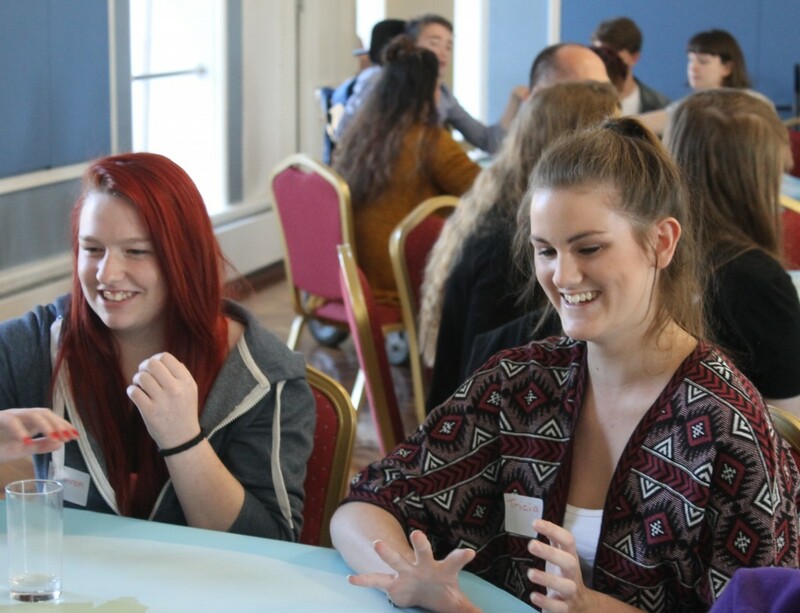 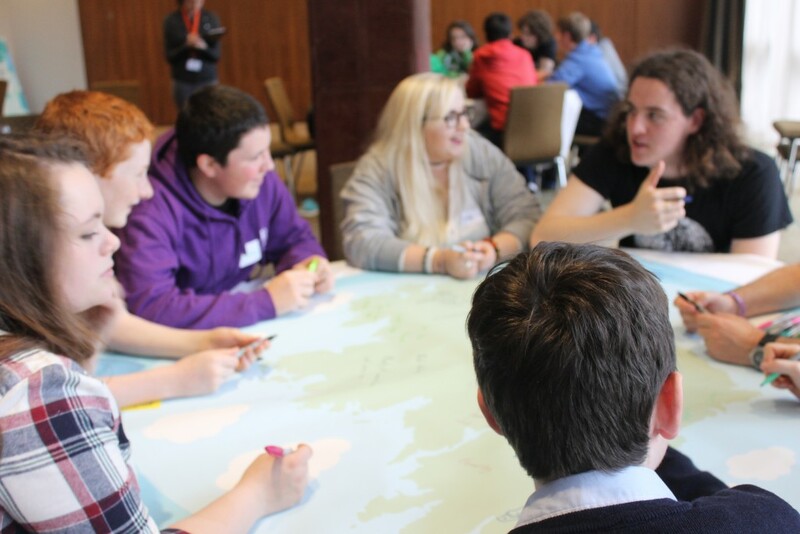 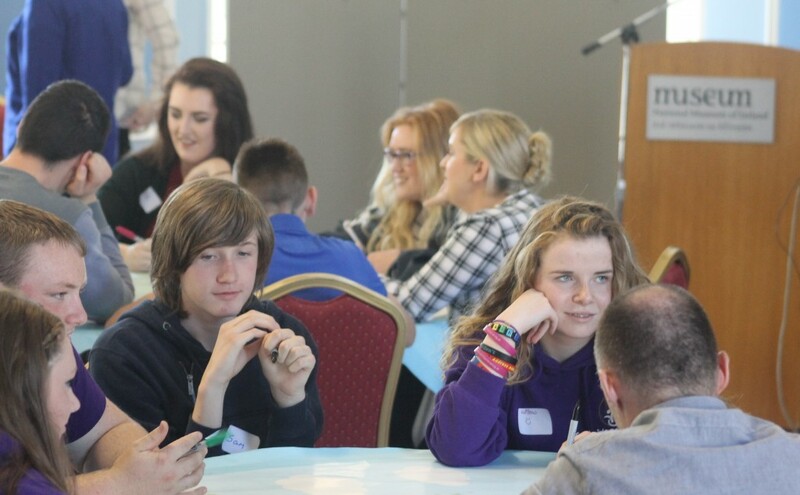 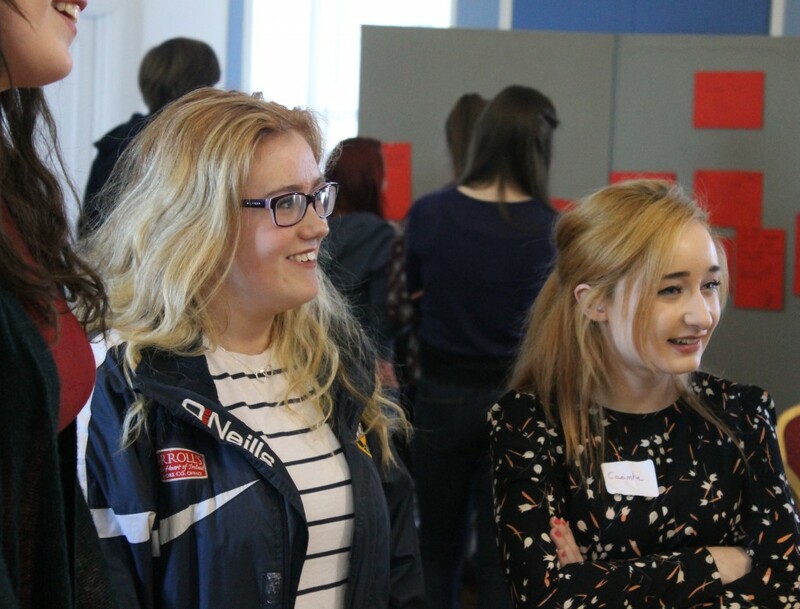 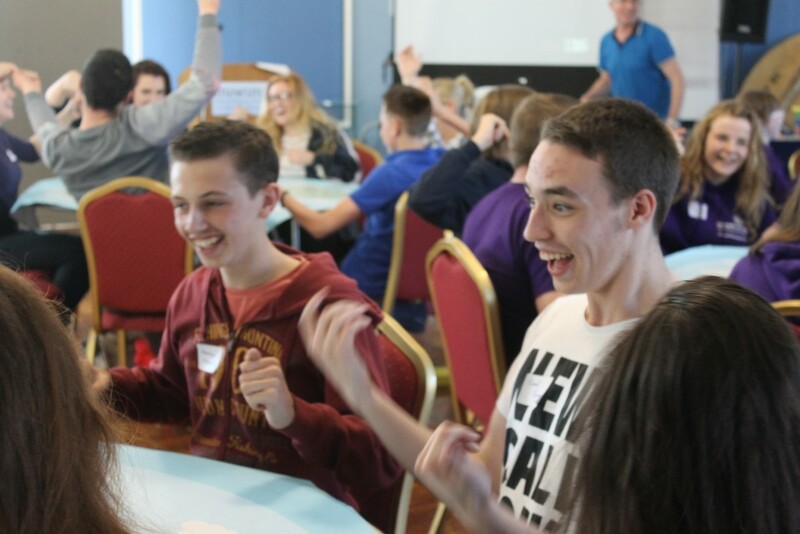 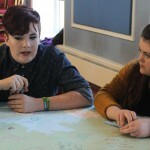 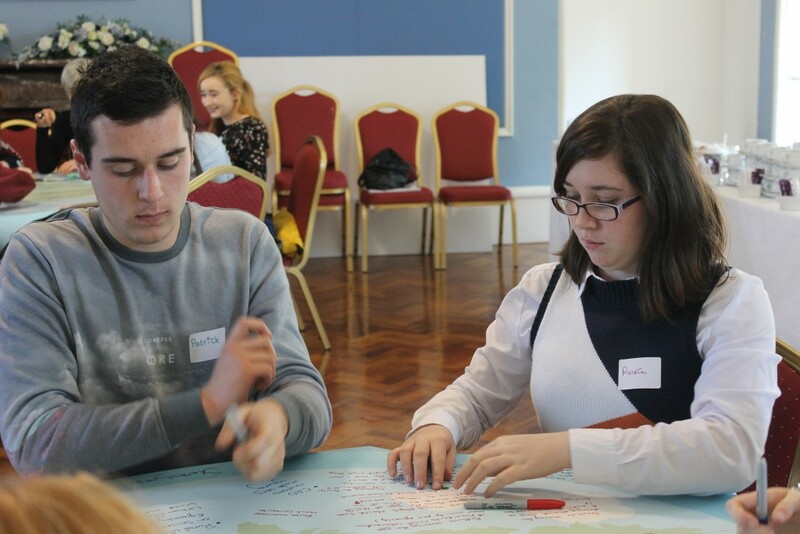 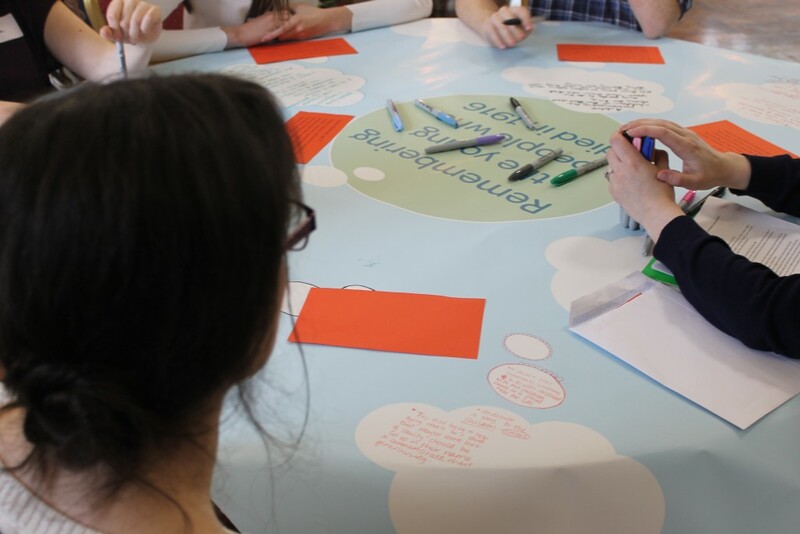 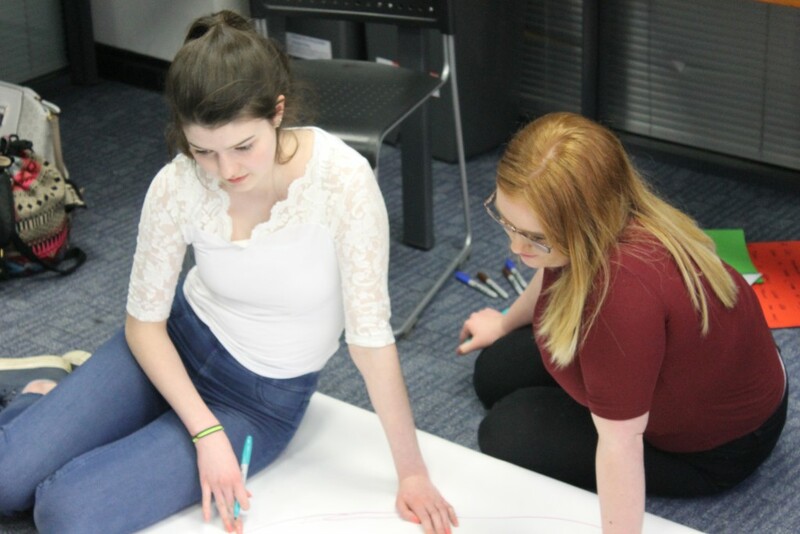 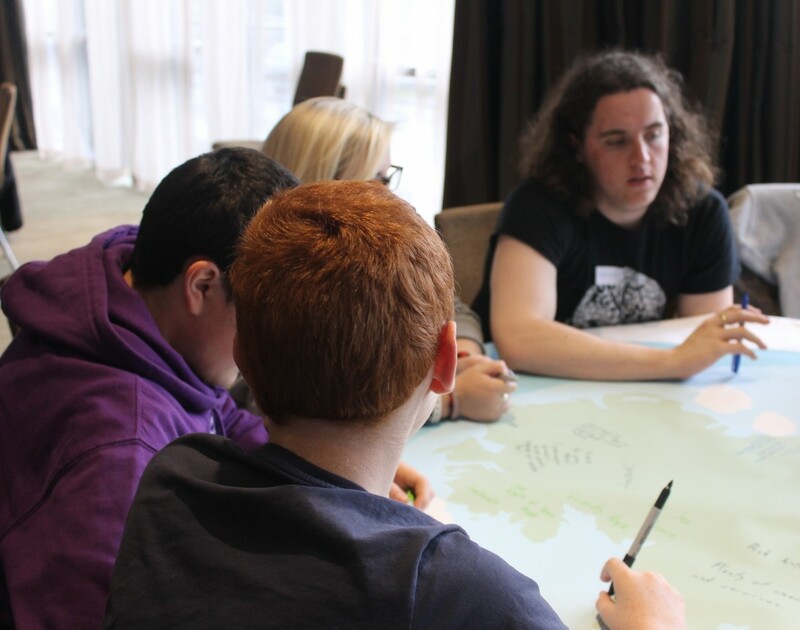 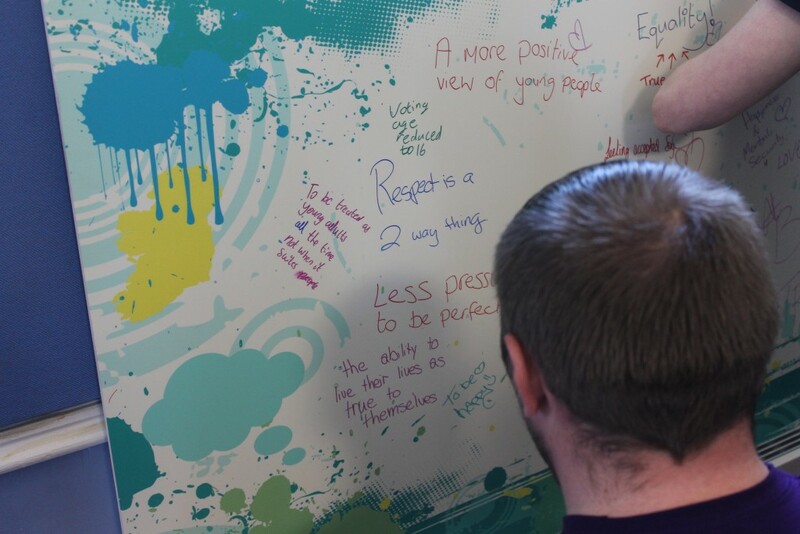 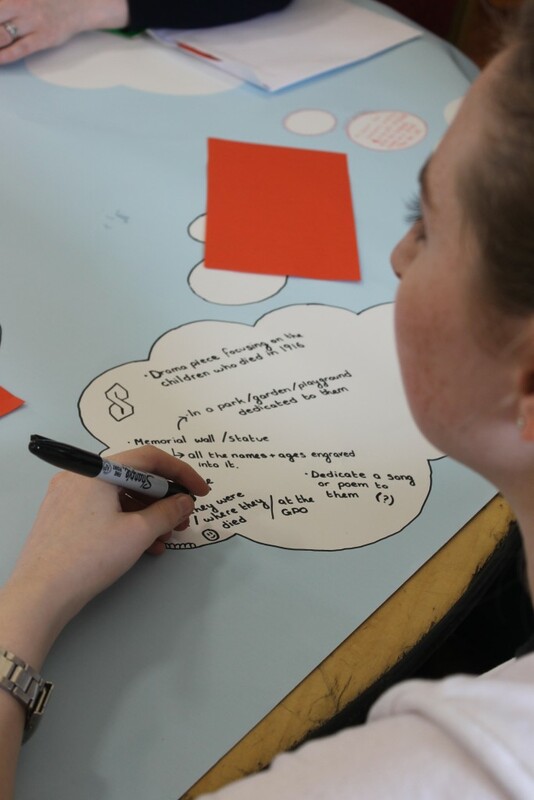 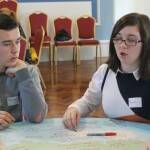 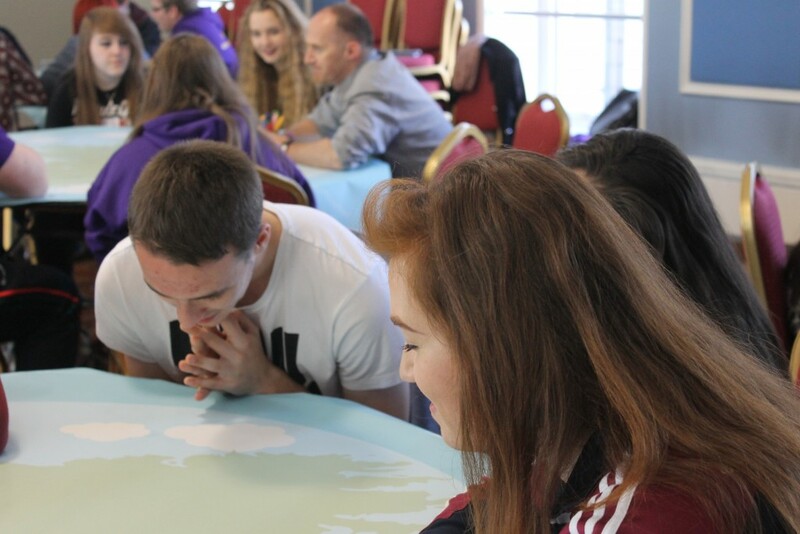 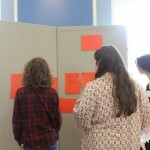 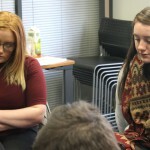 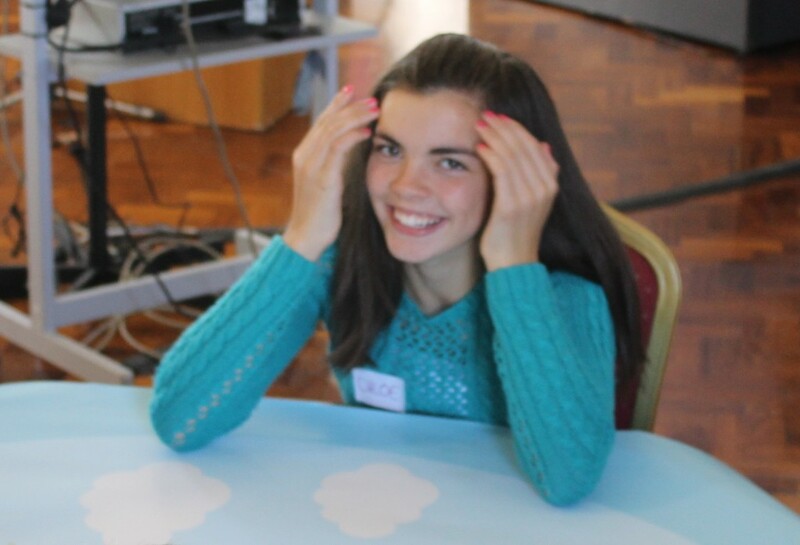 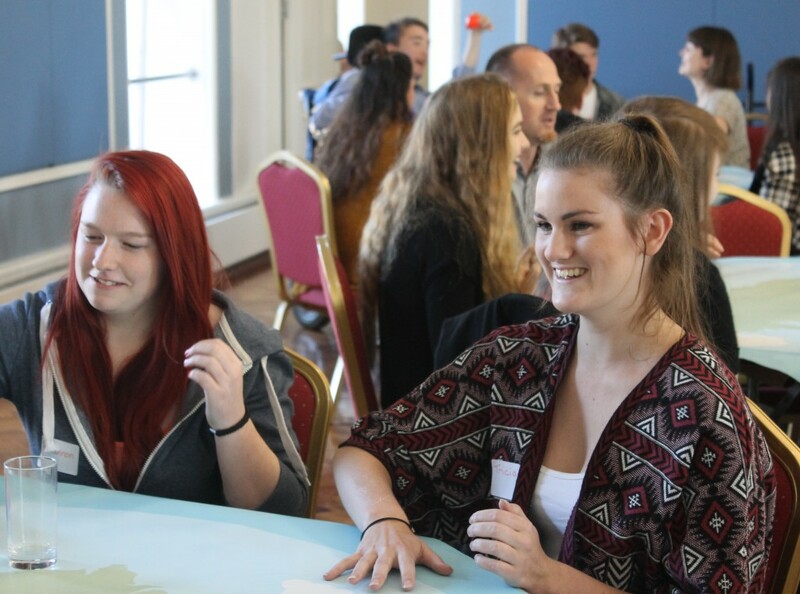 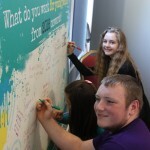 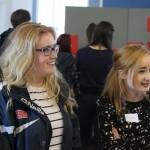 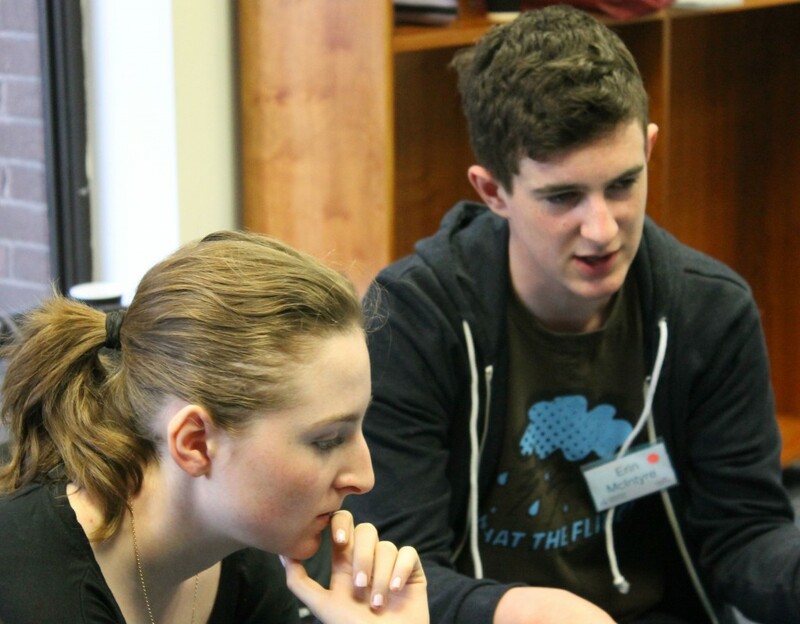 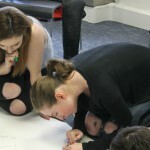 The consultations provided an opportunity for young people to discuss their feelings and ideas on what it means to be a young person in Ireland in 2016, what are the good things about it, and what are the things they would like to change for the future. 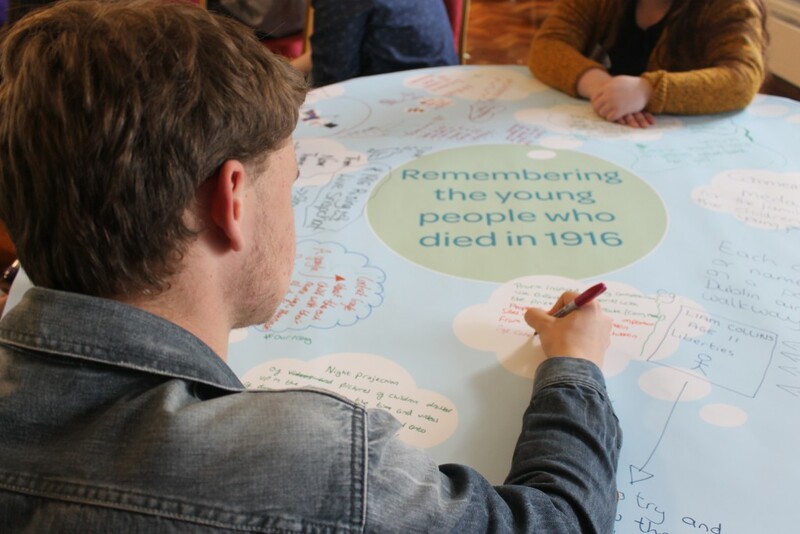 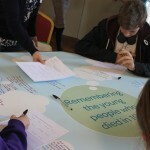 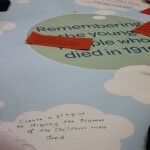 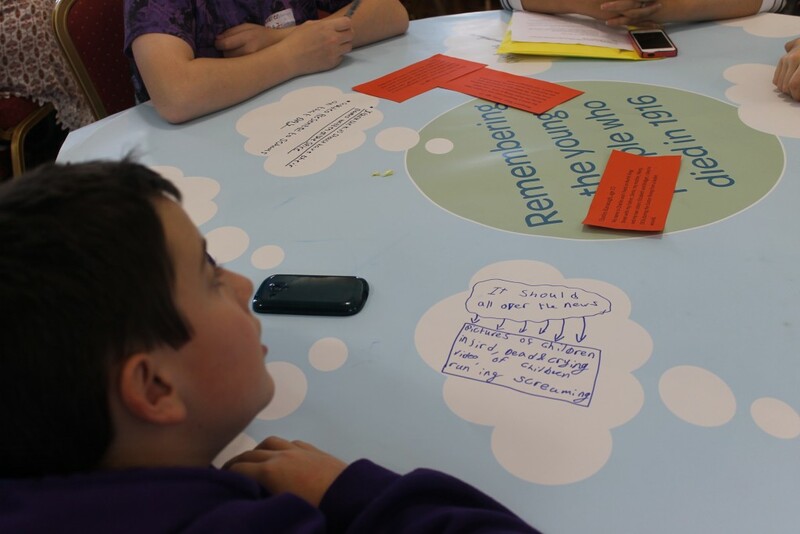 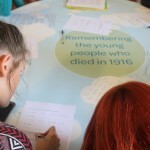 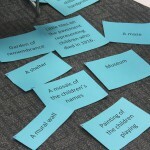 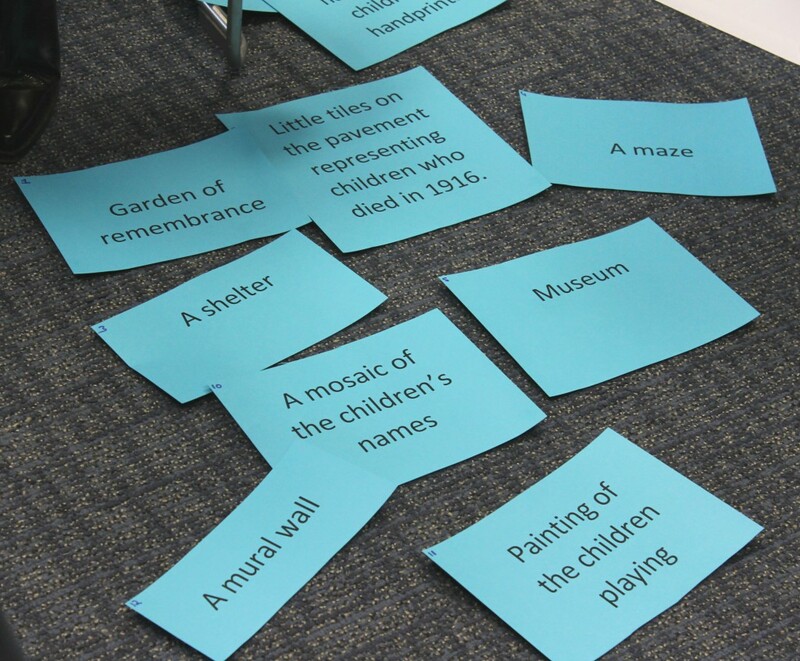 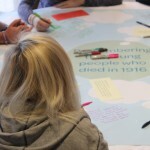 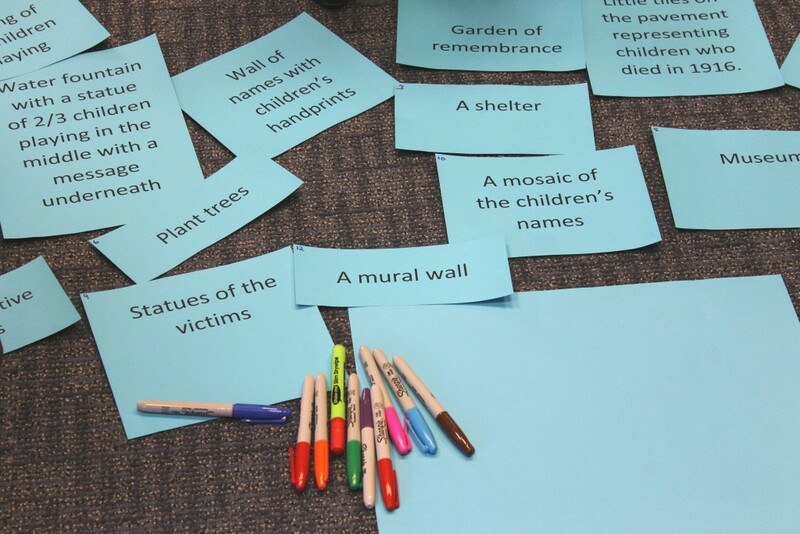 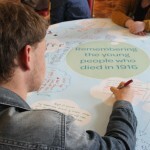 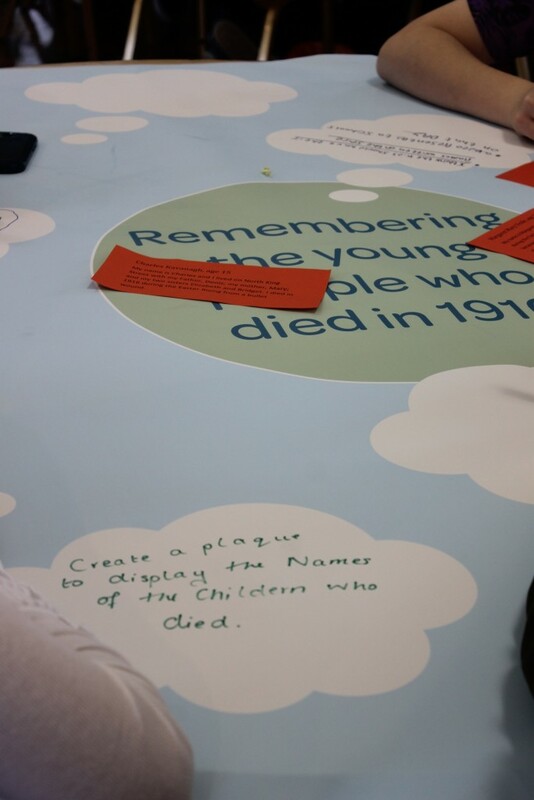 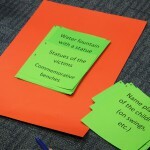 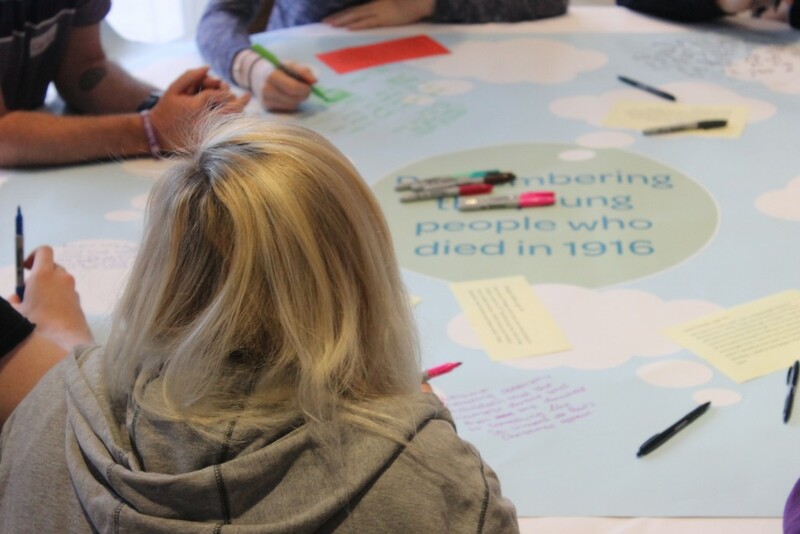 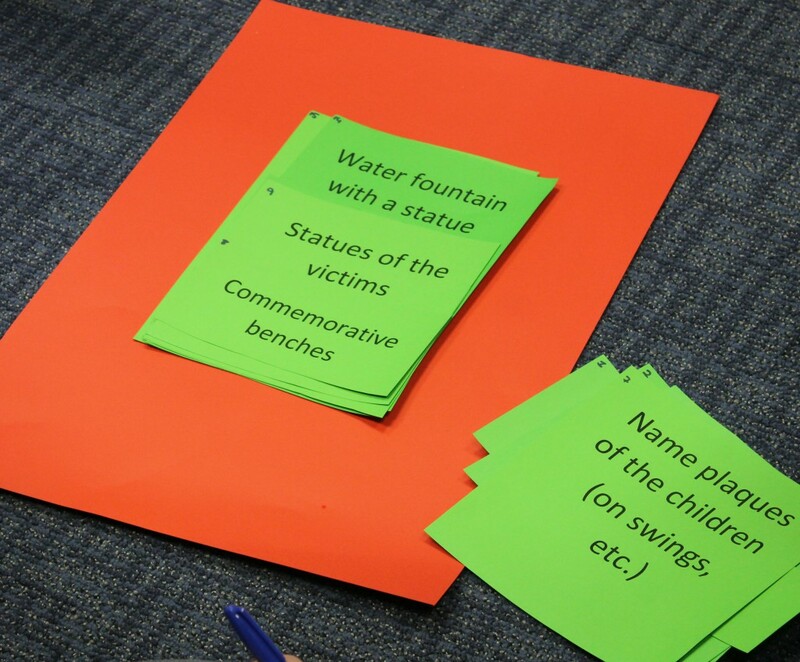 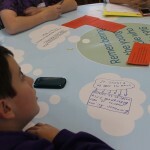 They also had the opportunity to learn more about the children who died in 1916 and come up with some ideas on how they would like them to be remembered. 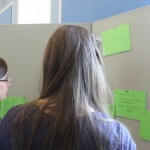 The three consultation days were really successful and enjoyable. 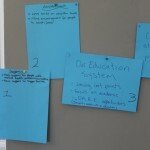 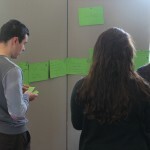 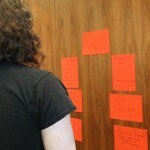 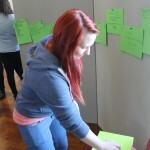 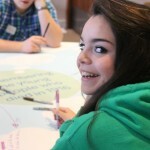 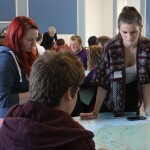 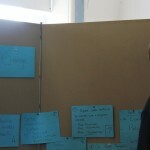 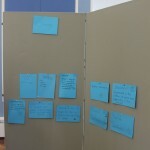 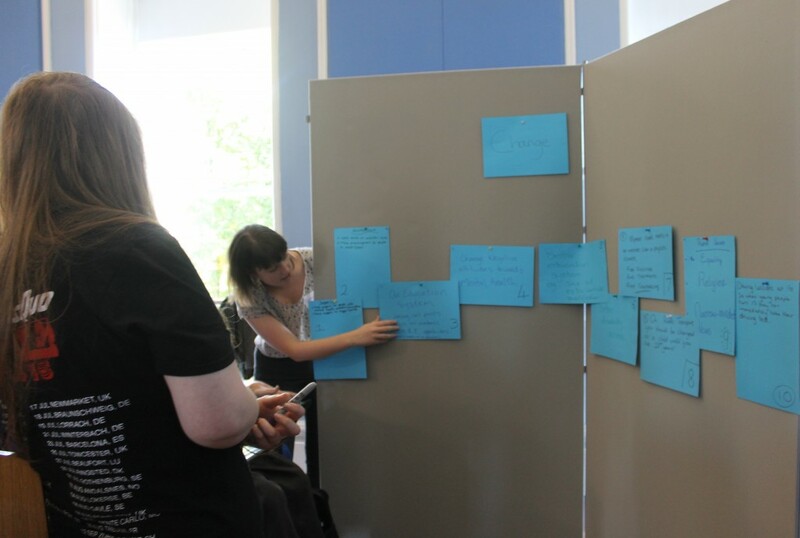 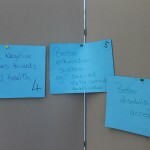 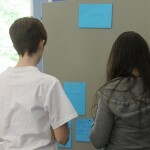 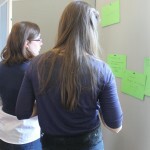 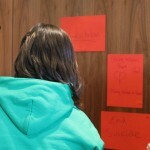 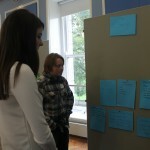 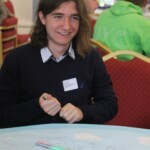 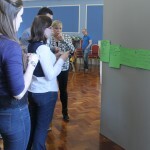 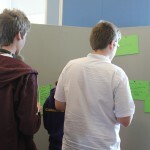 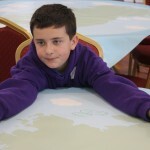 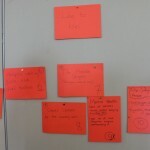 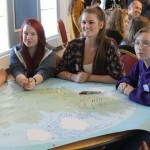 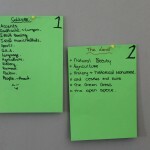 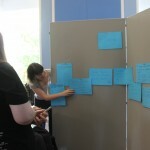 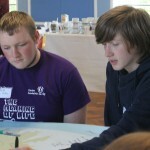 Some really interesting information and ideas emerged from all three days. 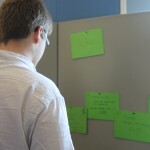 A report is currently in production and will be available here upon completion.